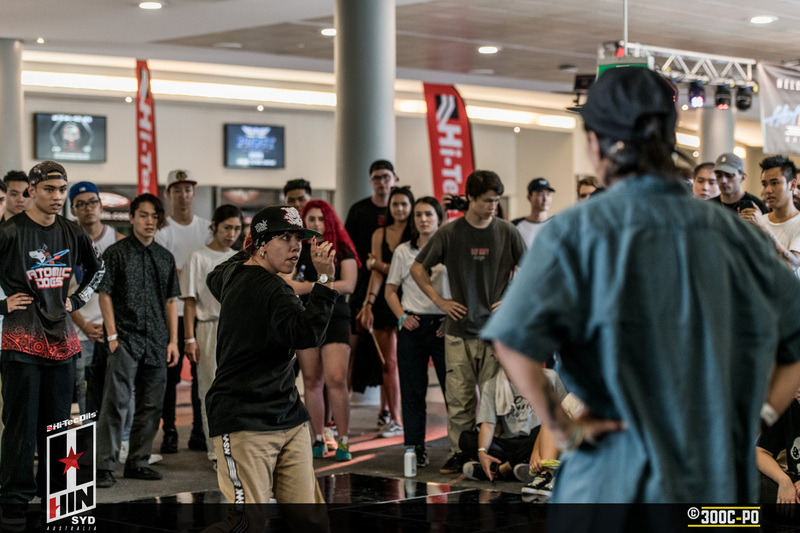 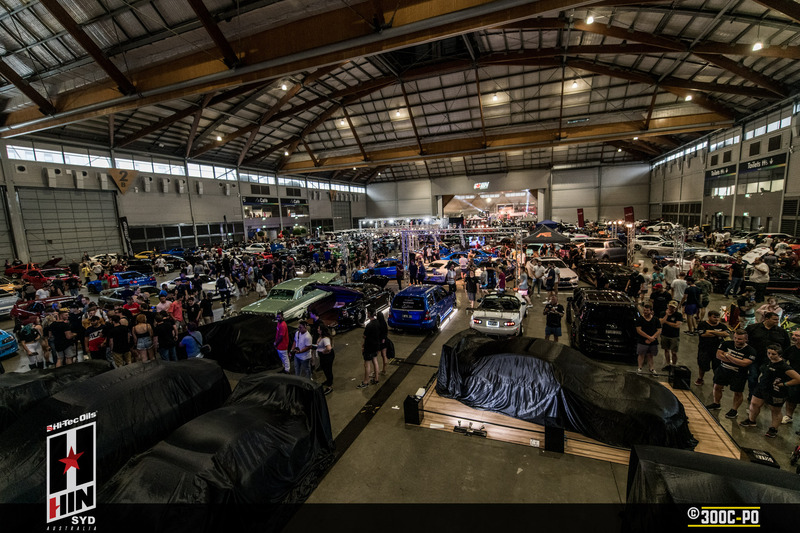 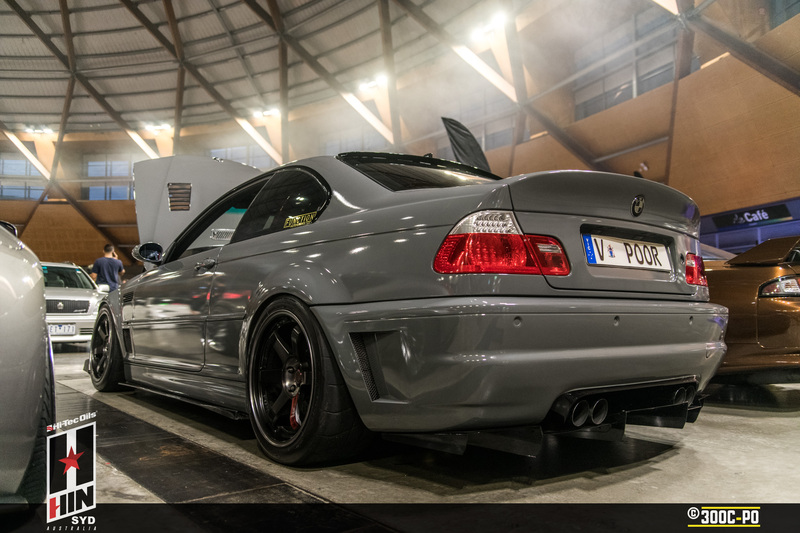 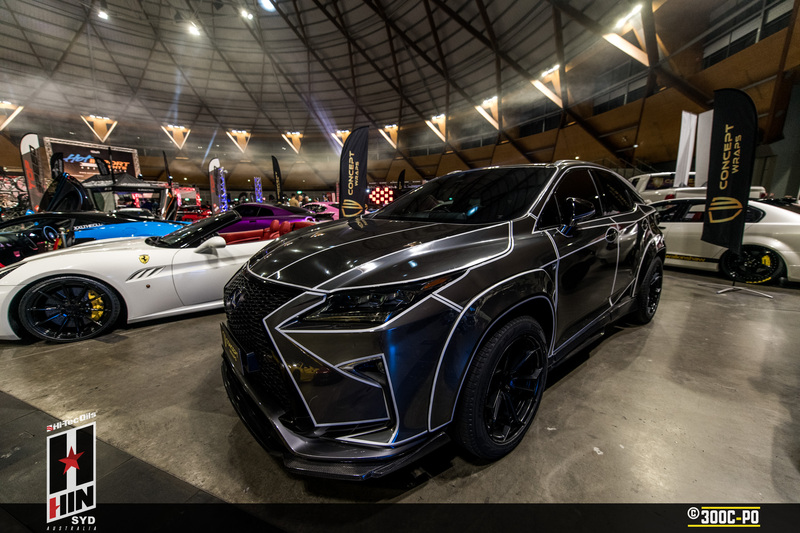 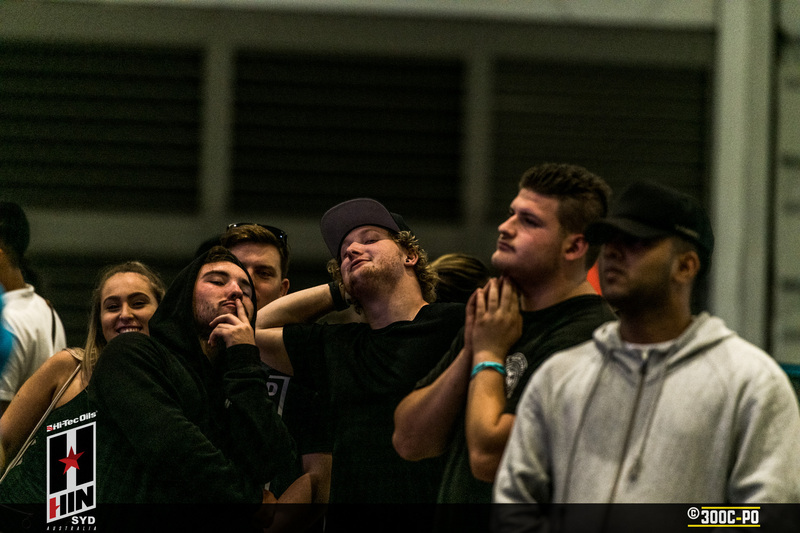 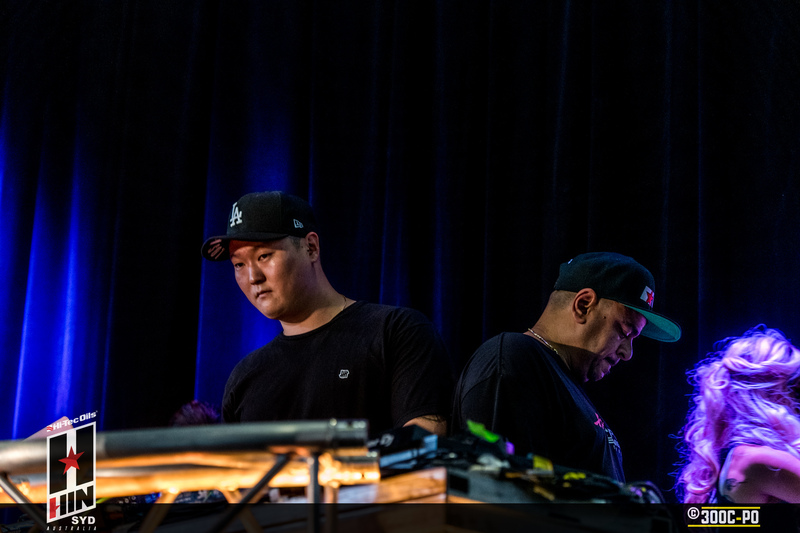 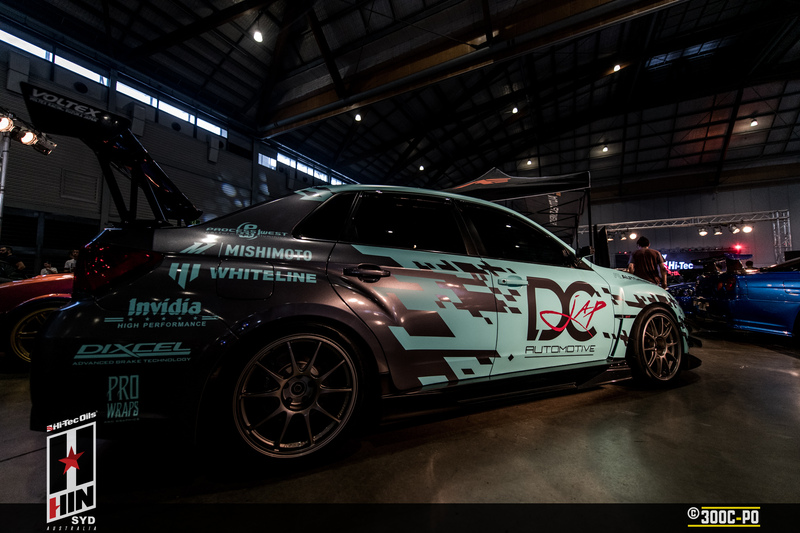 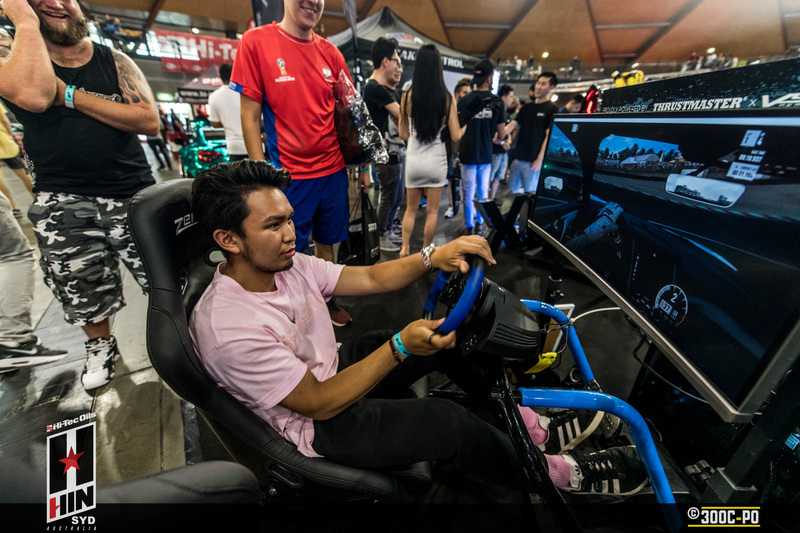 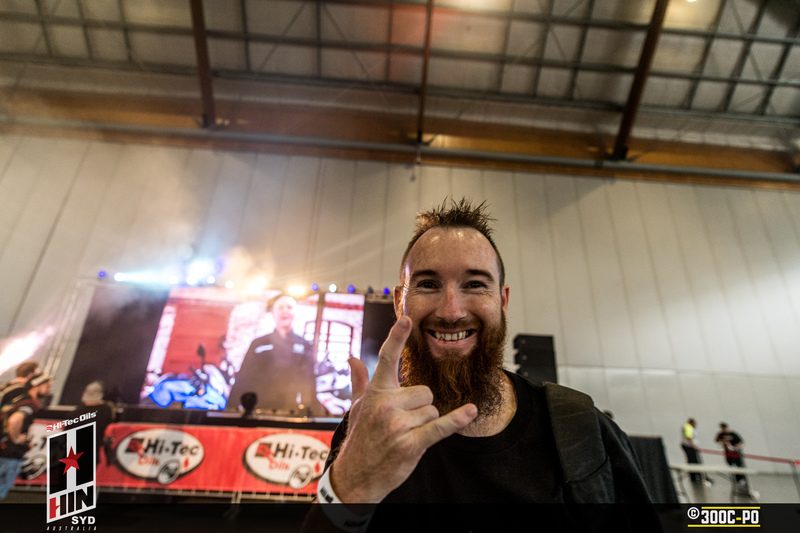 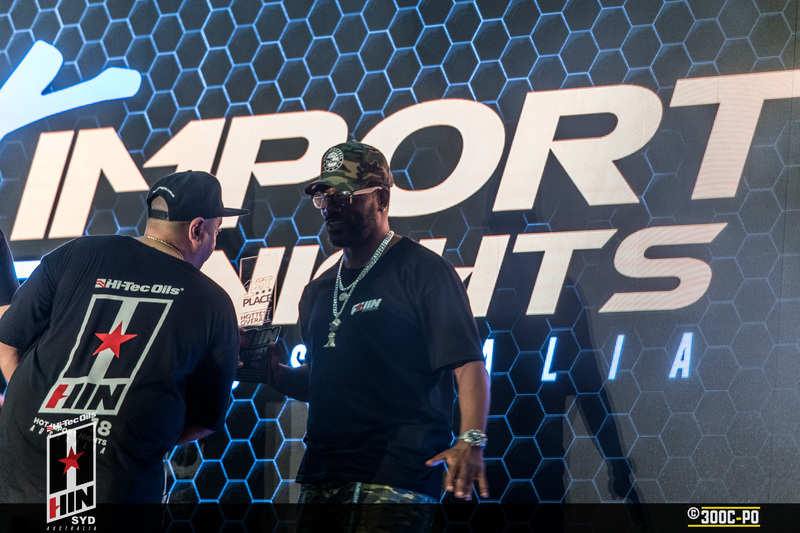 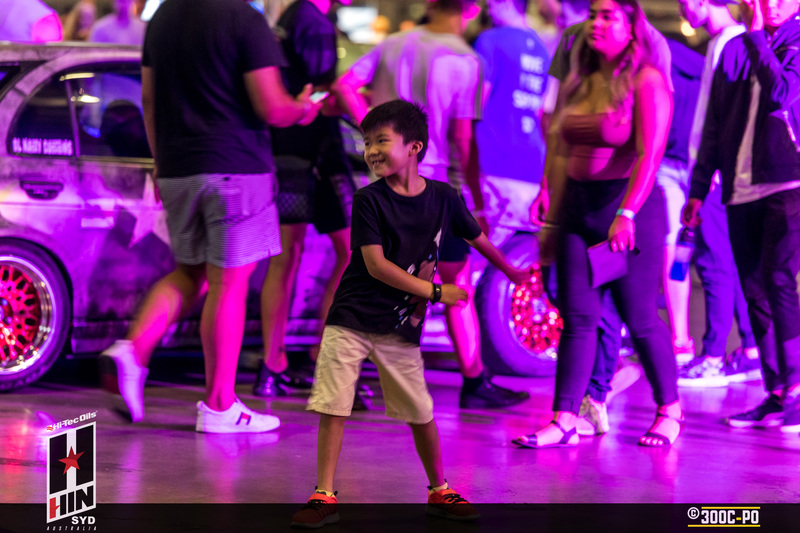 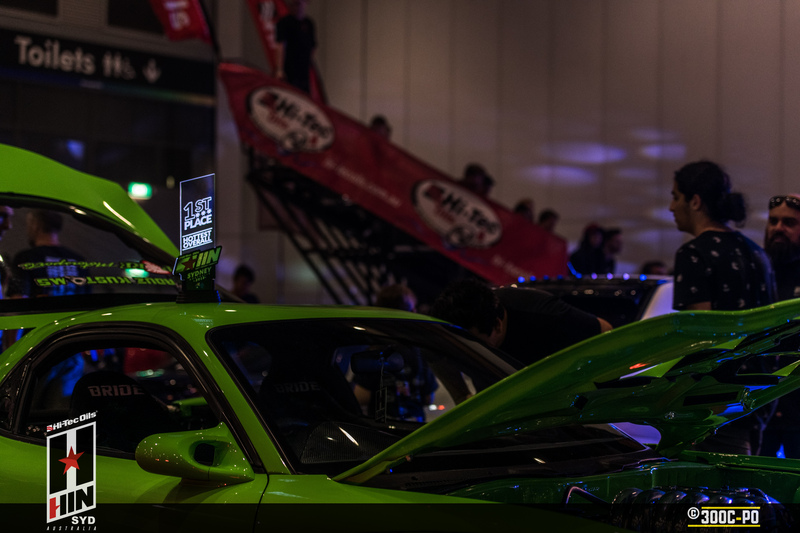 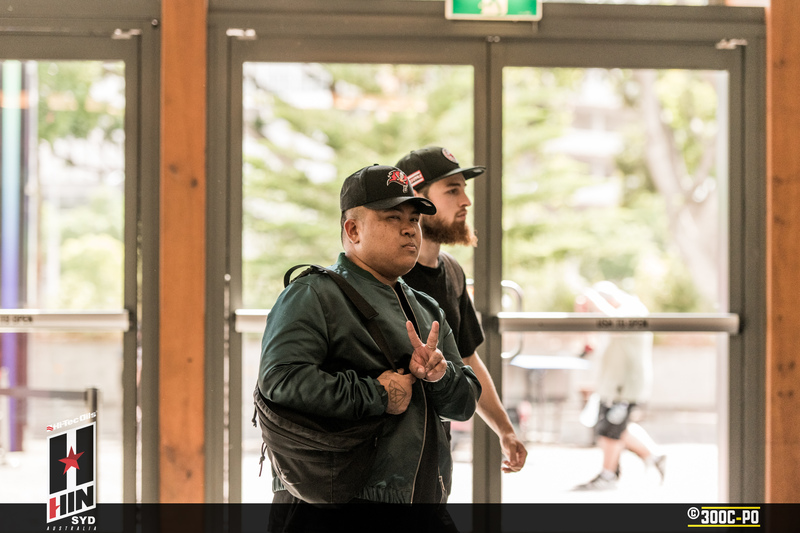 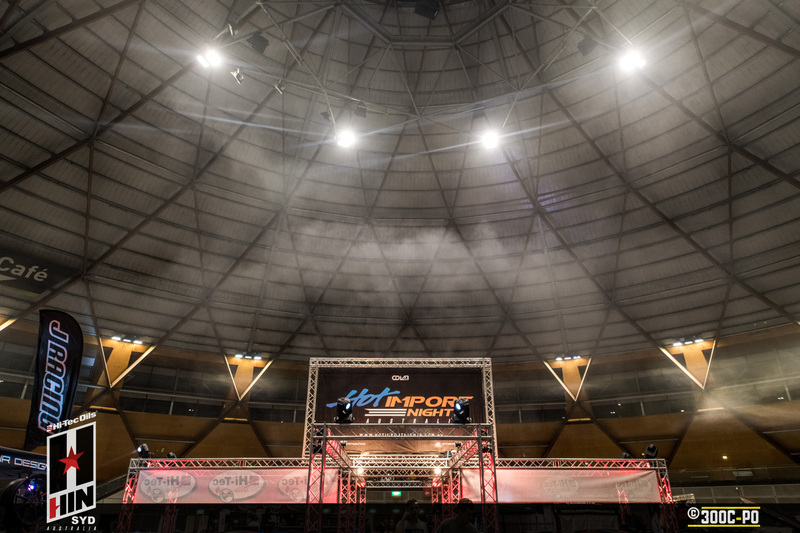 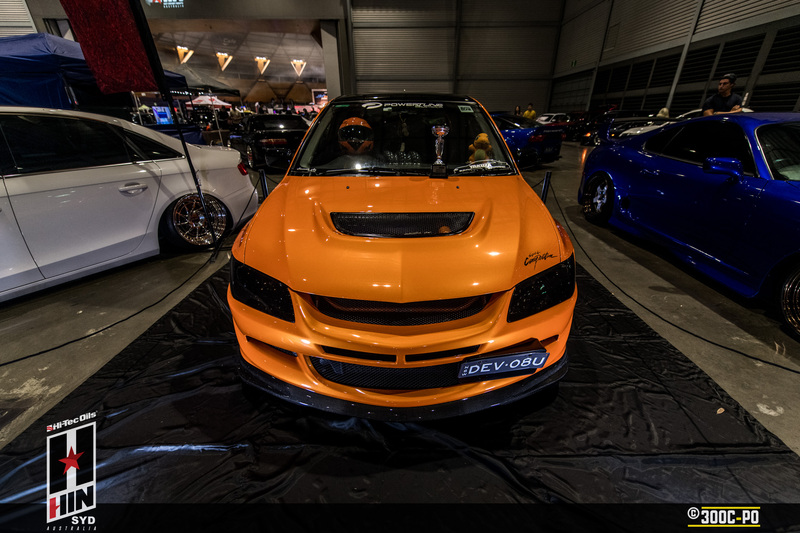 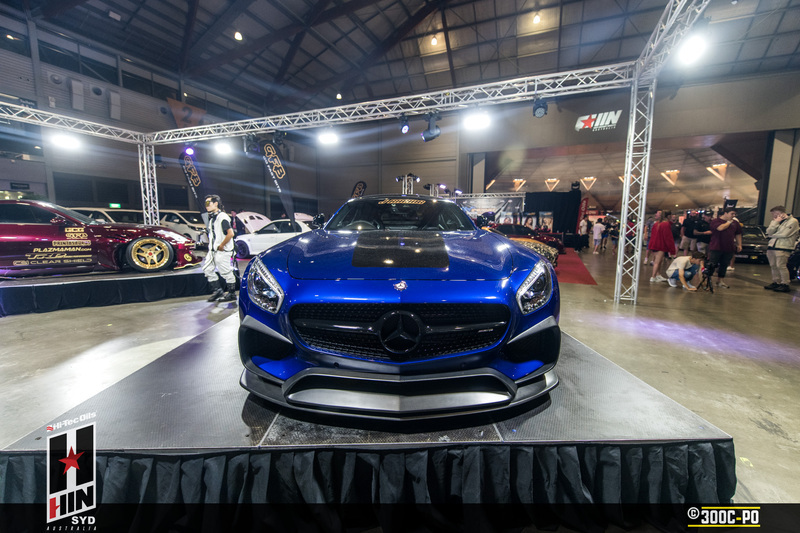 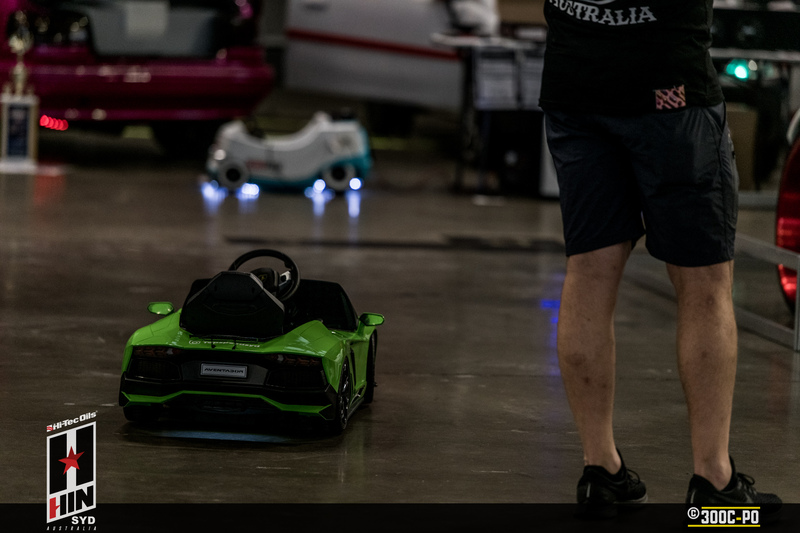 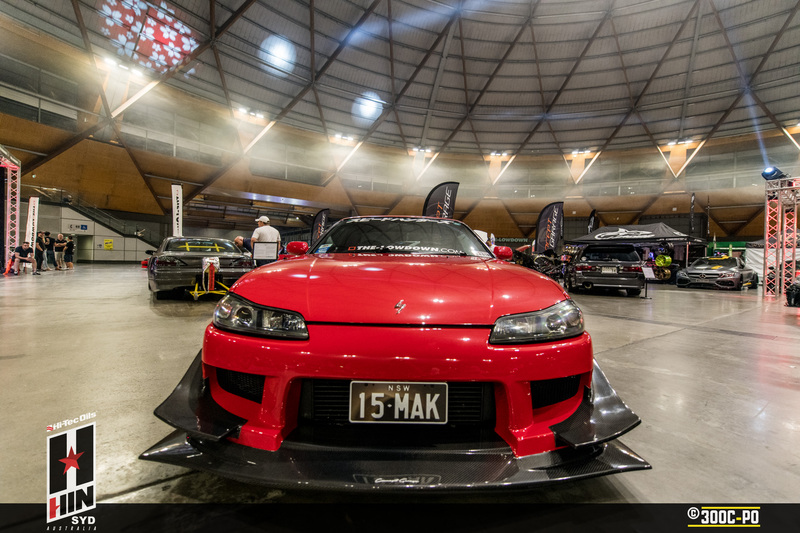 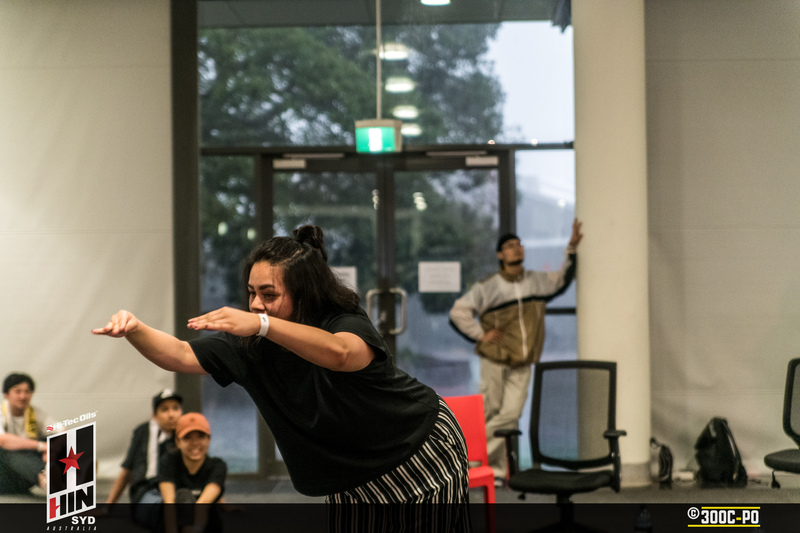 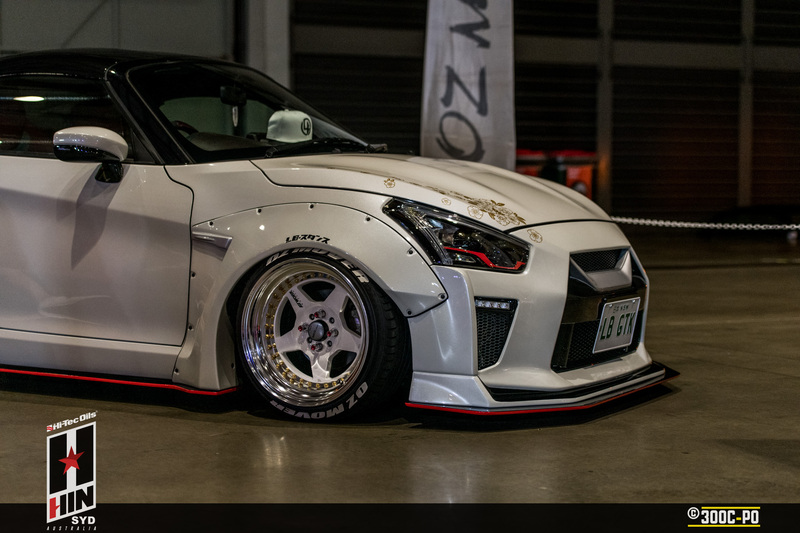 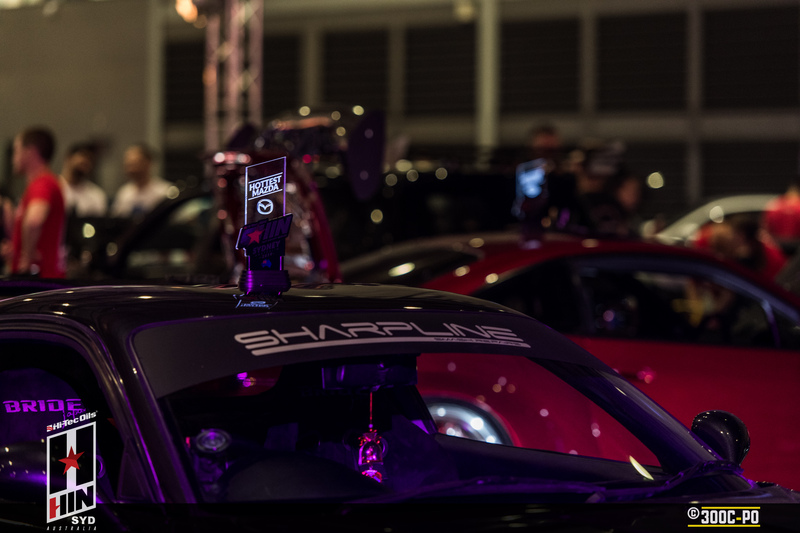 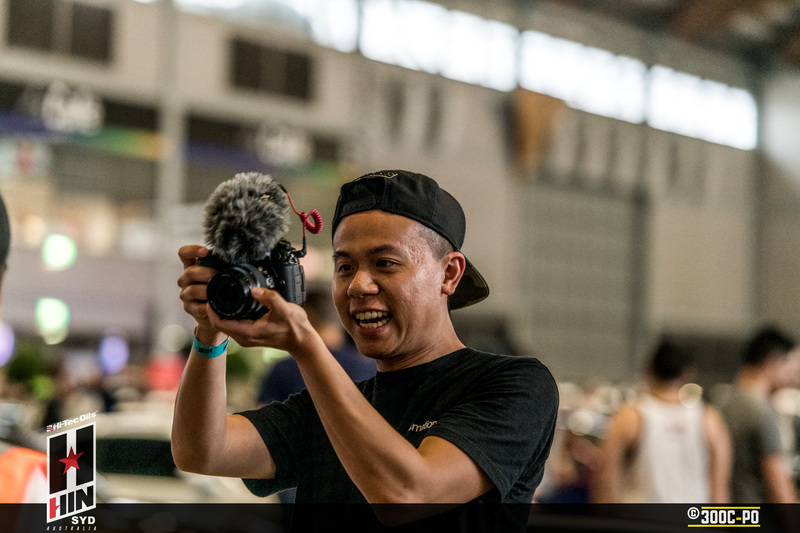 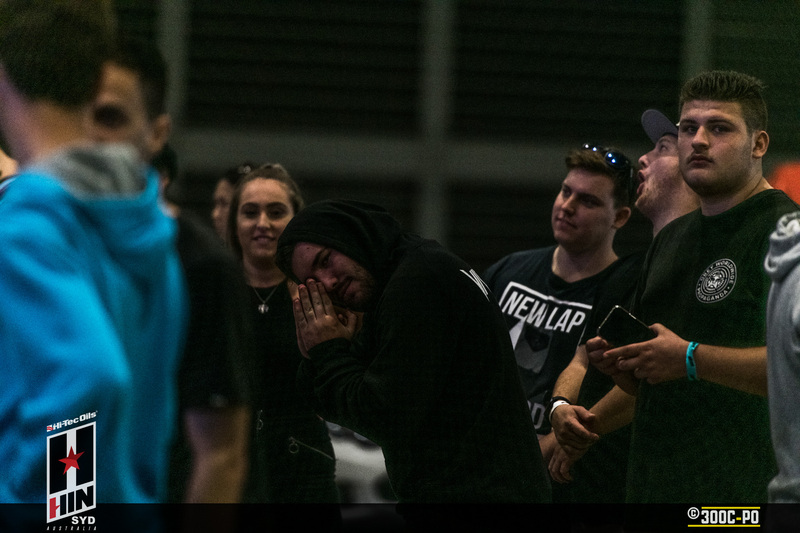 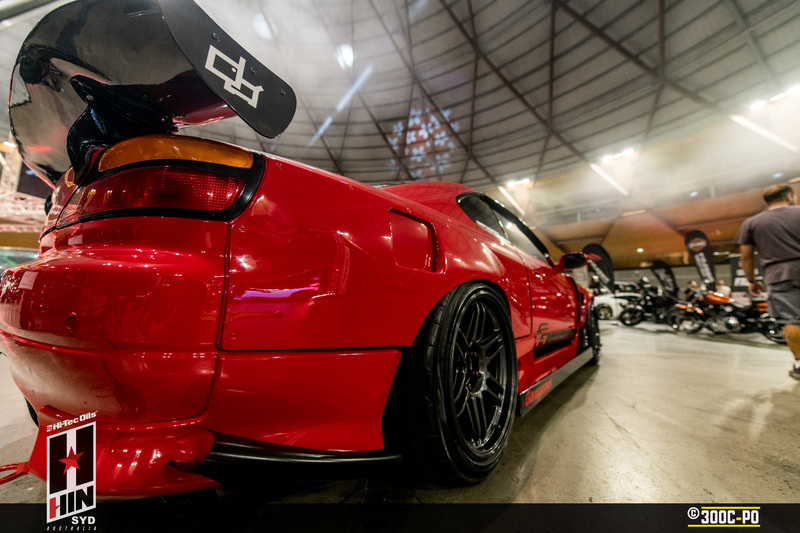 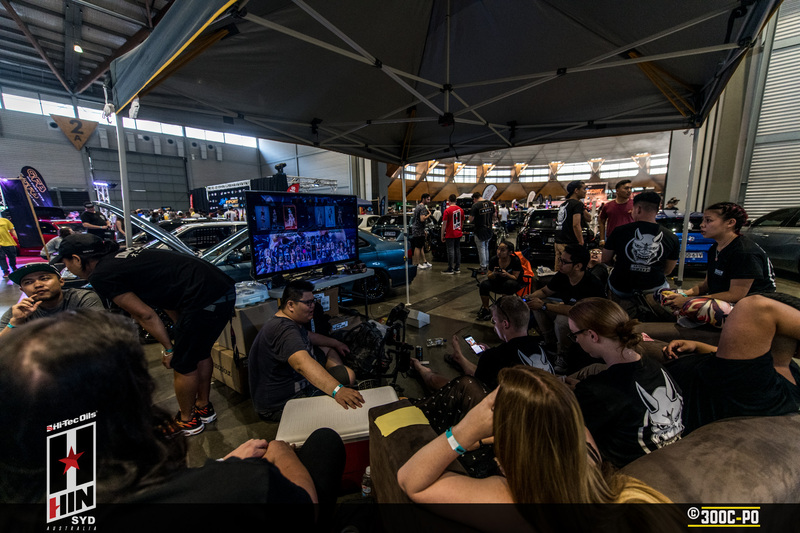 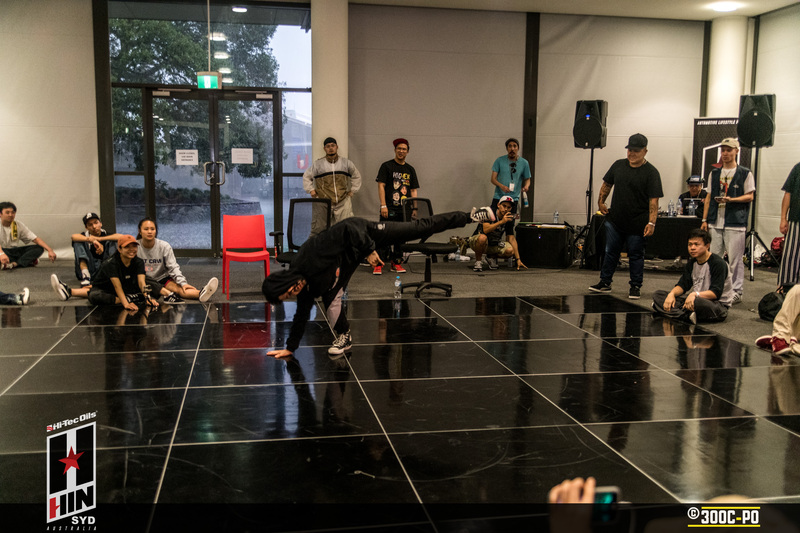 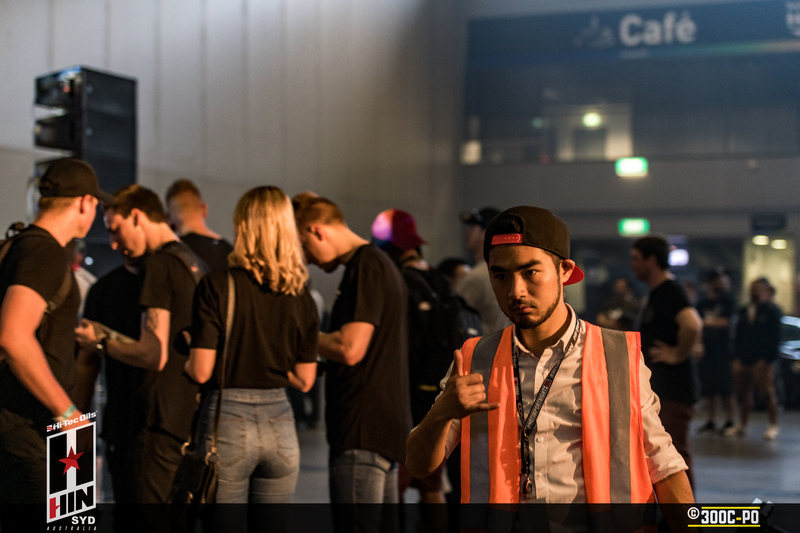 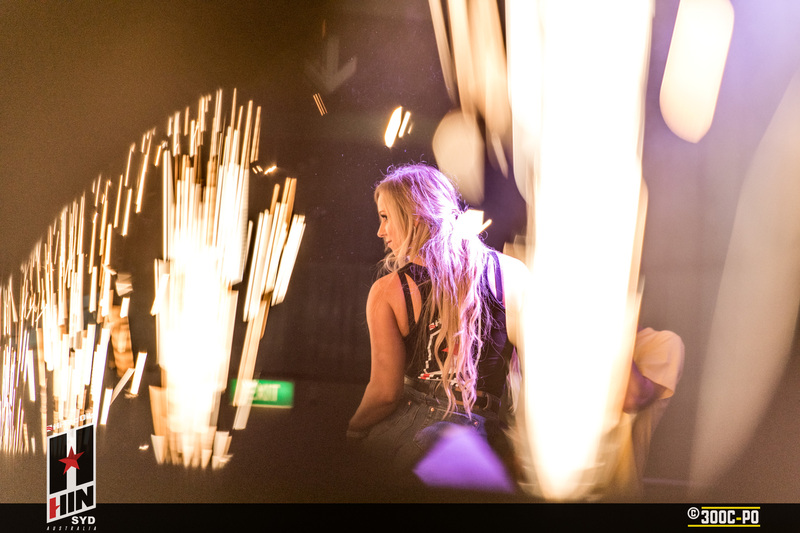 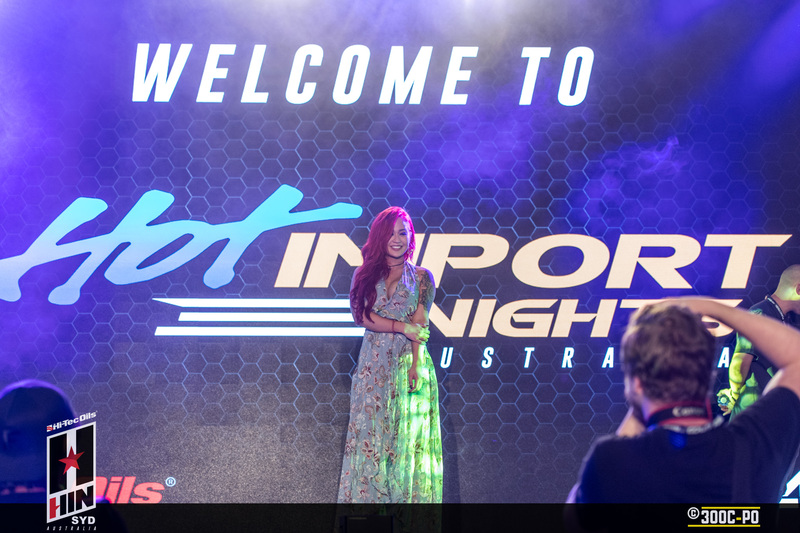 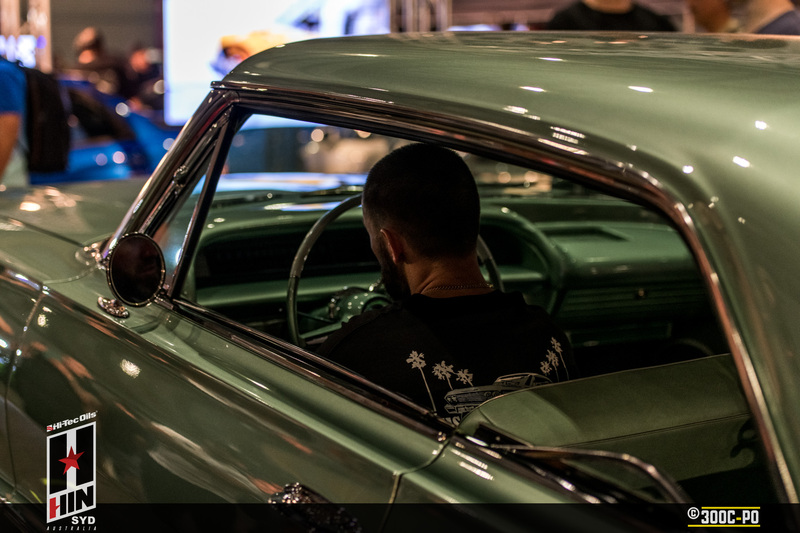 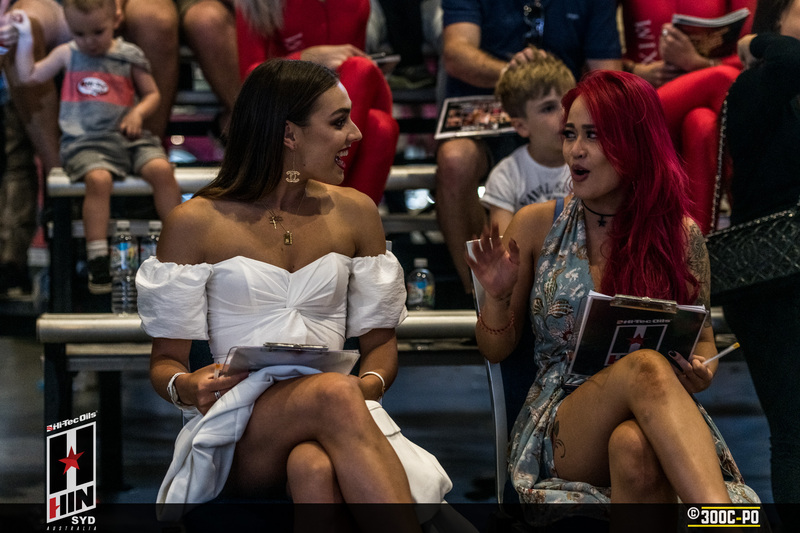 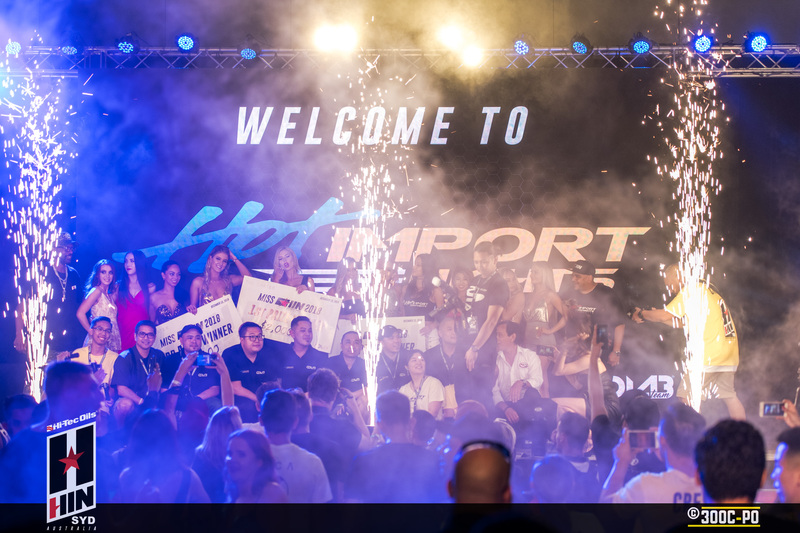 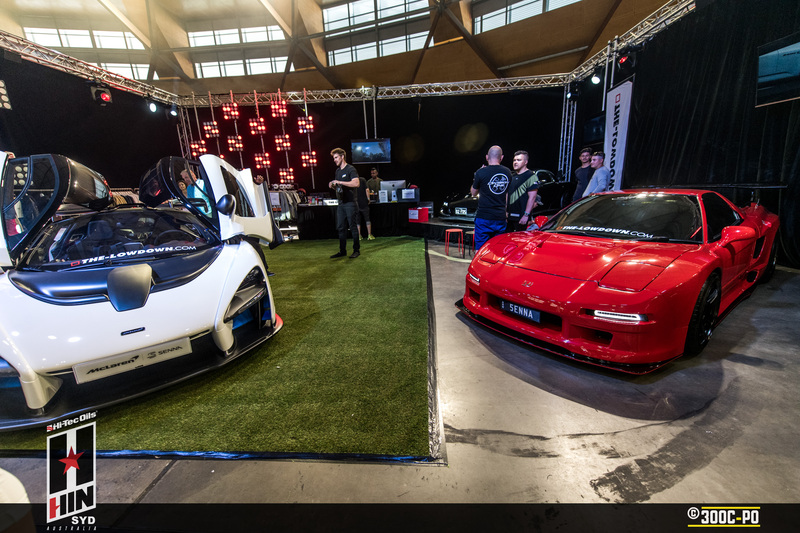 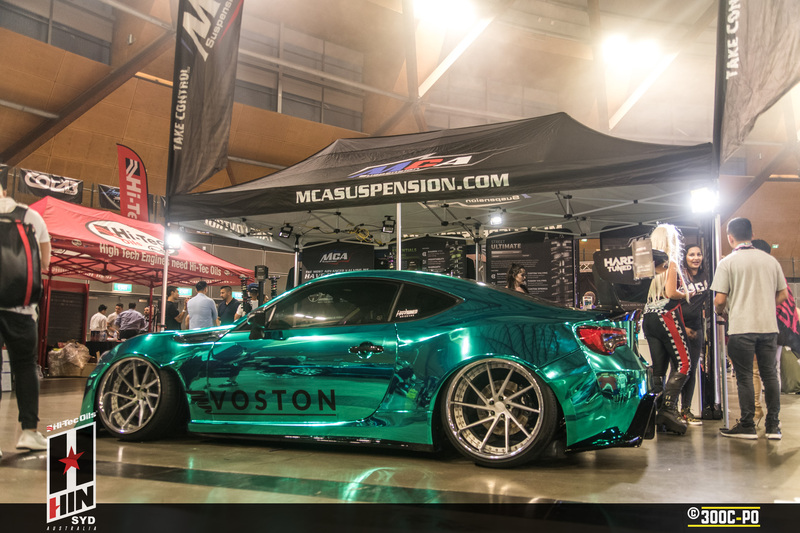 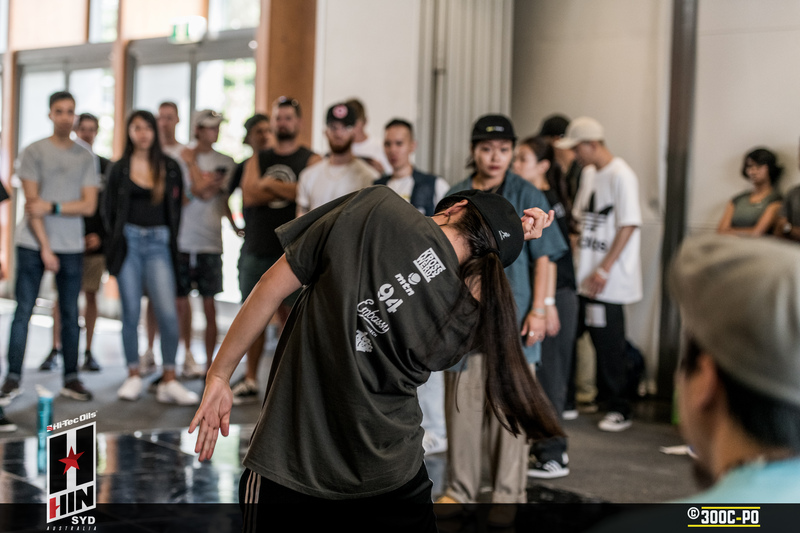 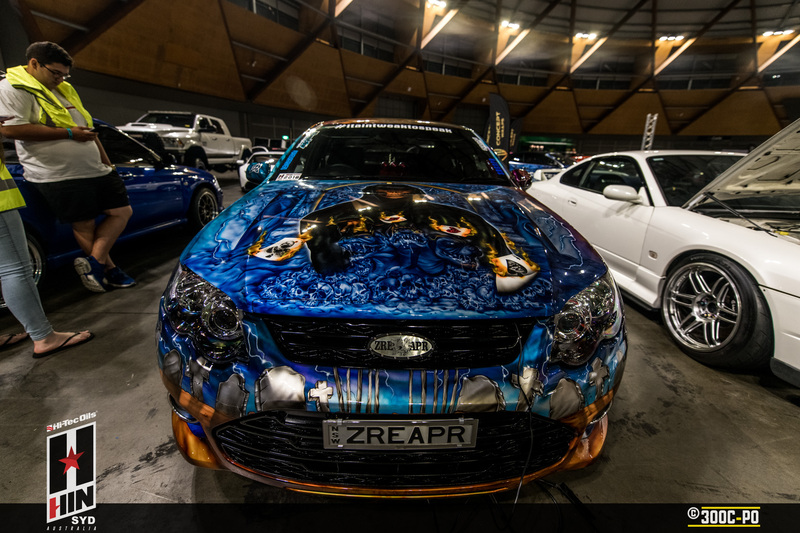 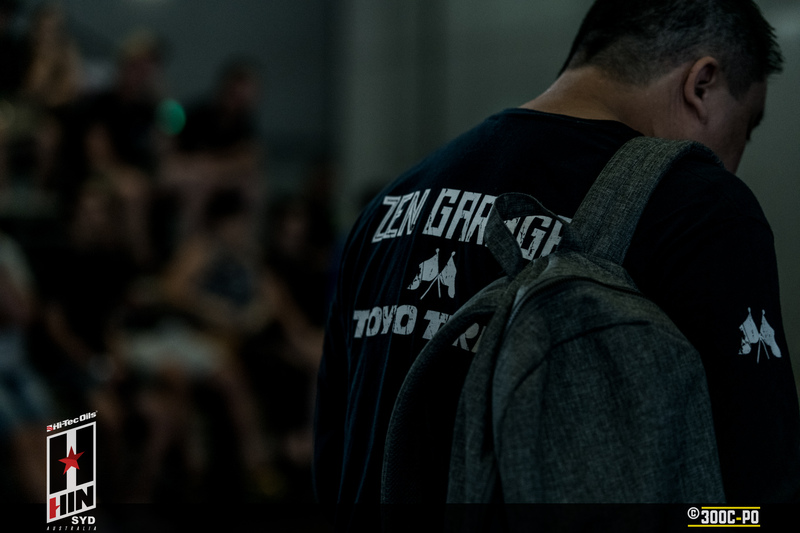 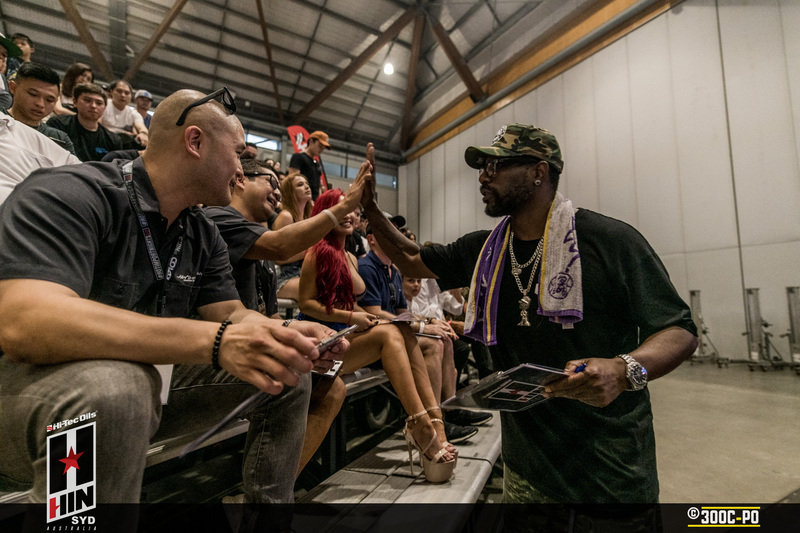 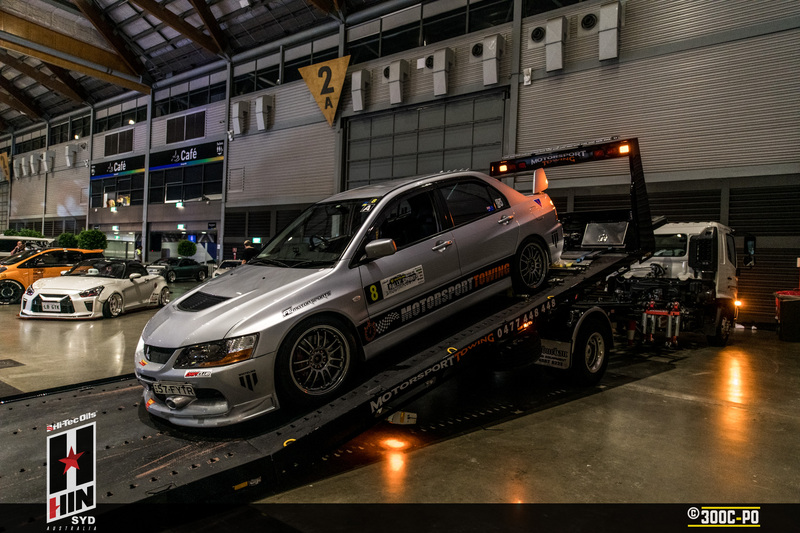 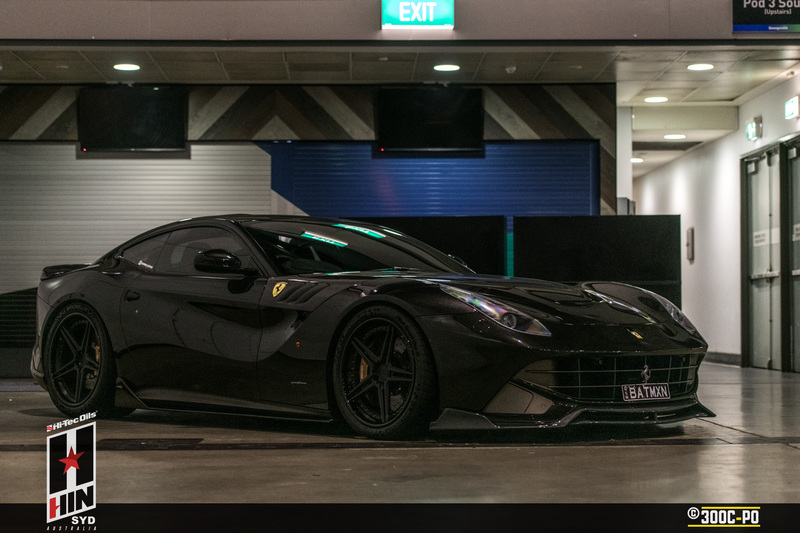 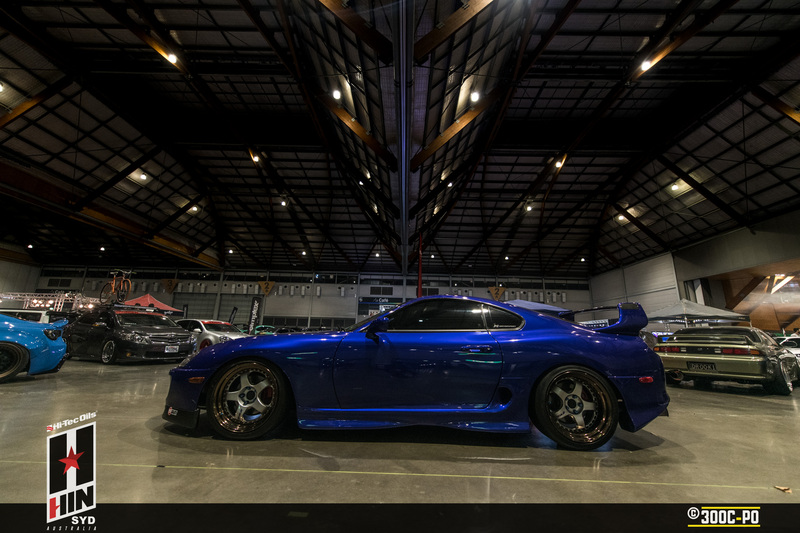 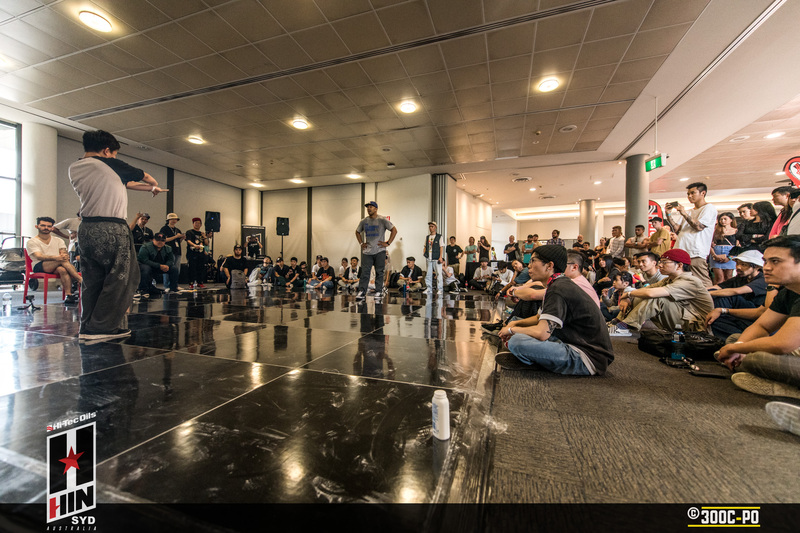 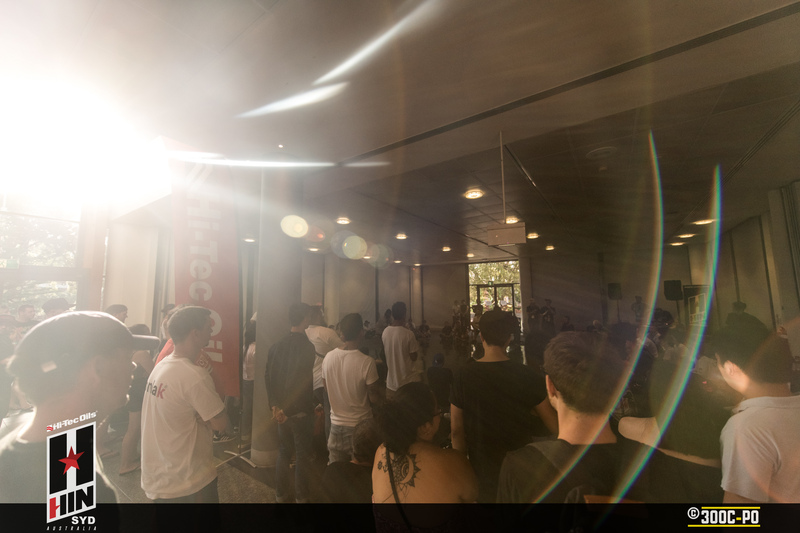 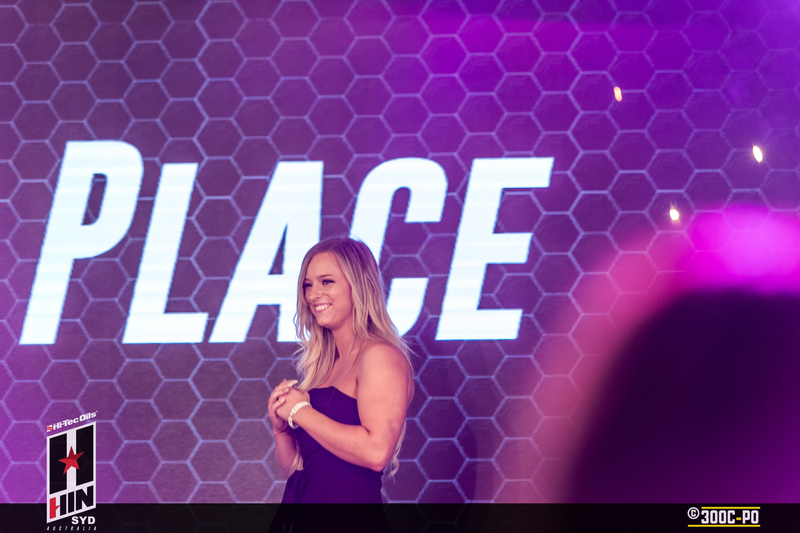 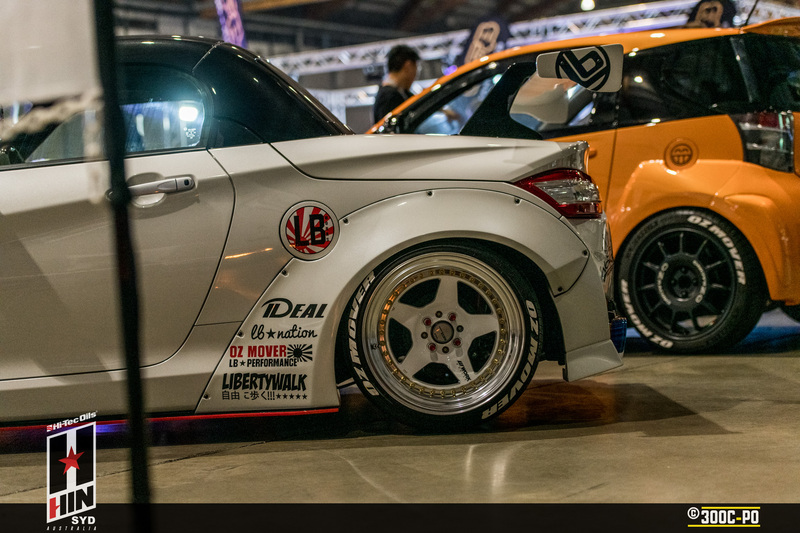 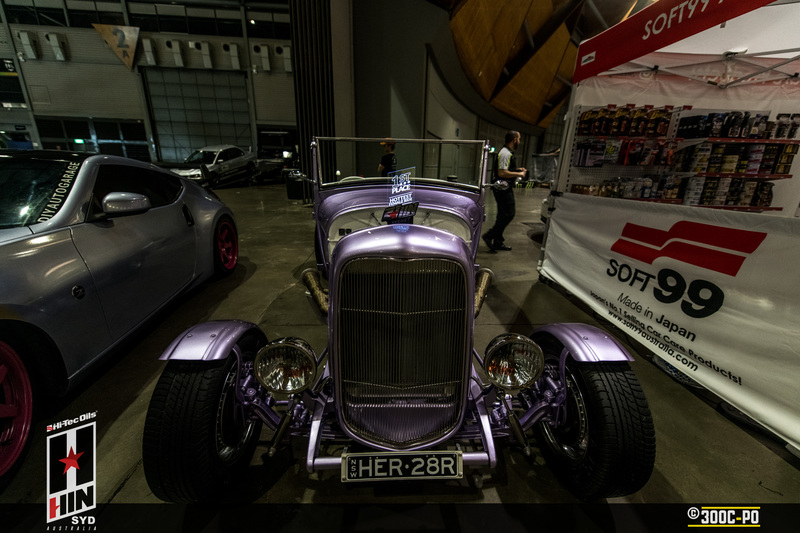 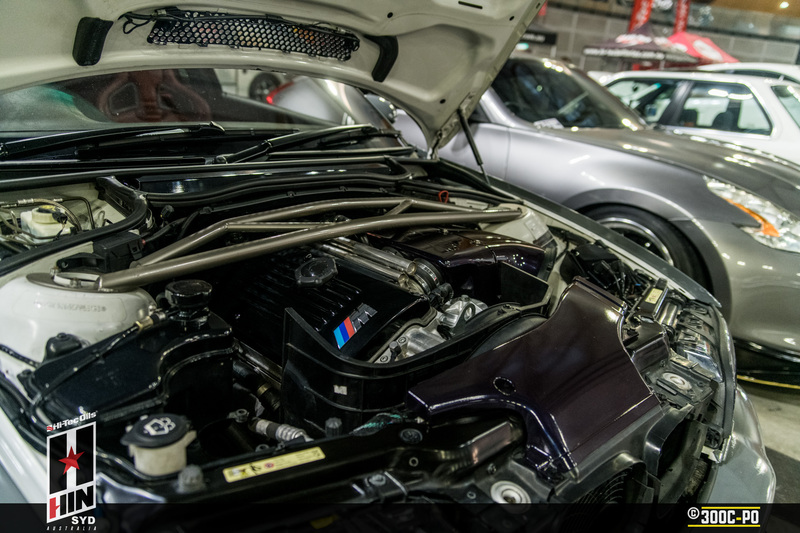 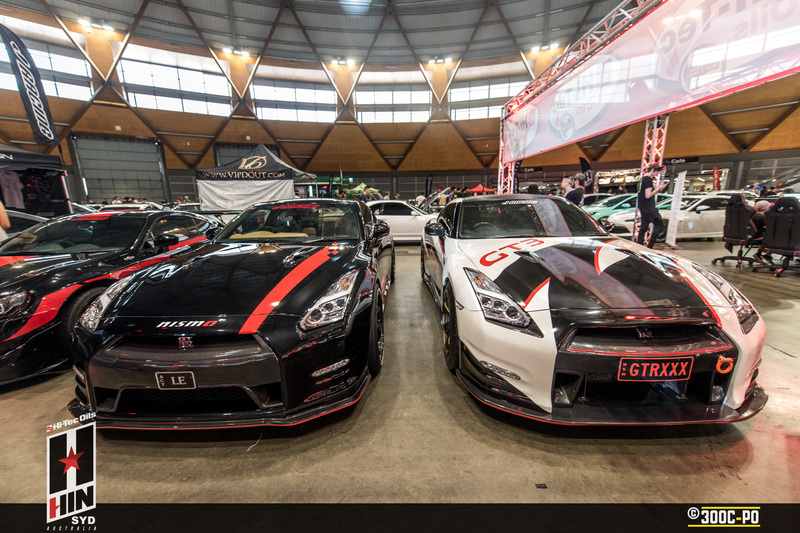 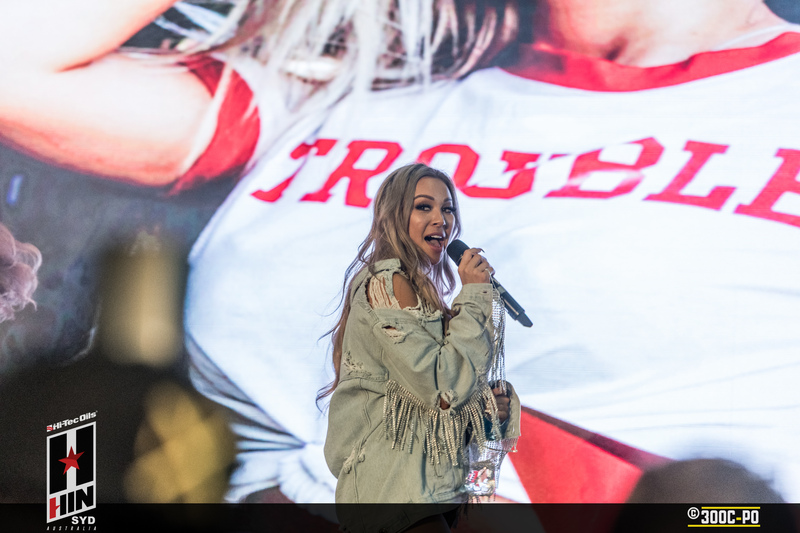 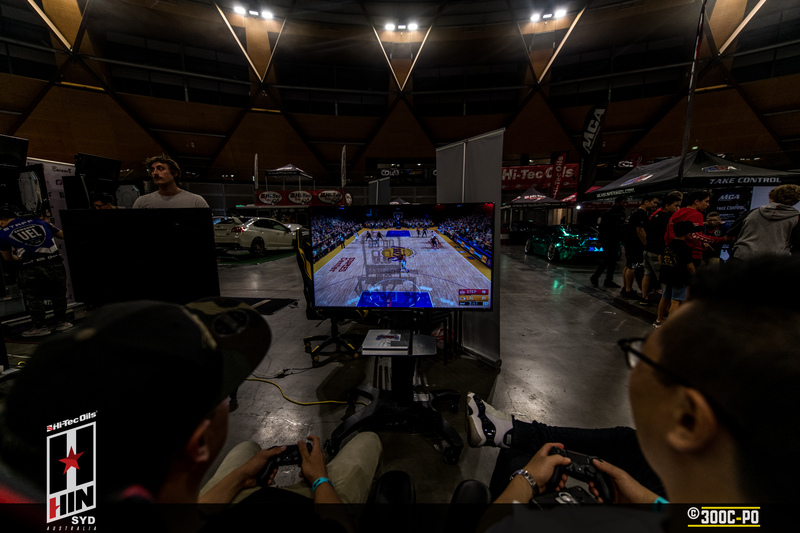 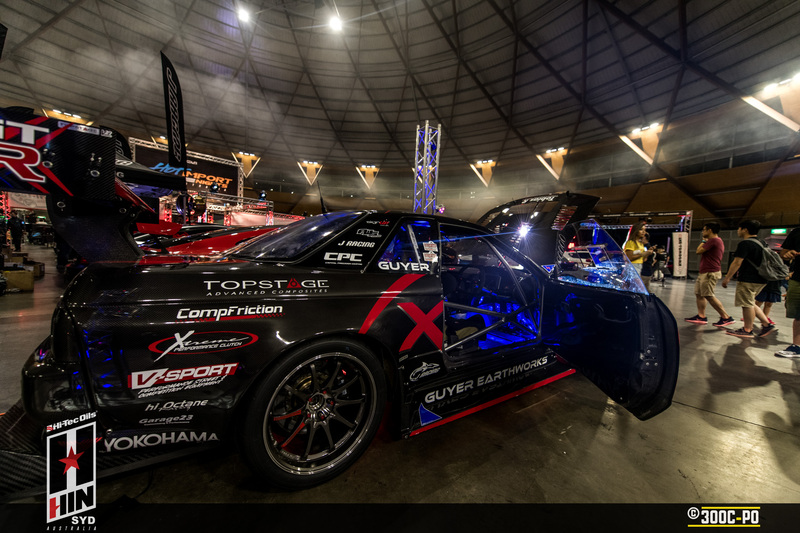 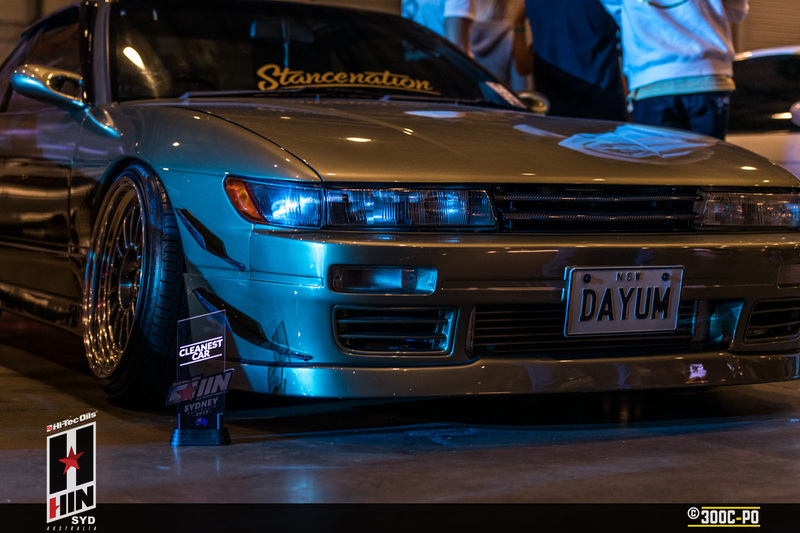 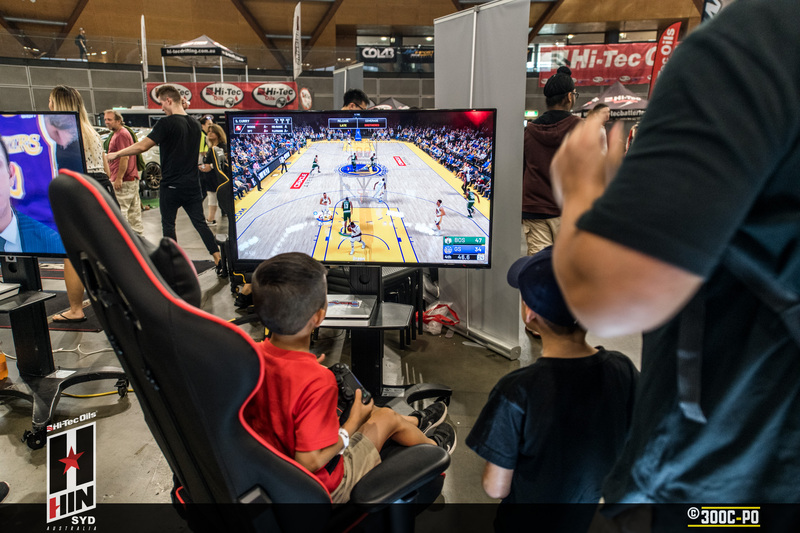 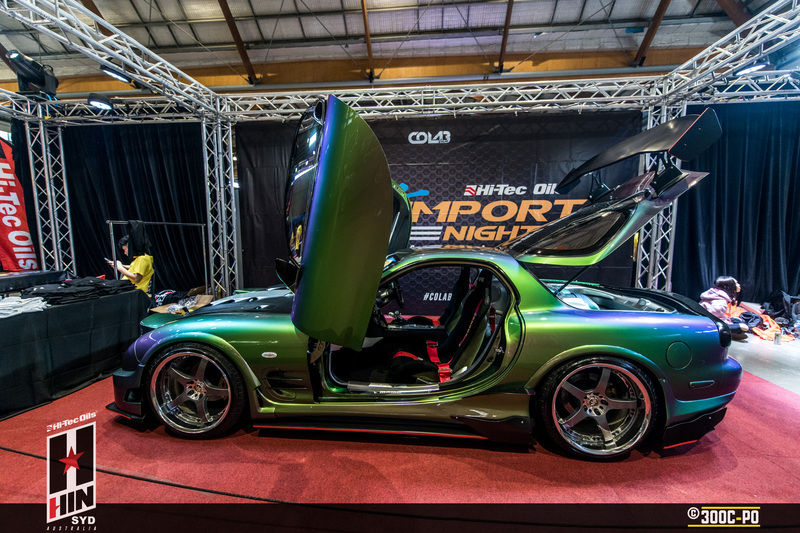 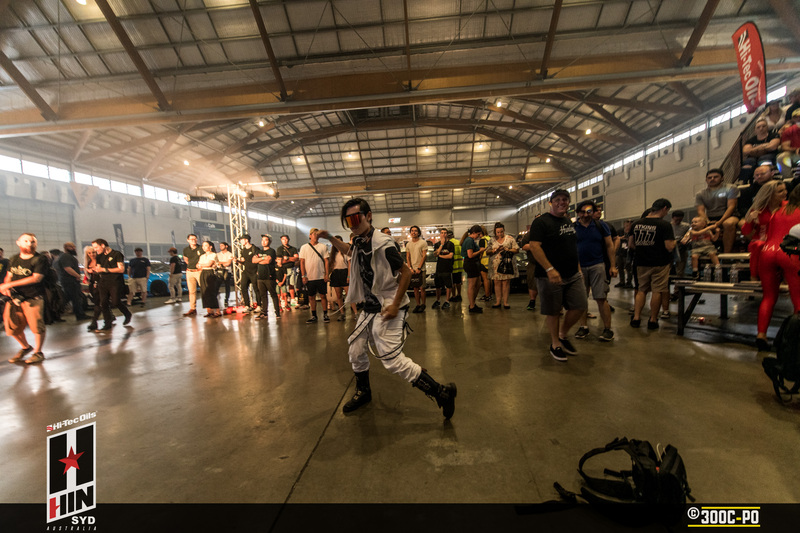 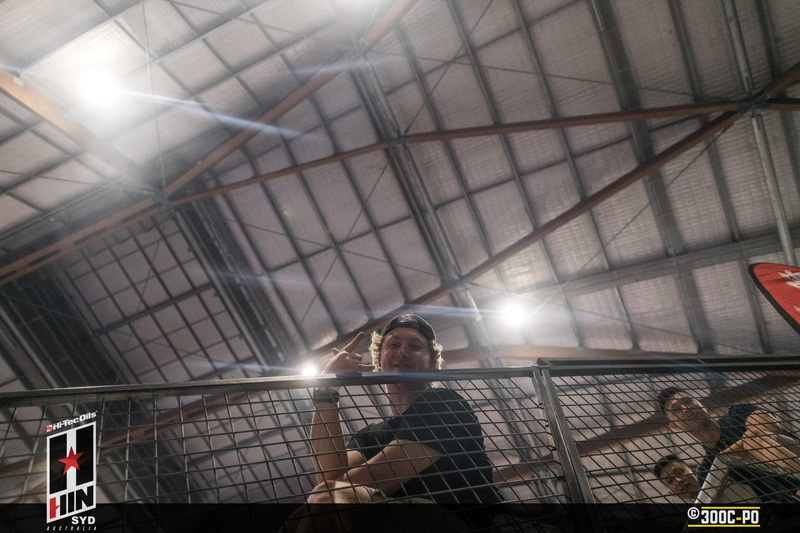 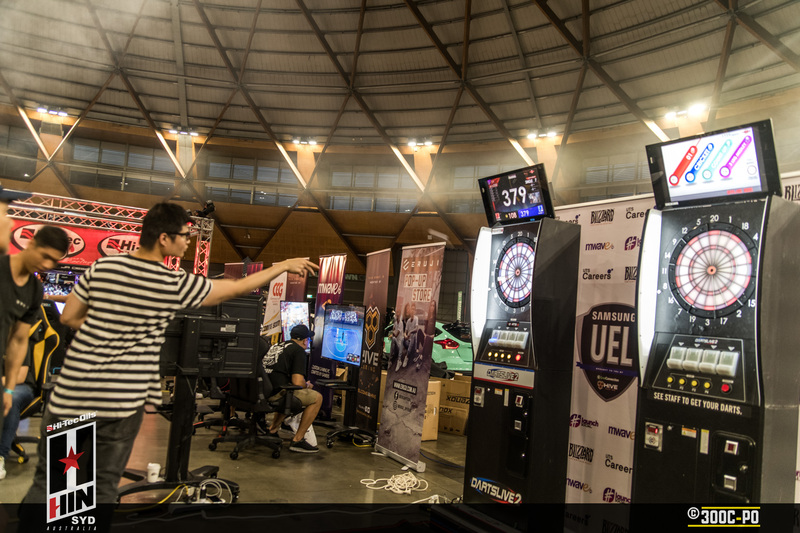 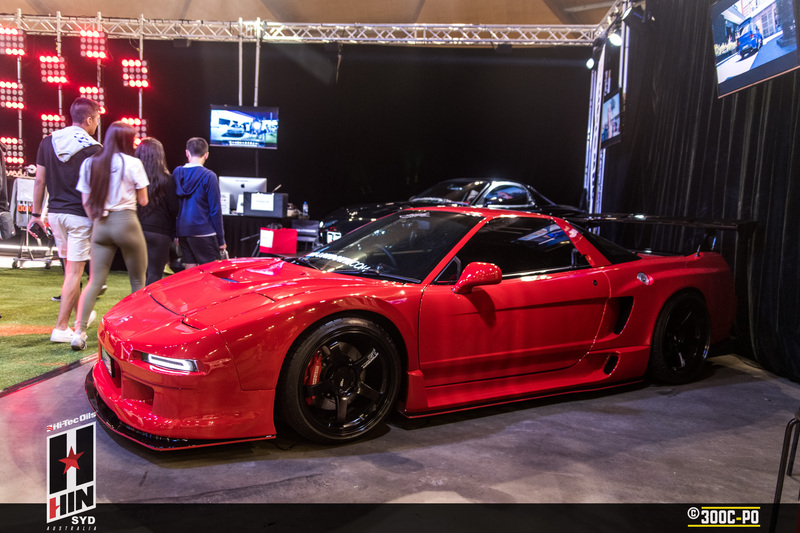 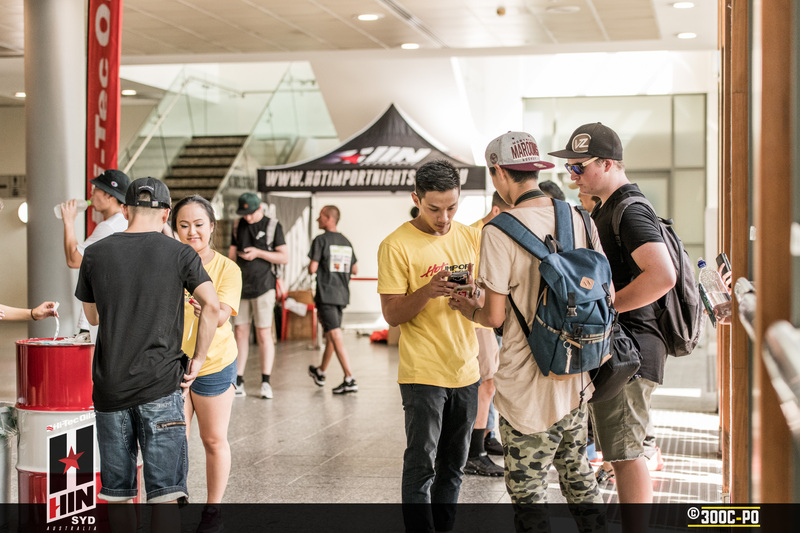 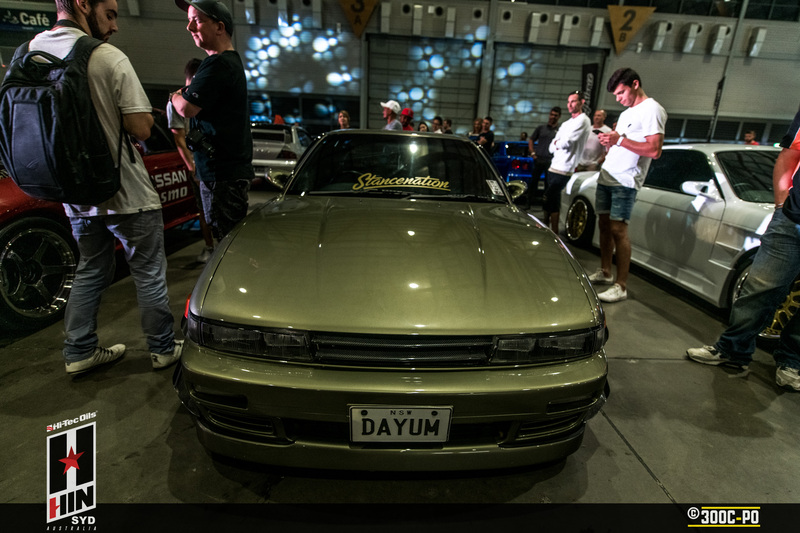 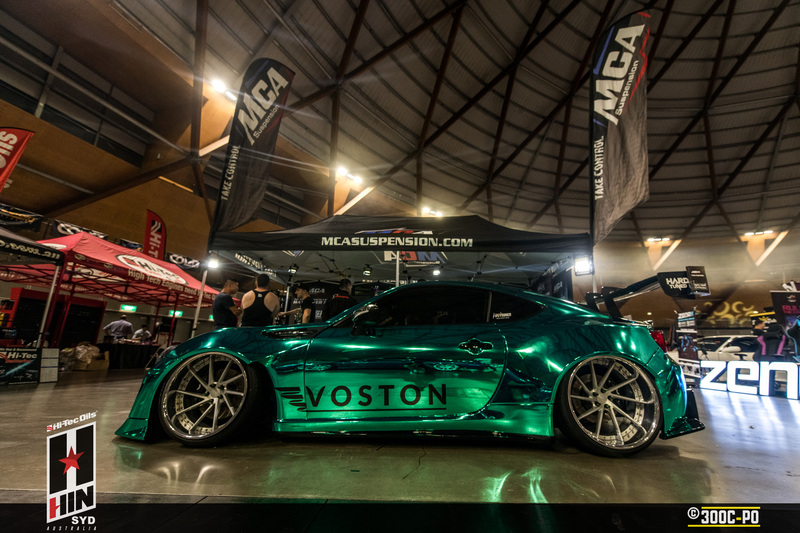 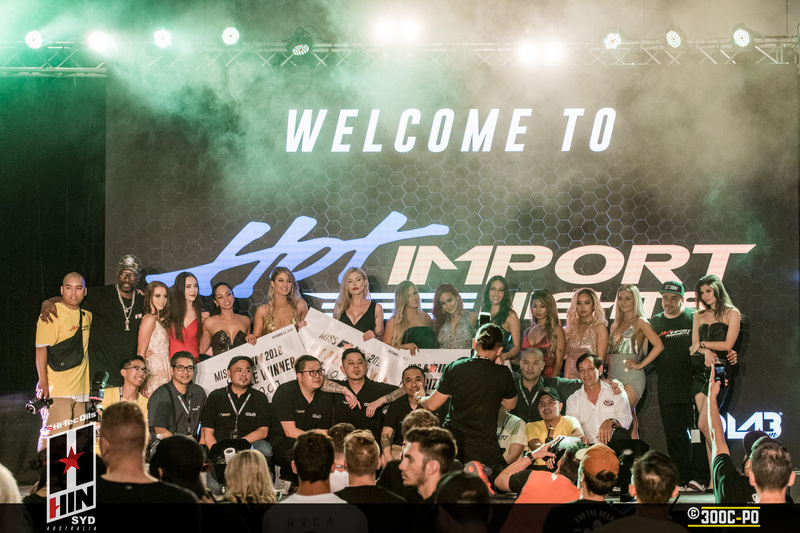 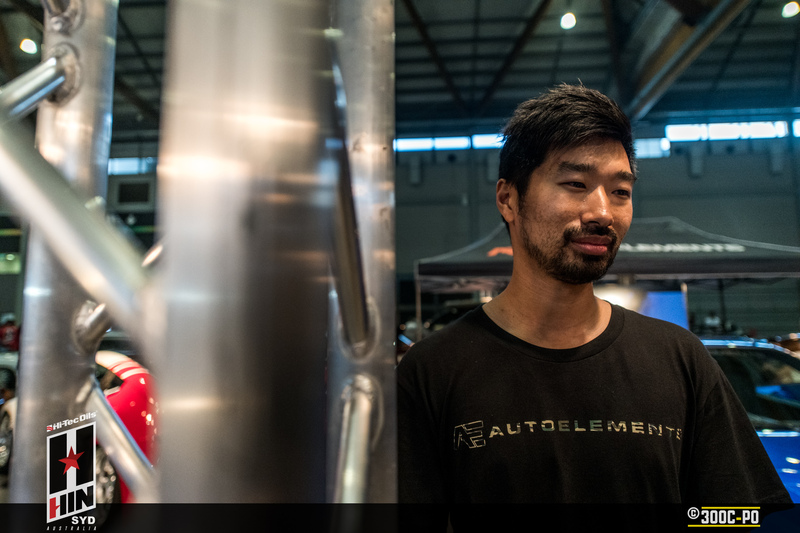 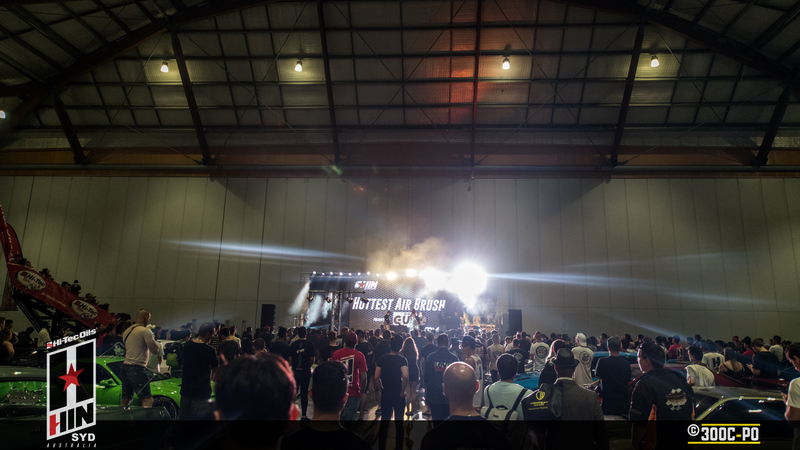 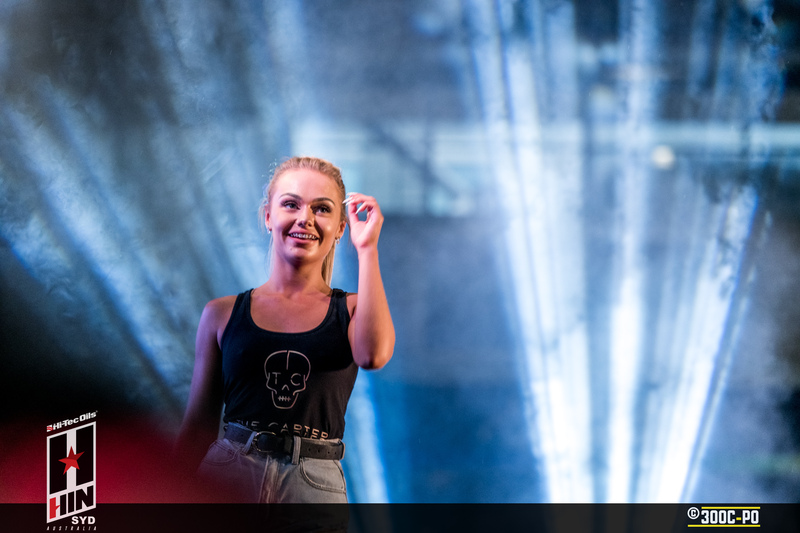 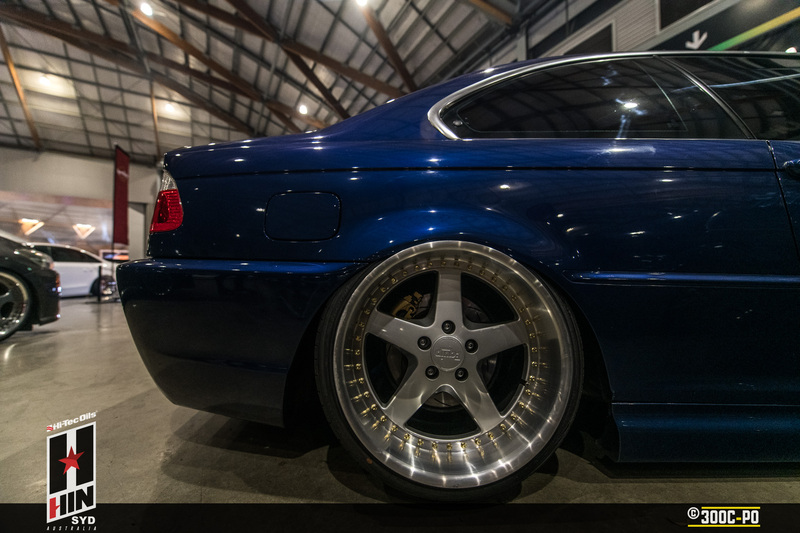 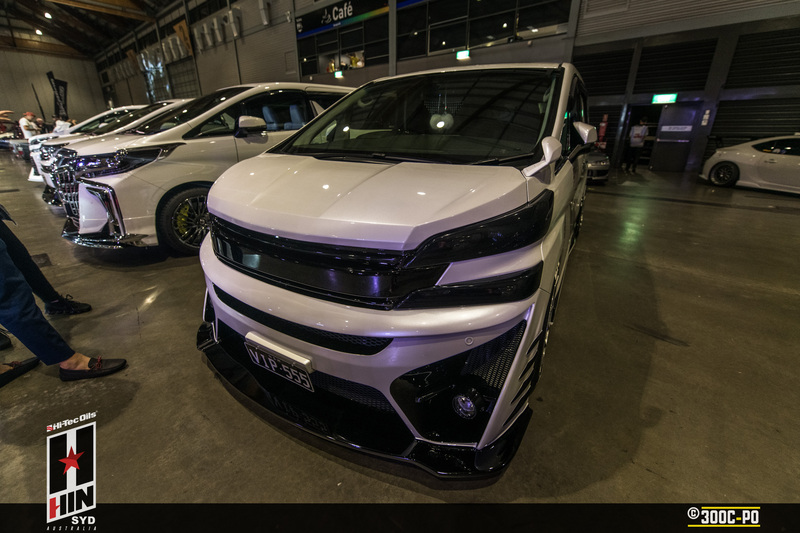 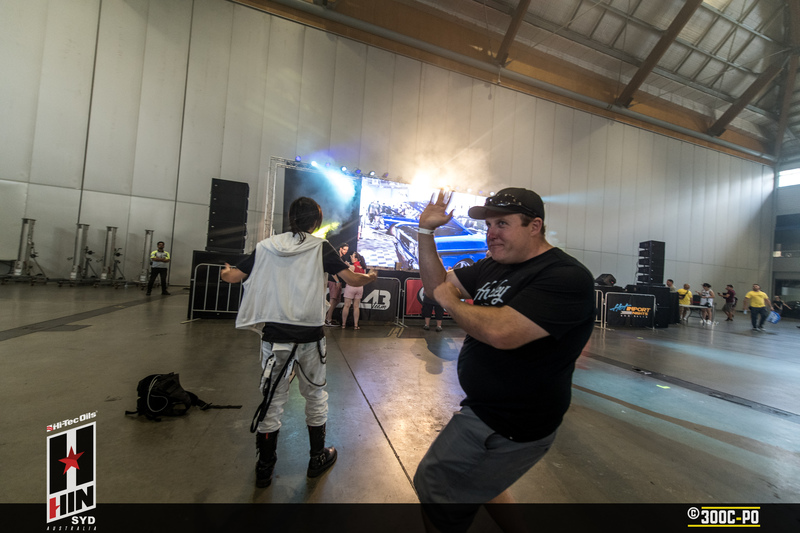 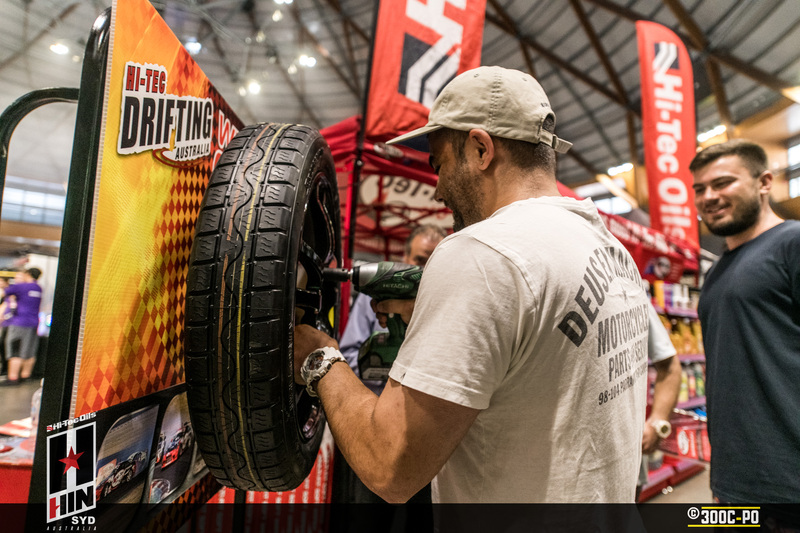 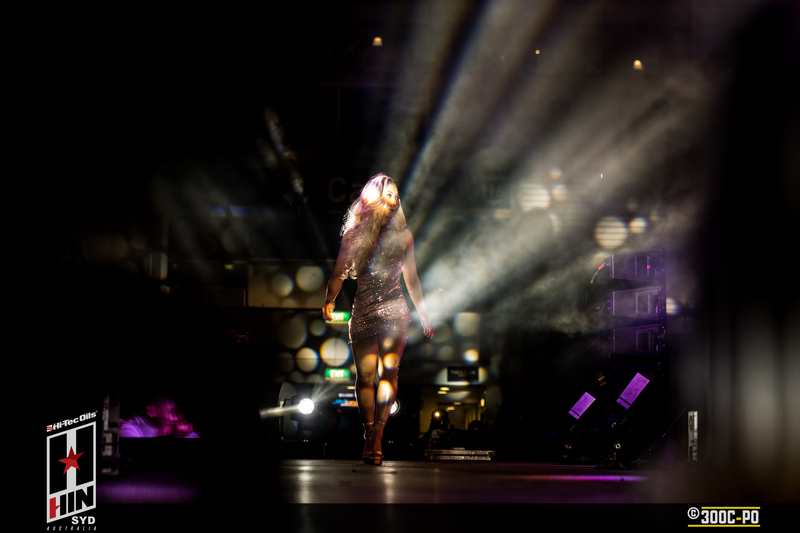 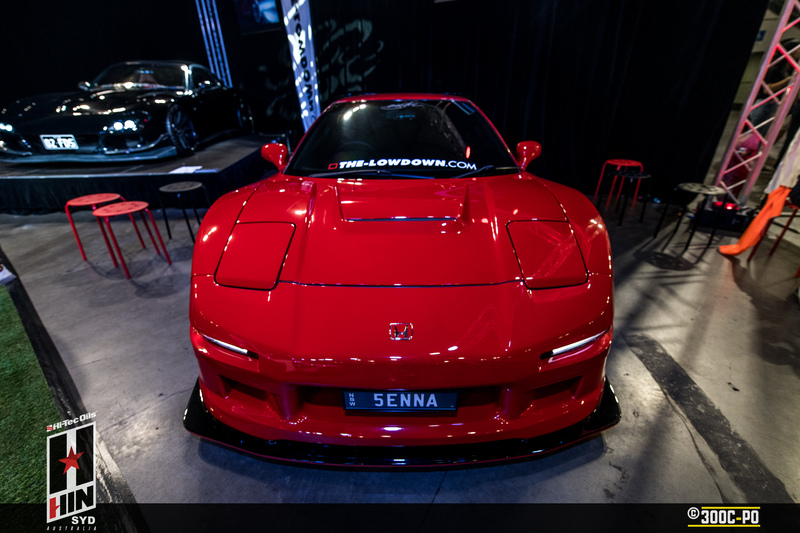 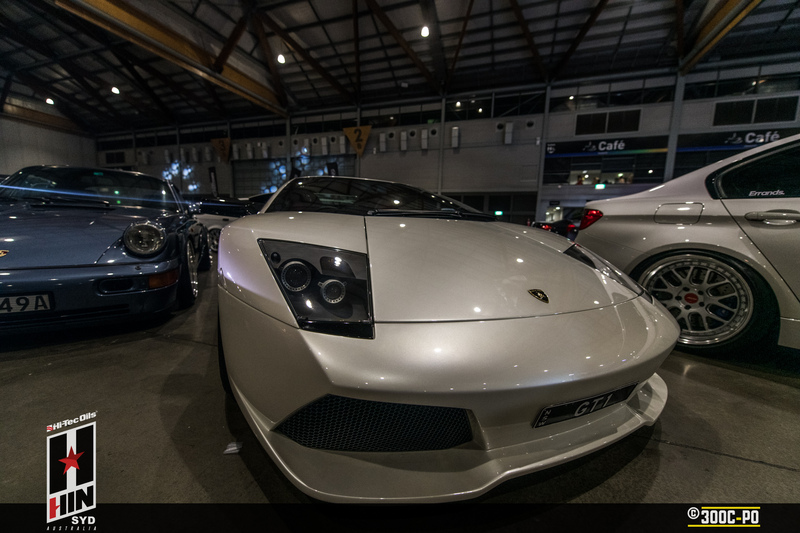 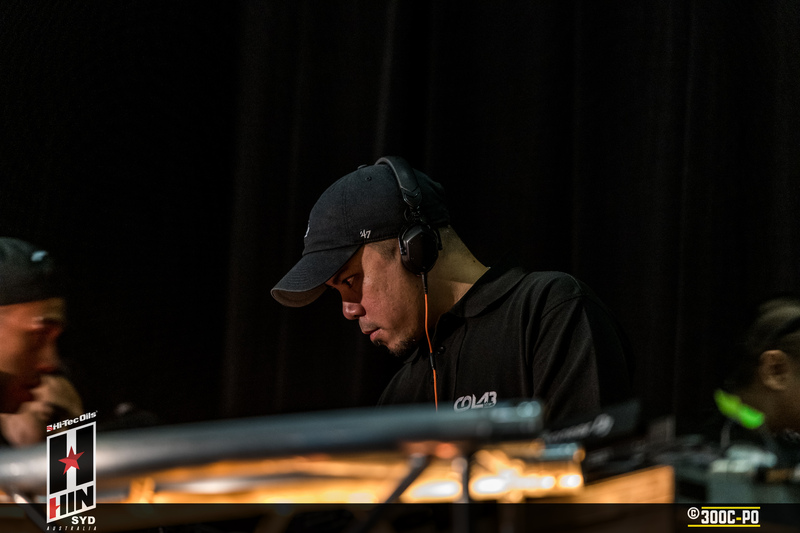 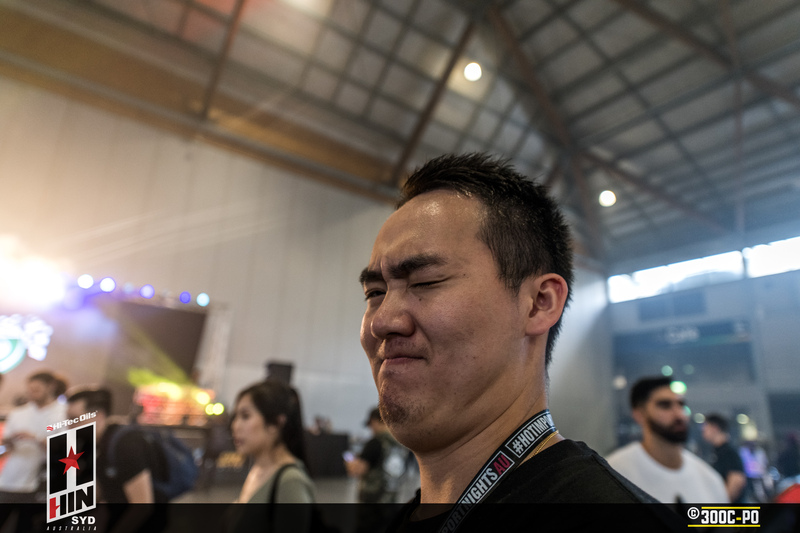 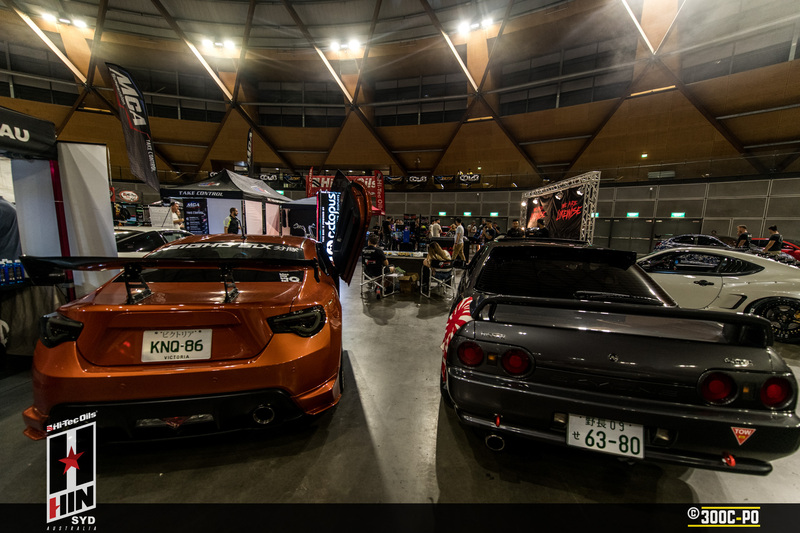 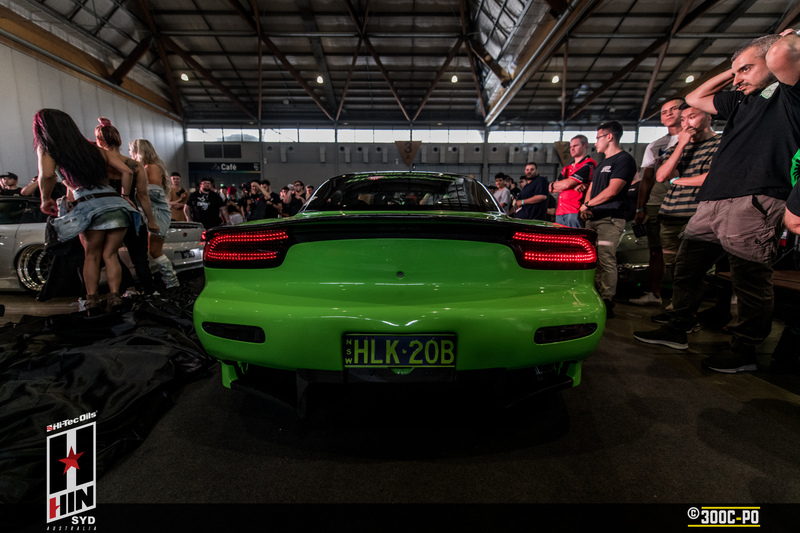 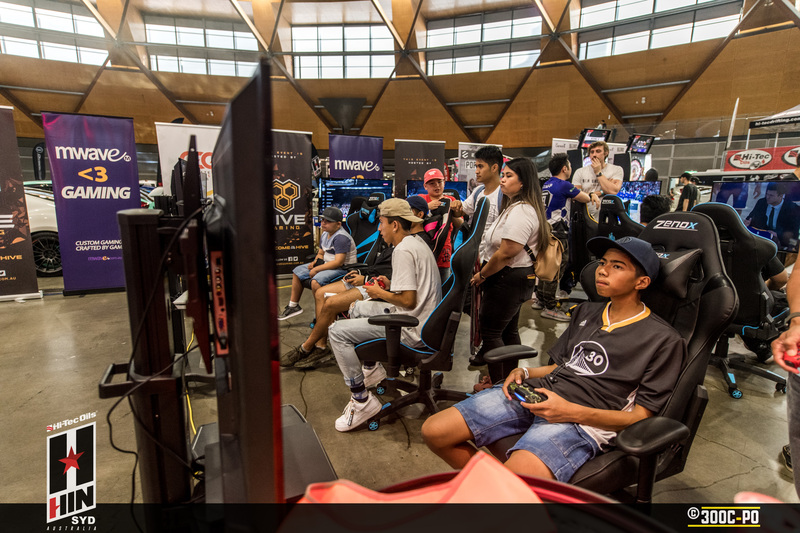 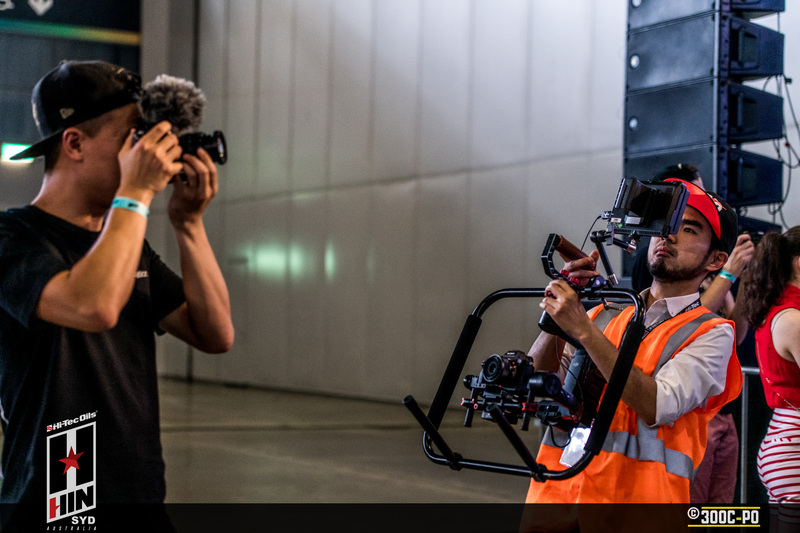 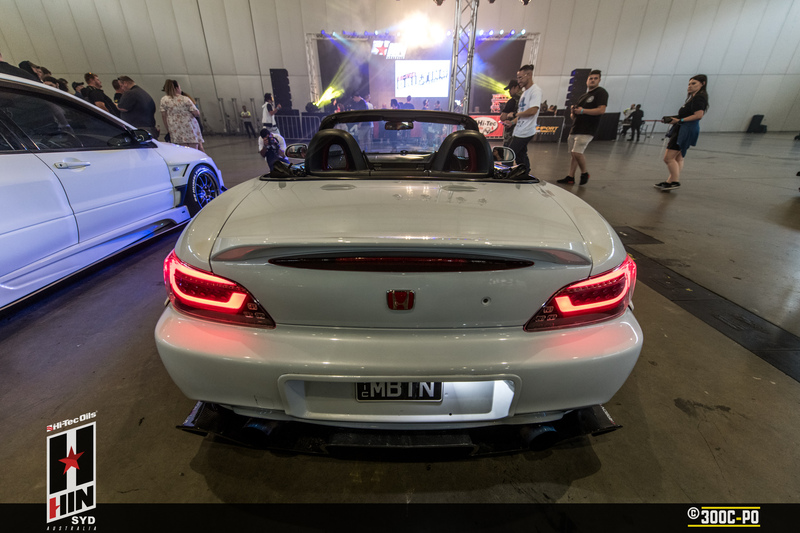 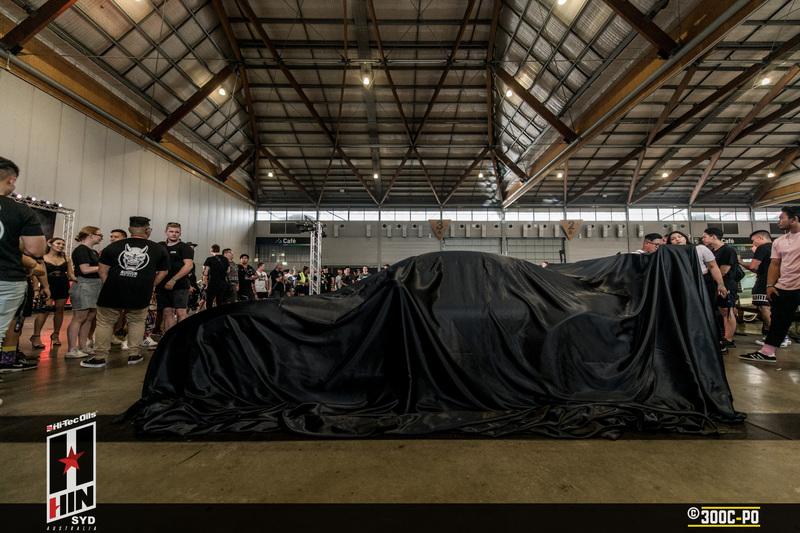 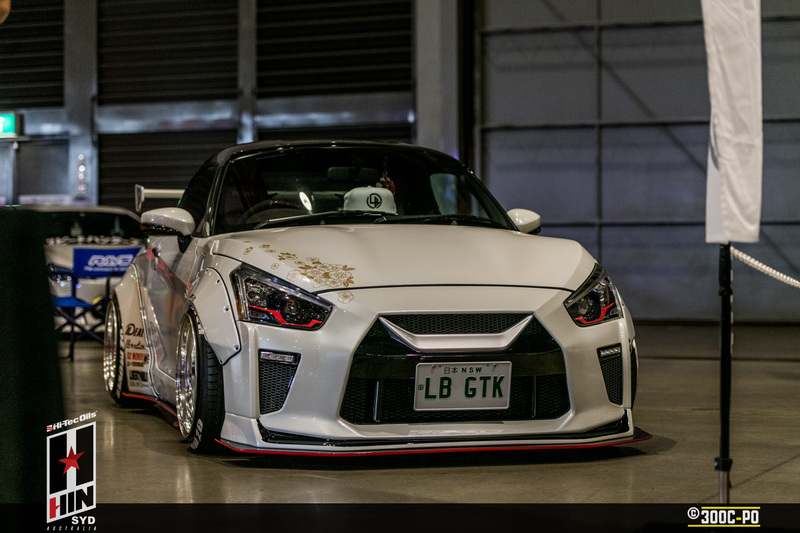 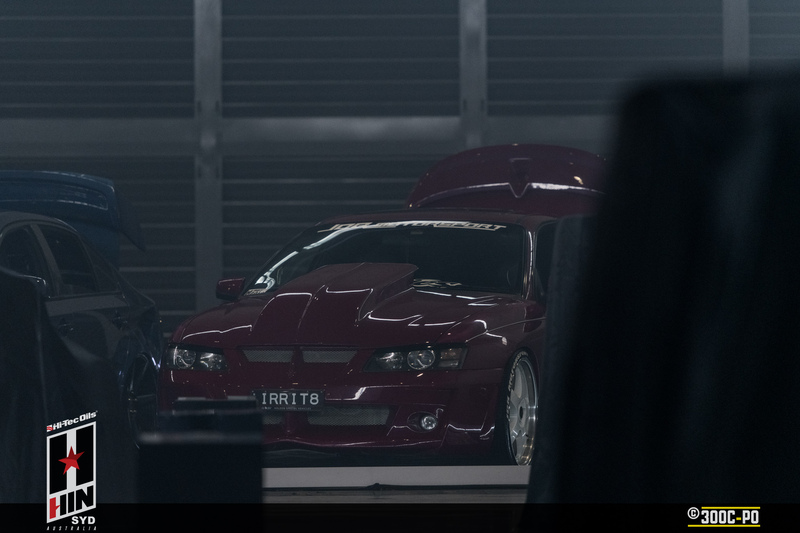 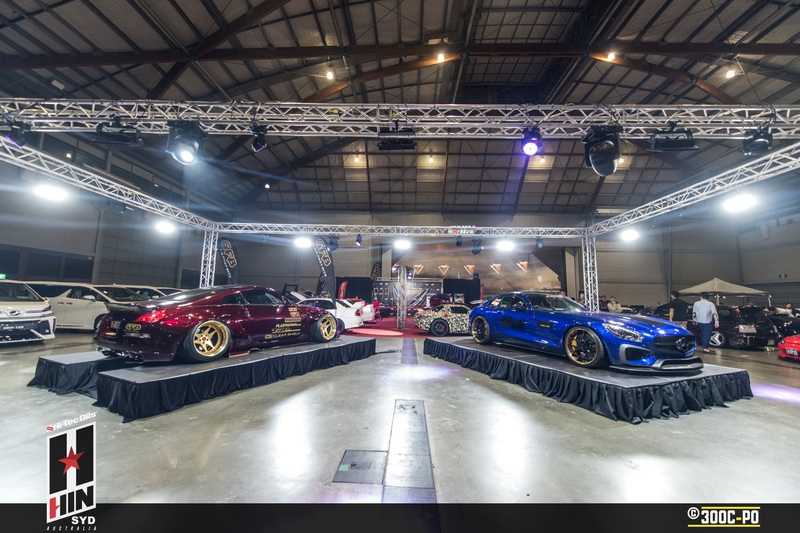 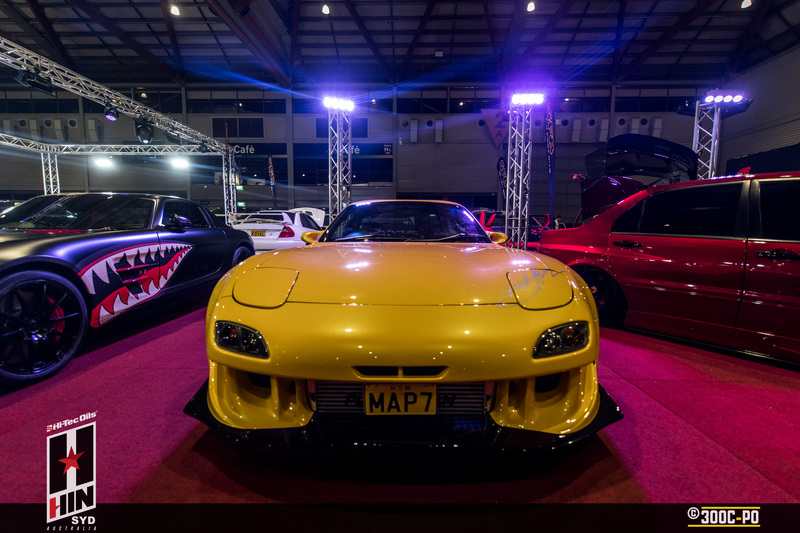 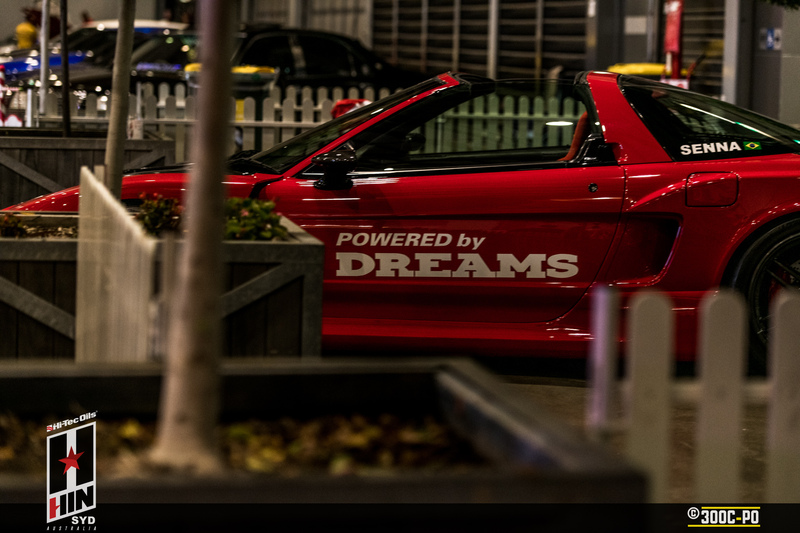 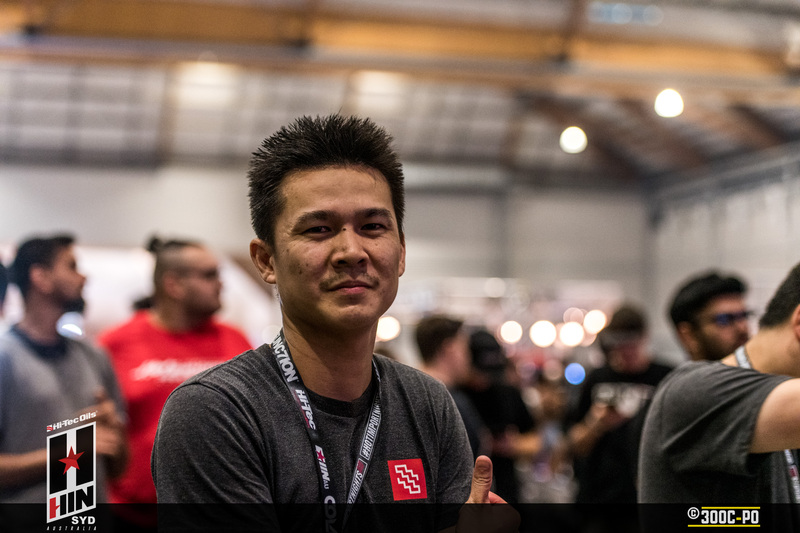 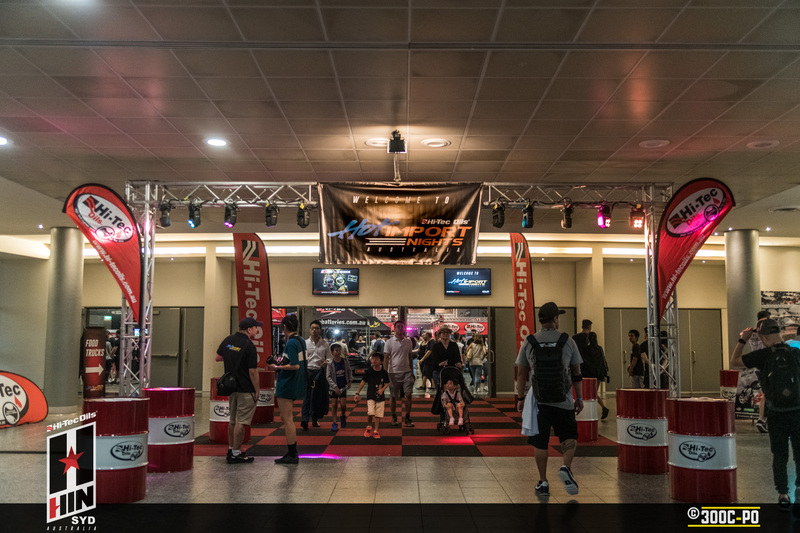 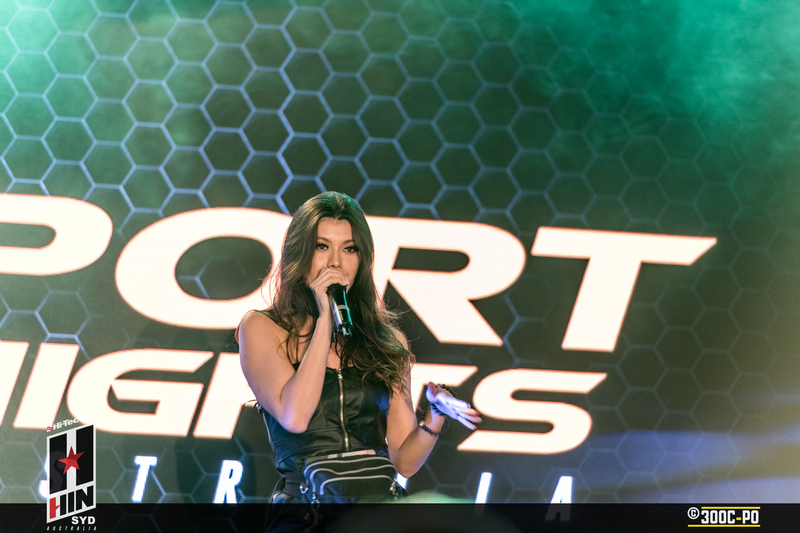 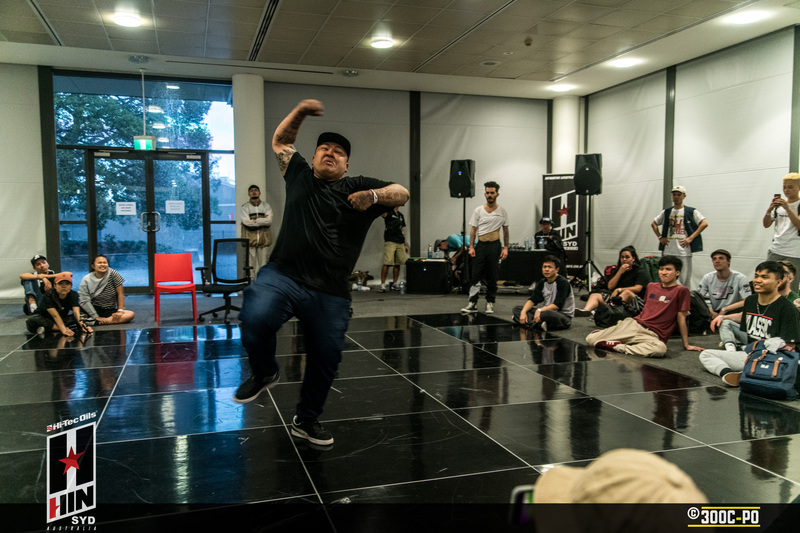 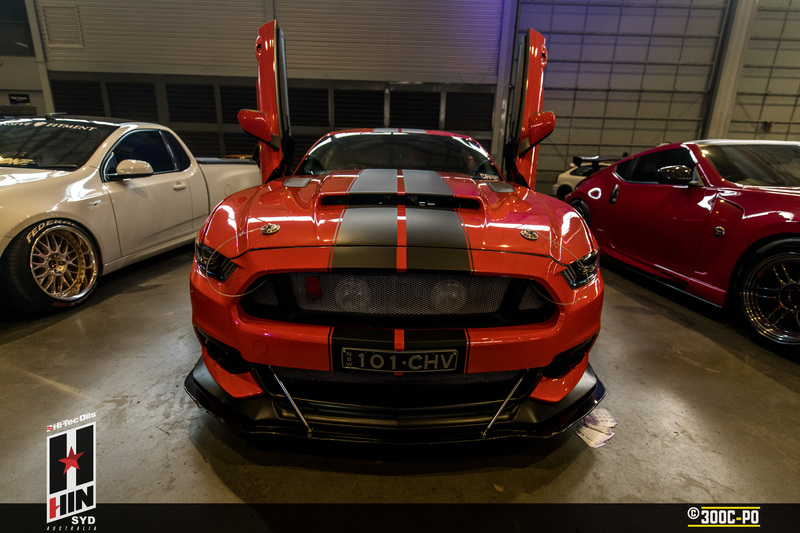 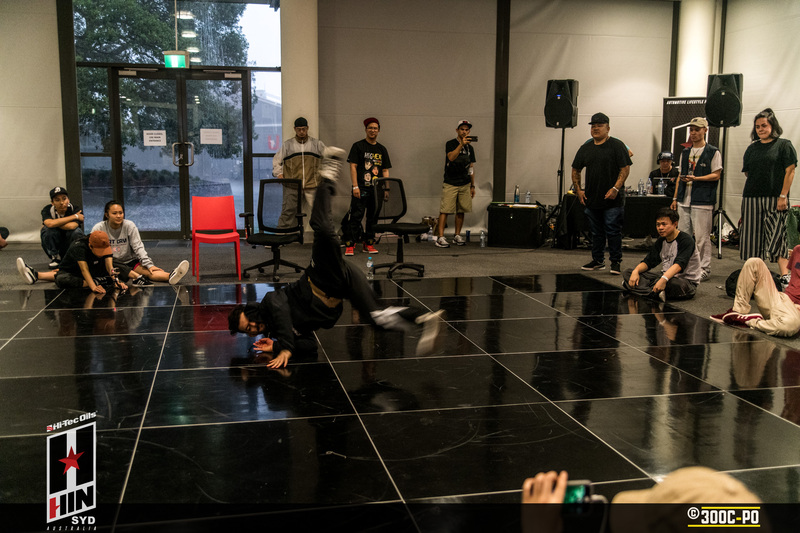 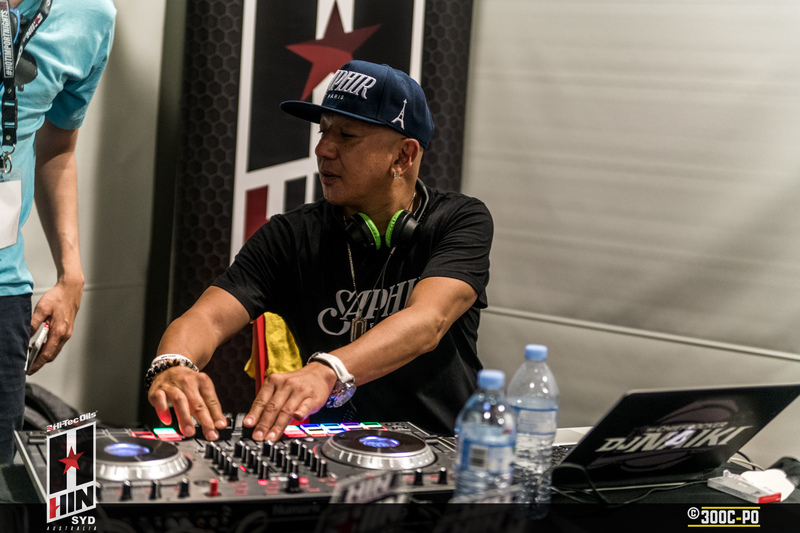 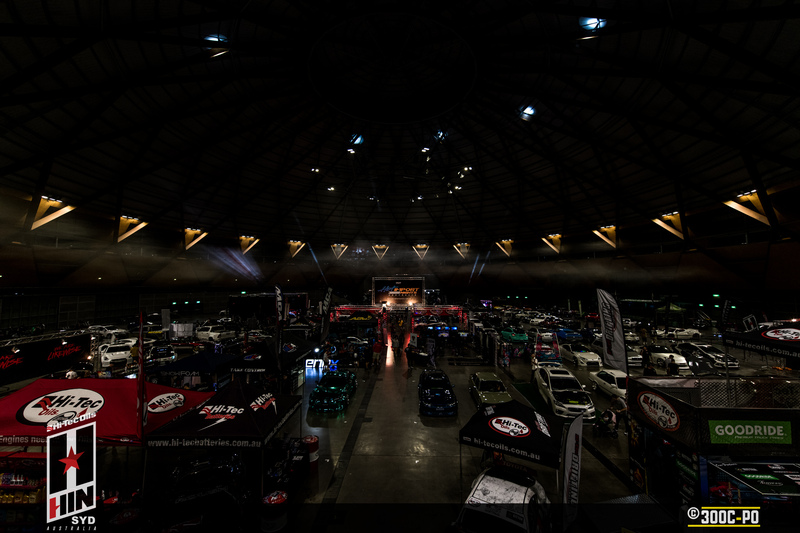 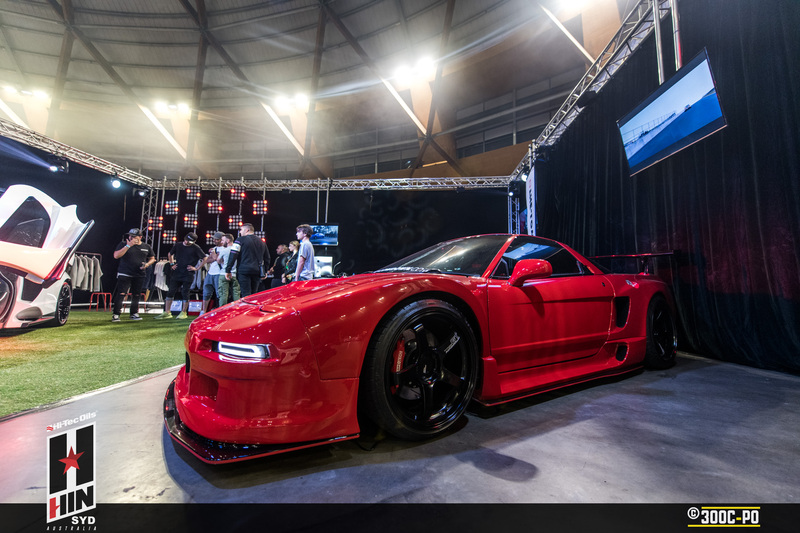 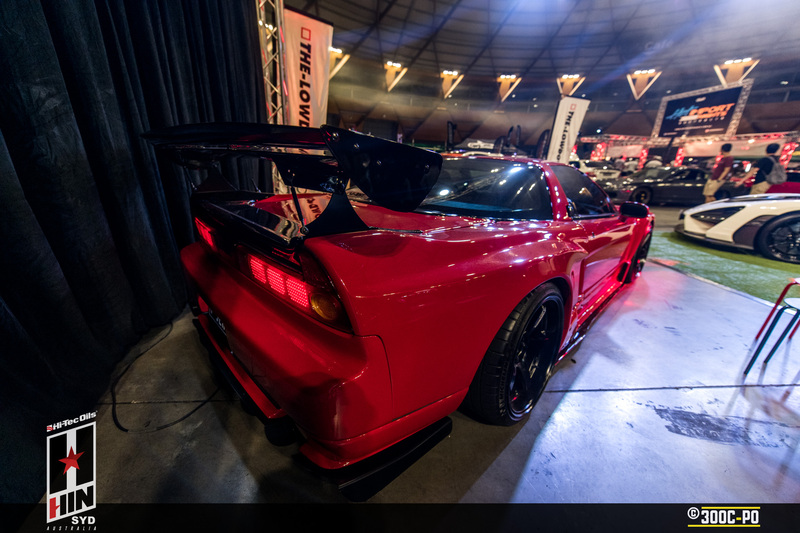 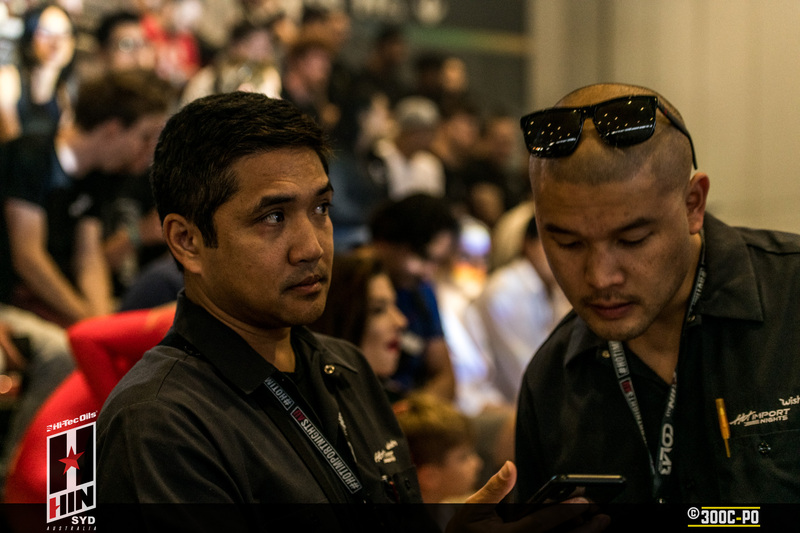 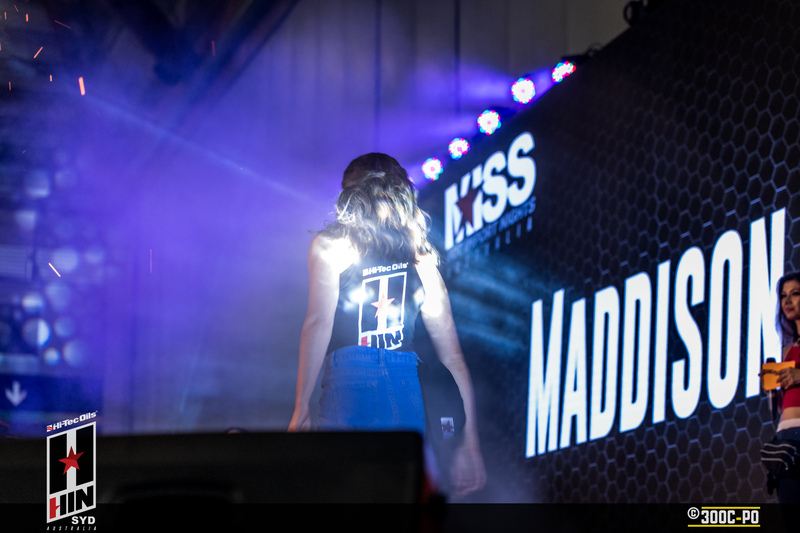 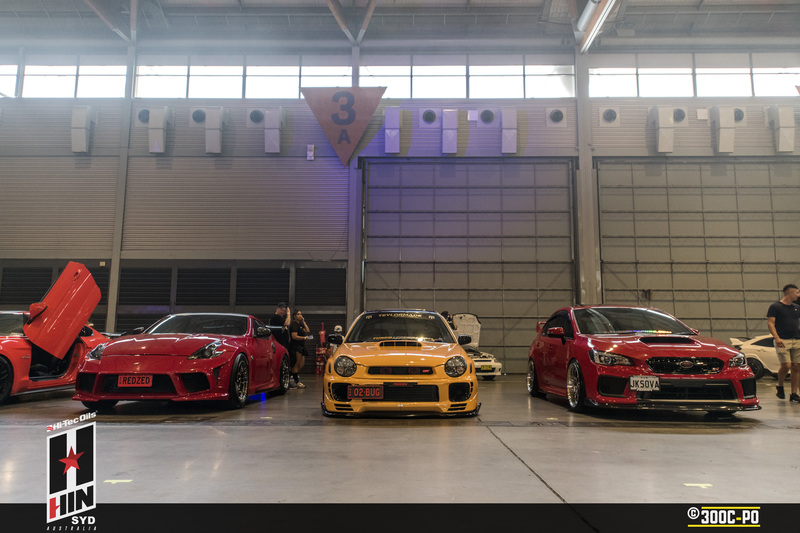 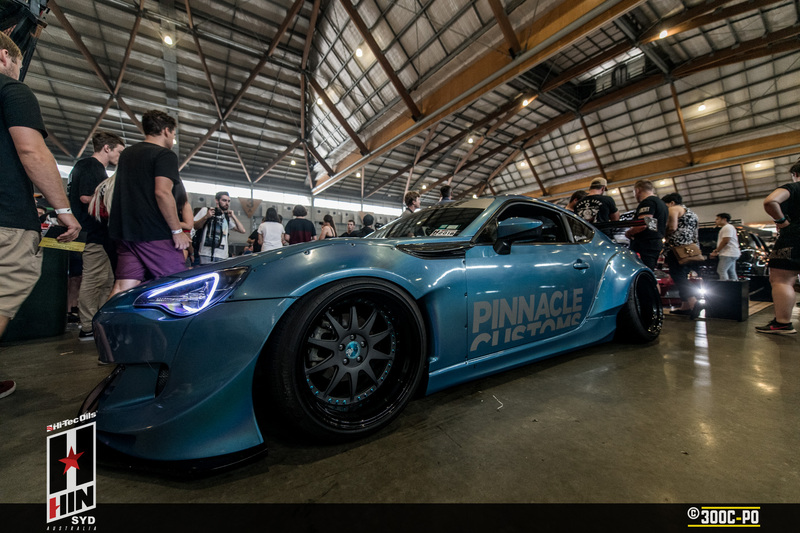 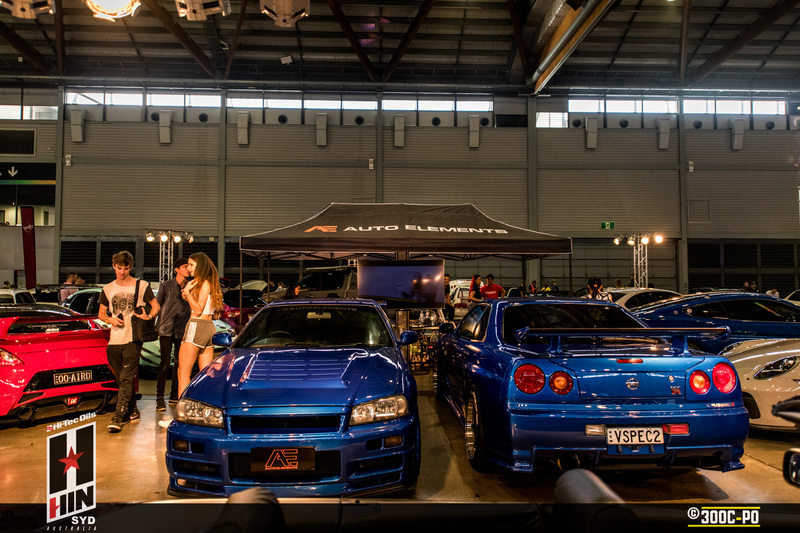 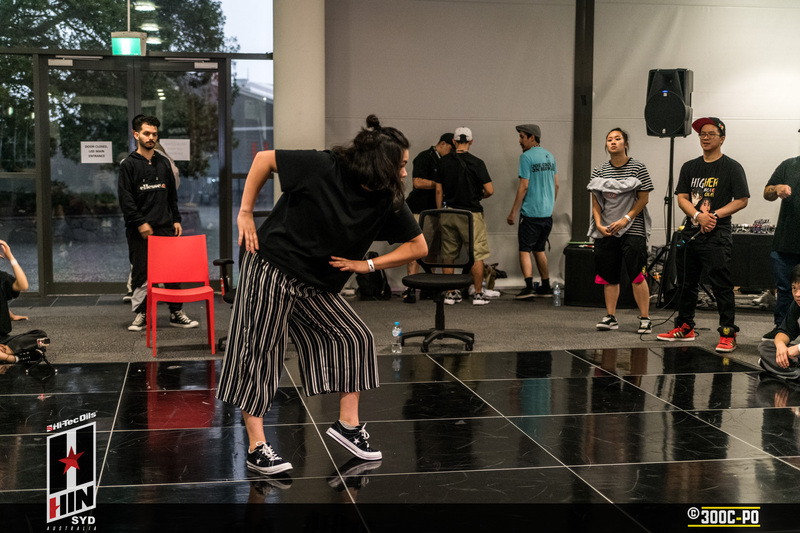 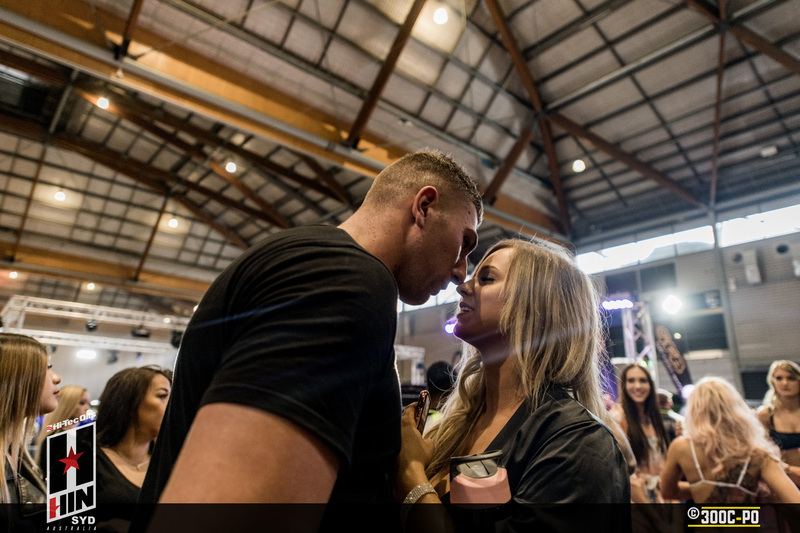 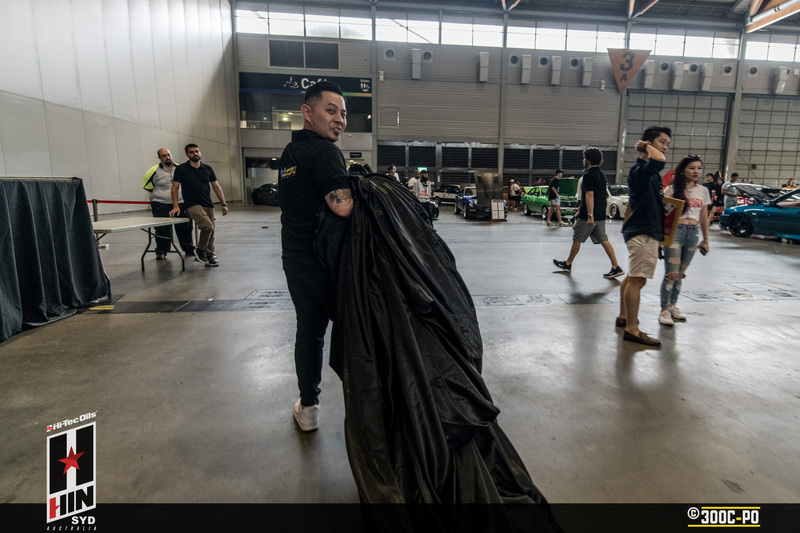 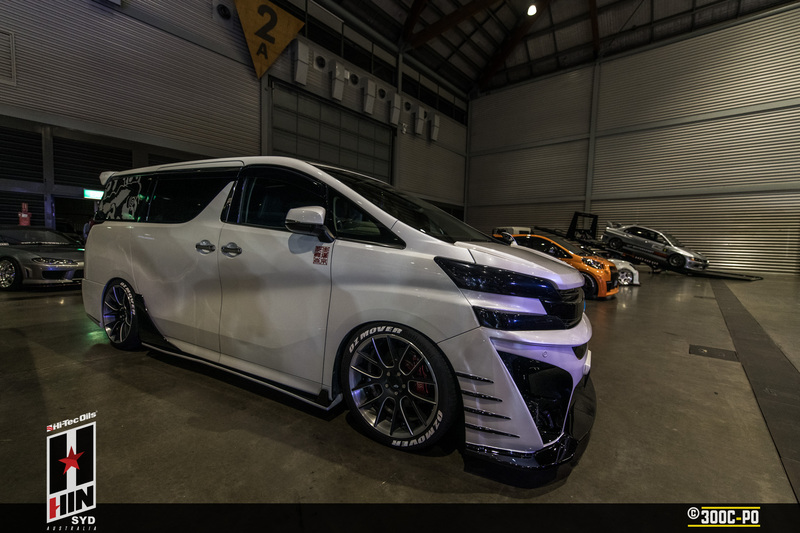 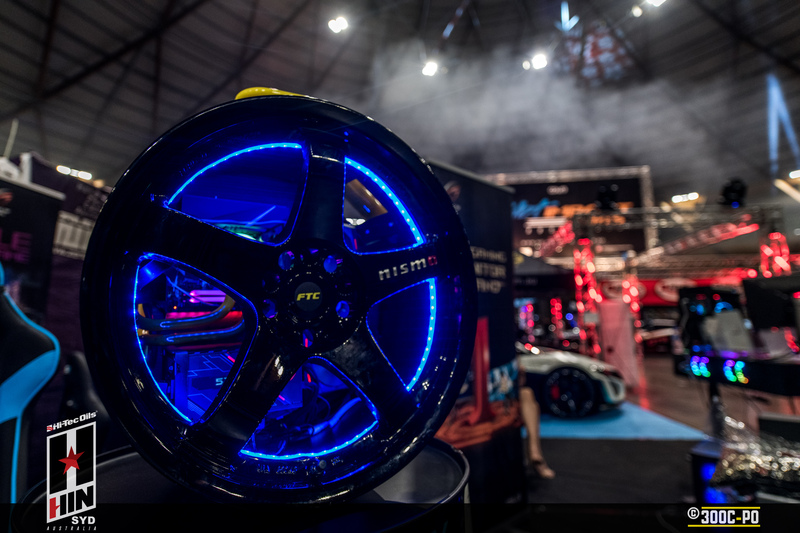 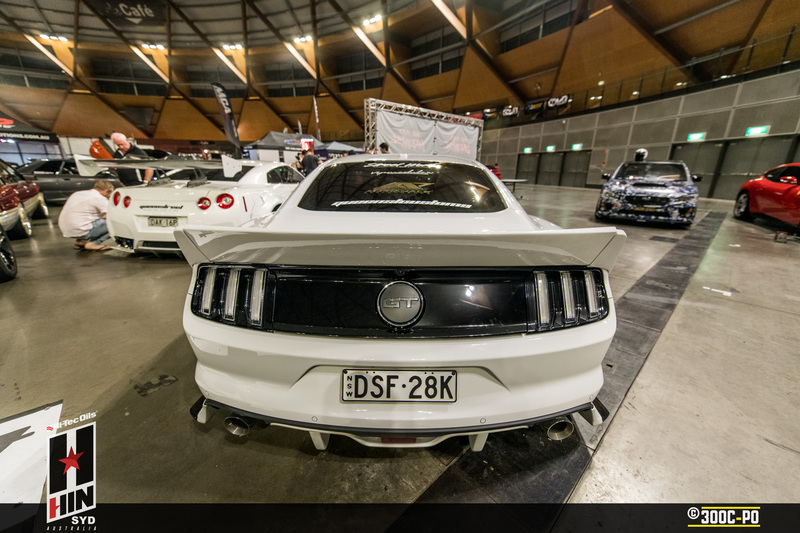 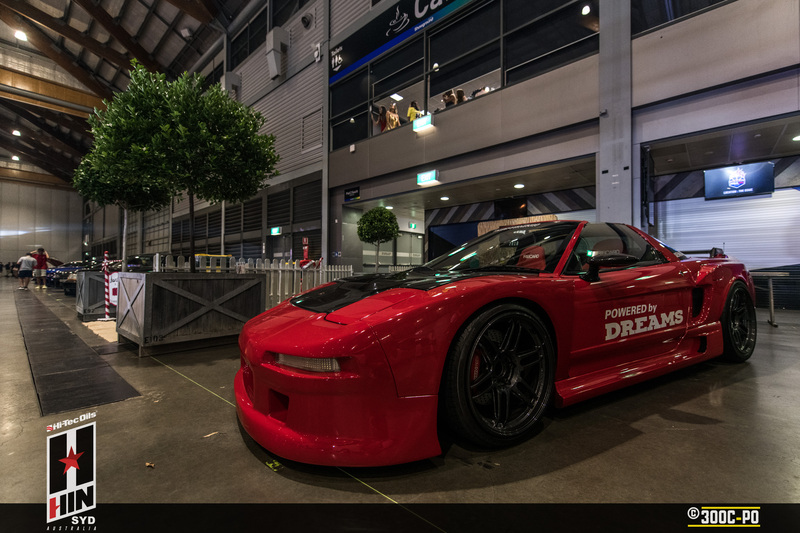 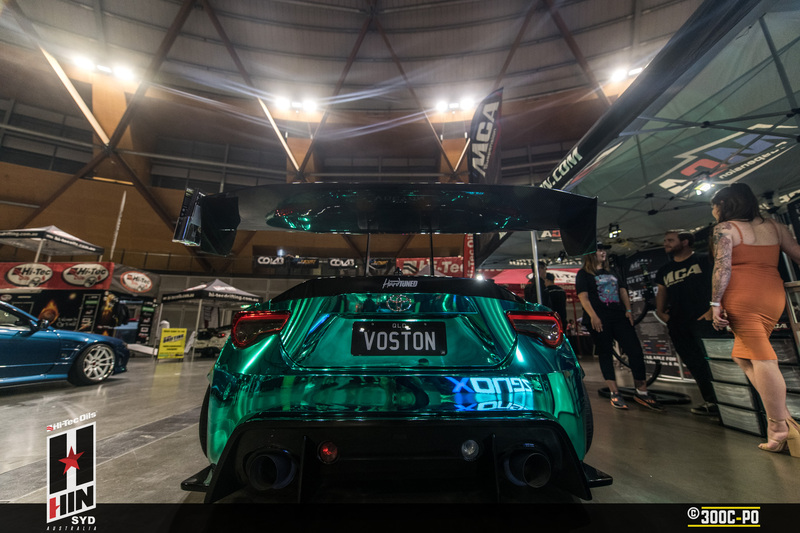 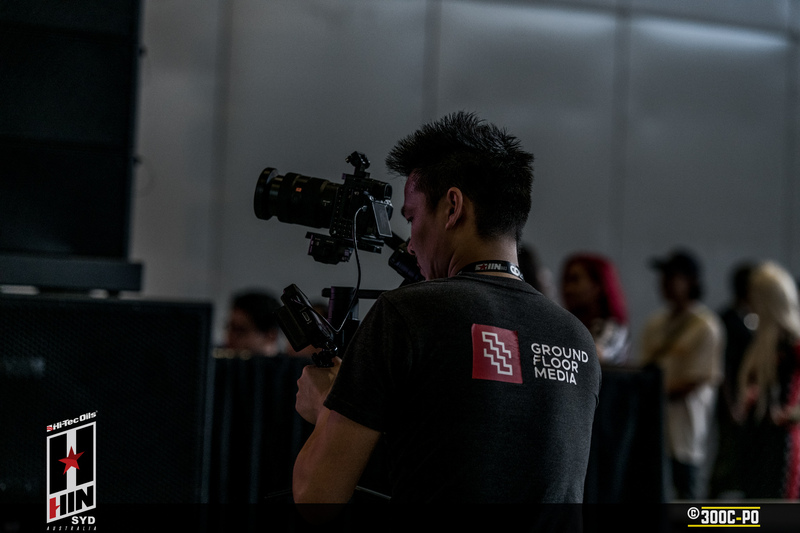 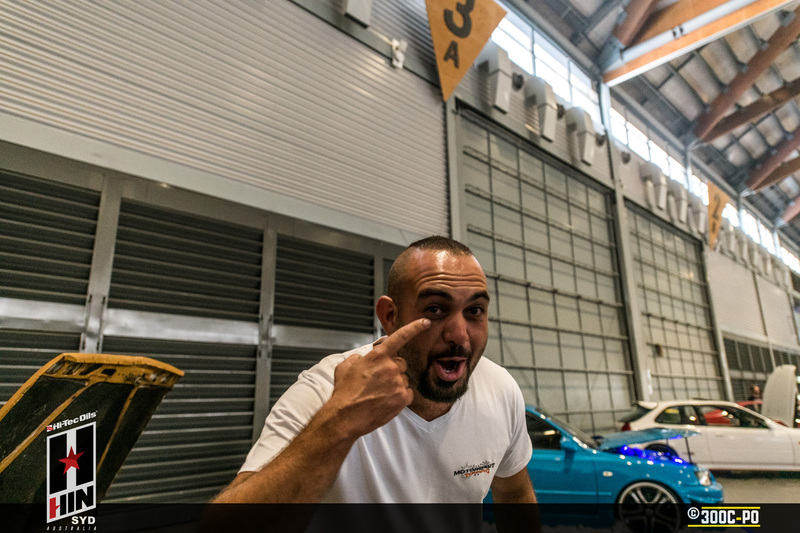 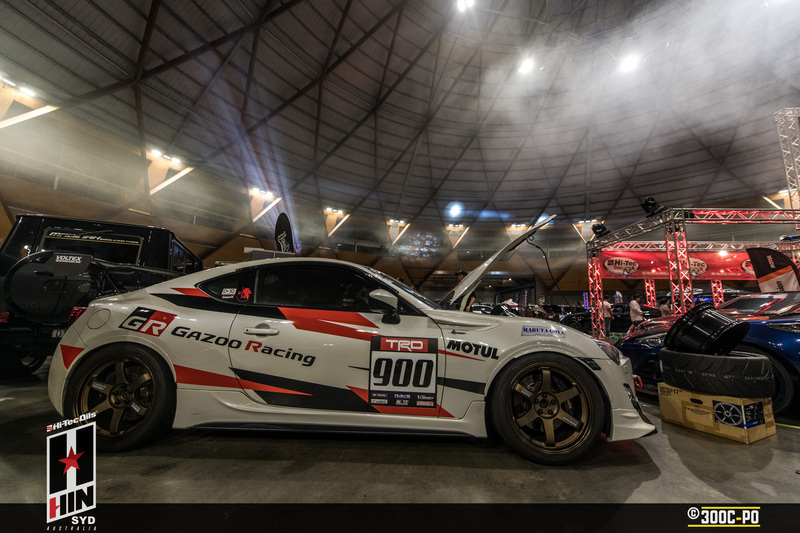 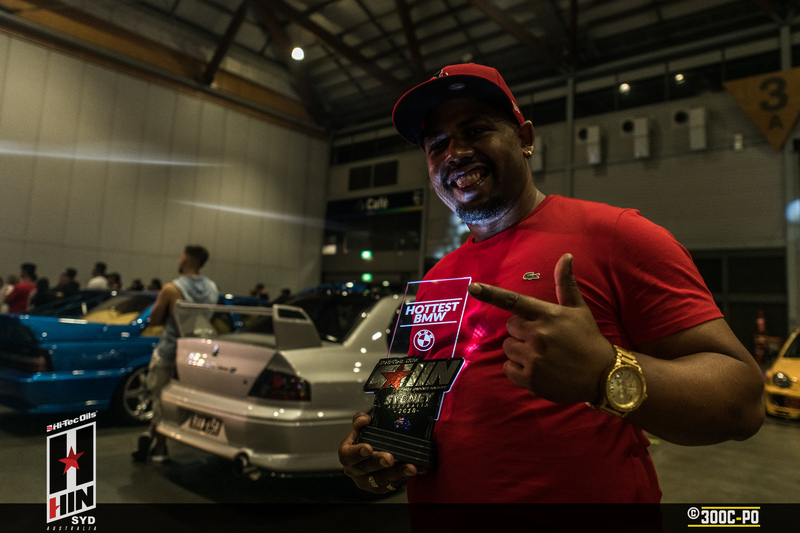 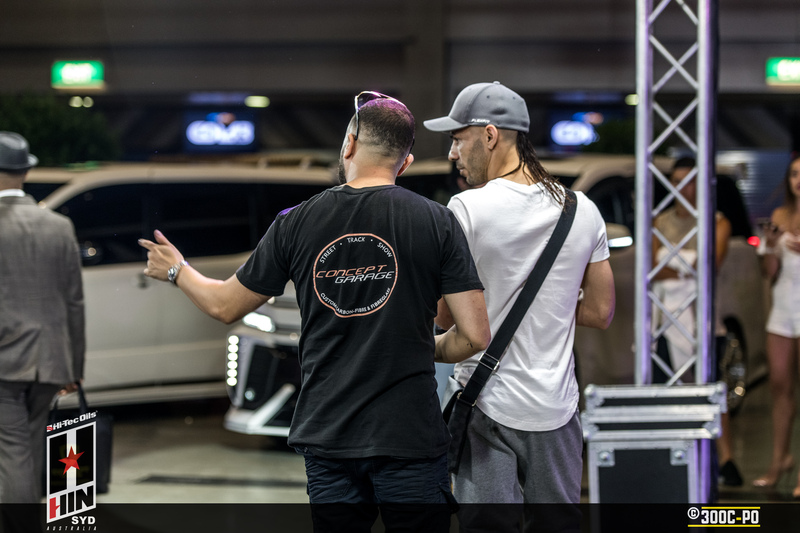 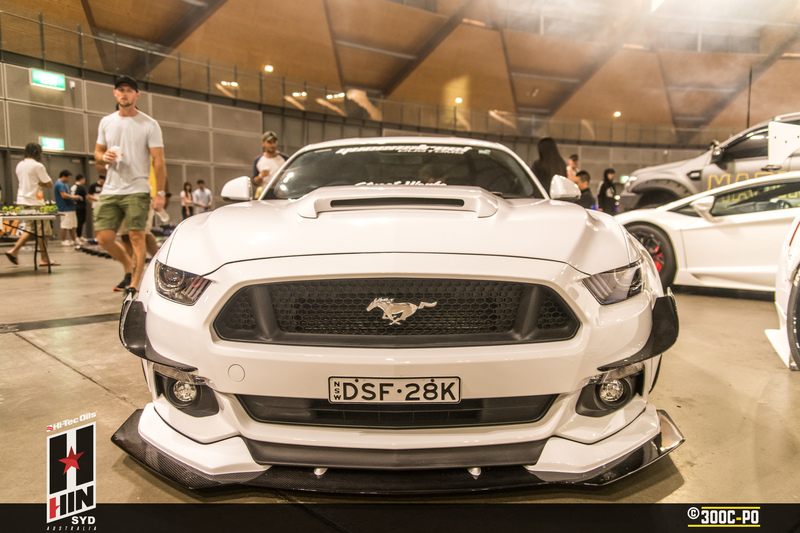 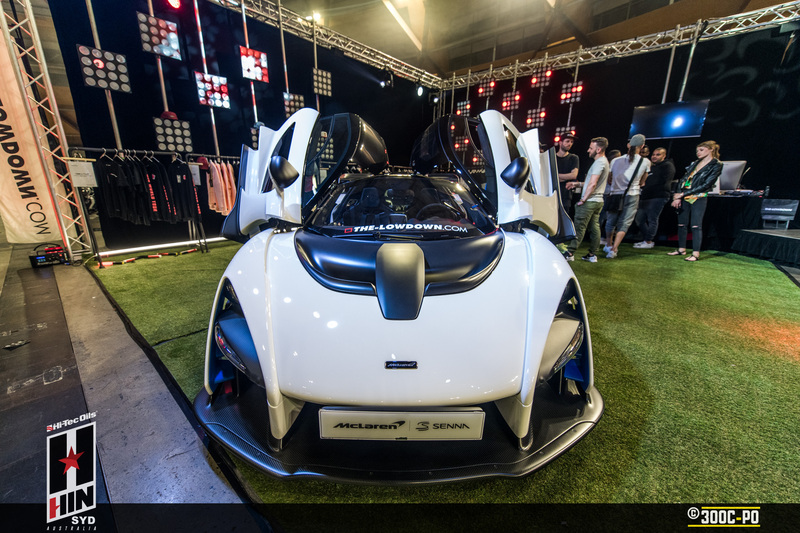 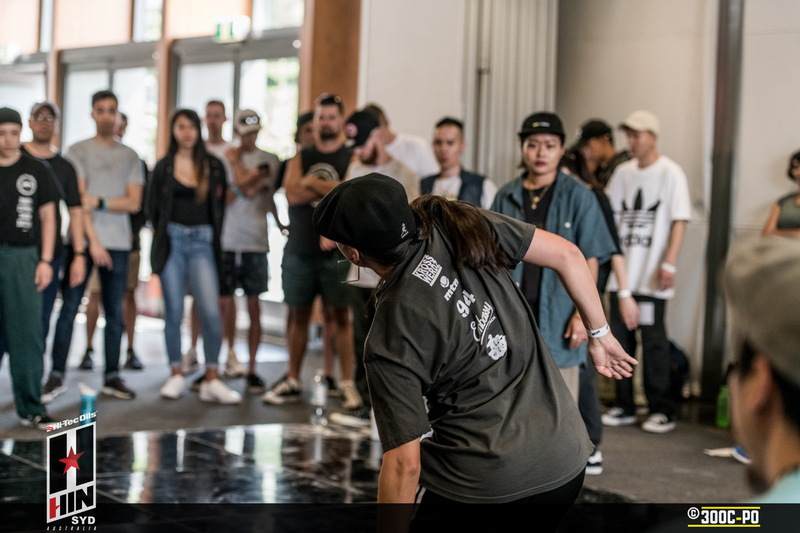 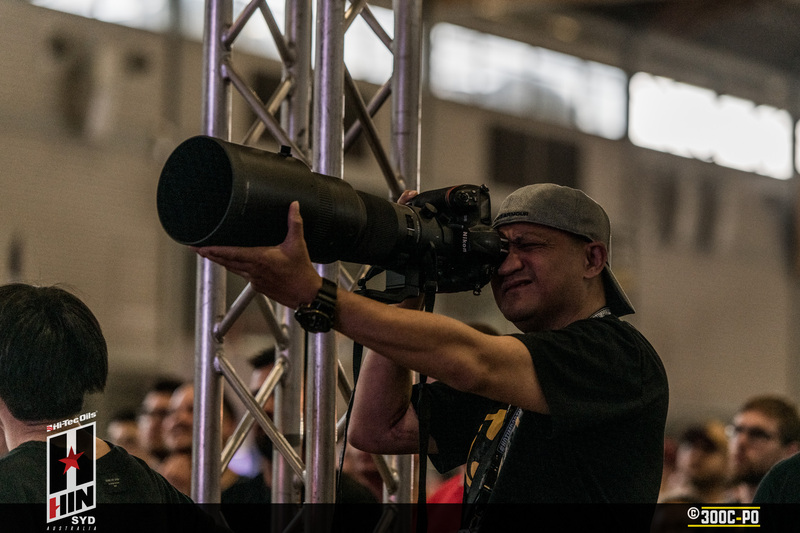 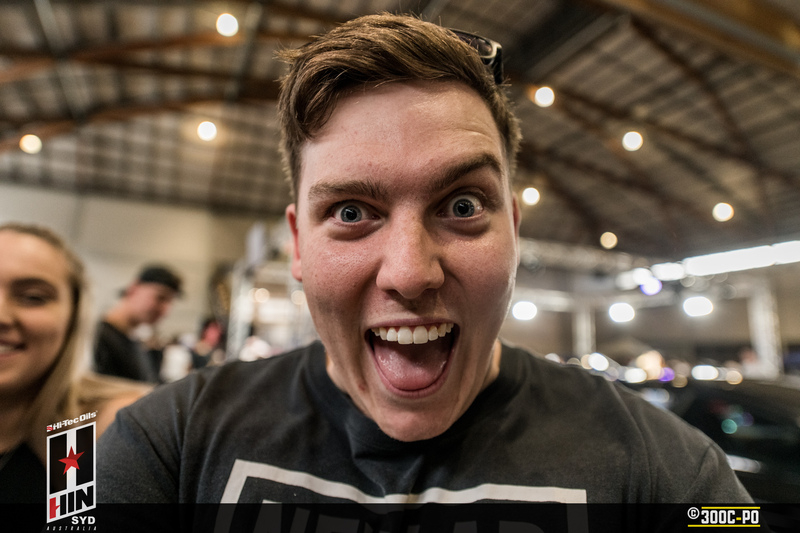 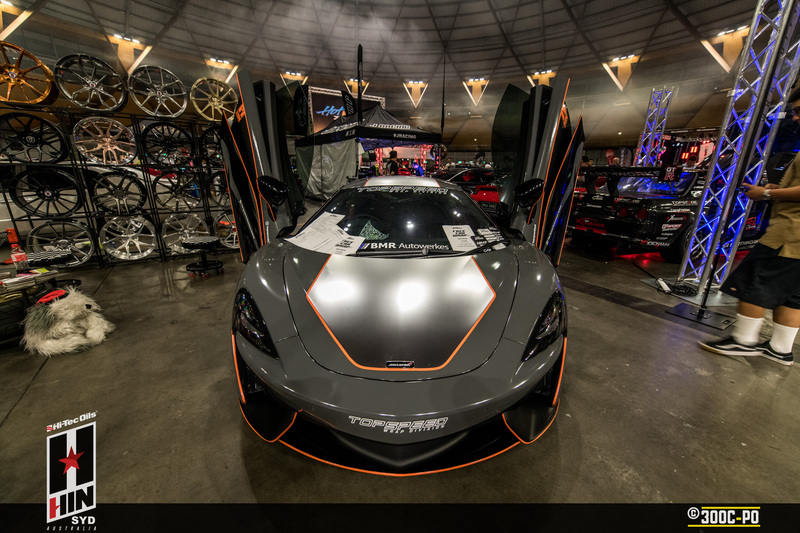 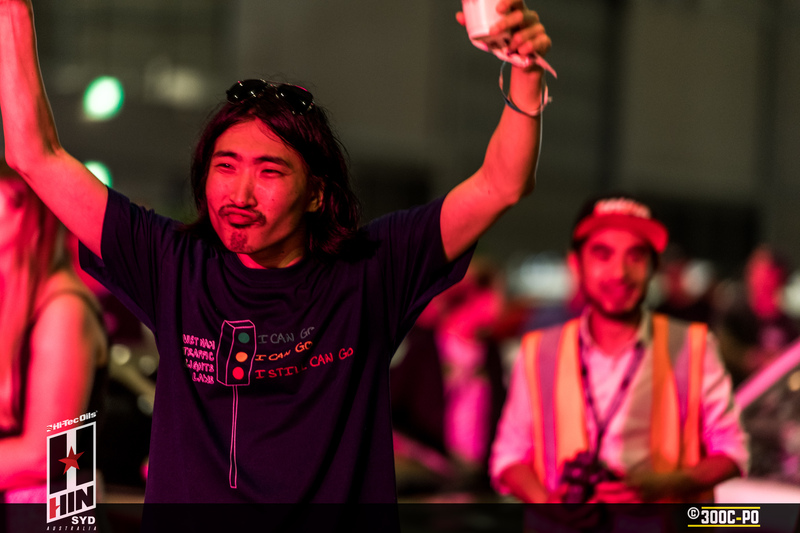 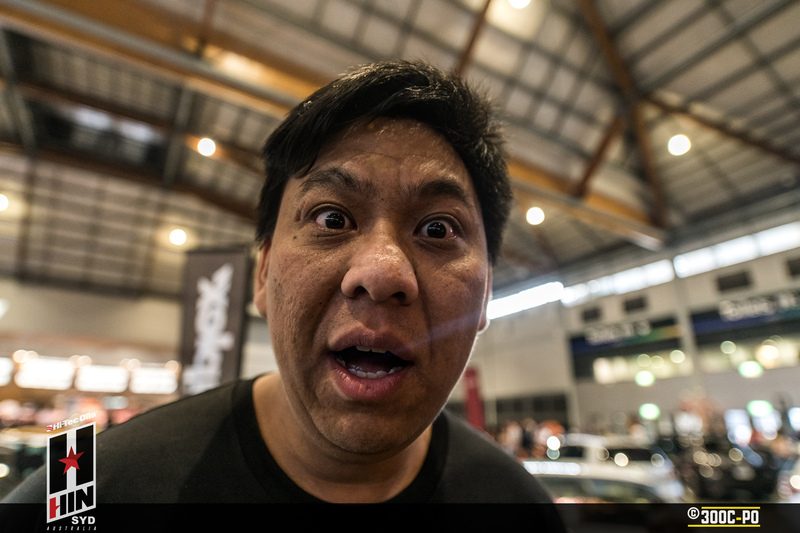 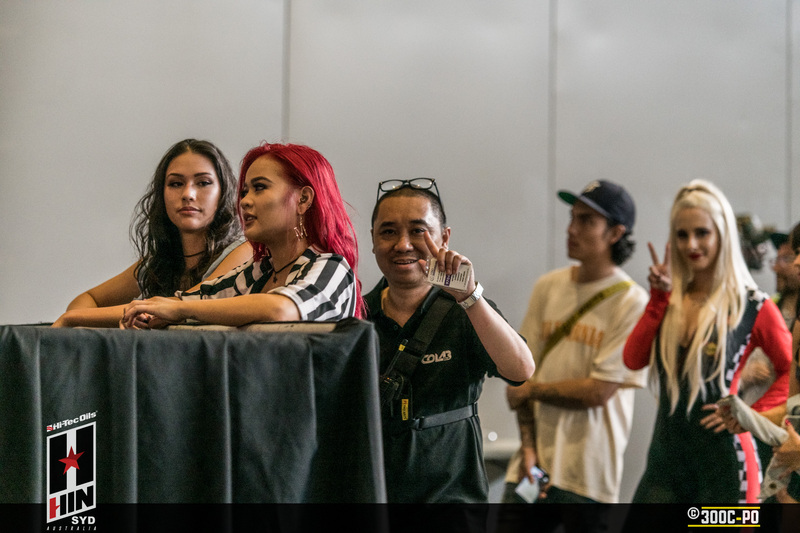 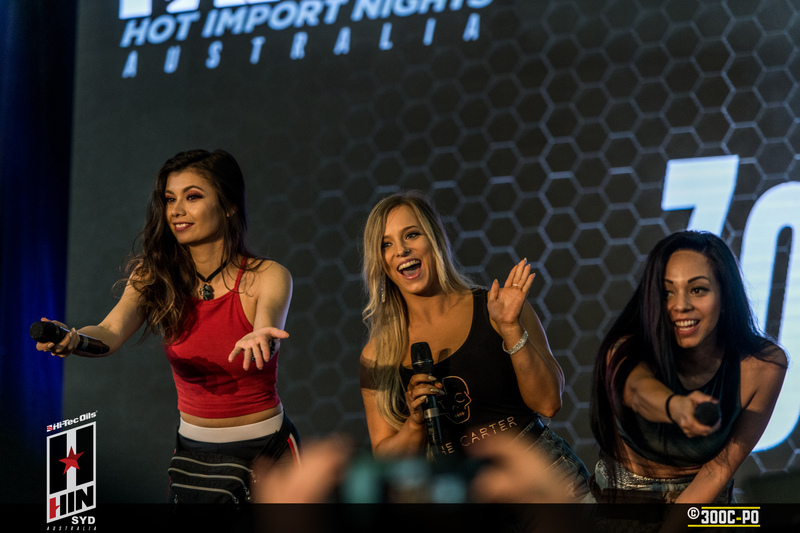 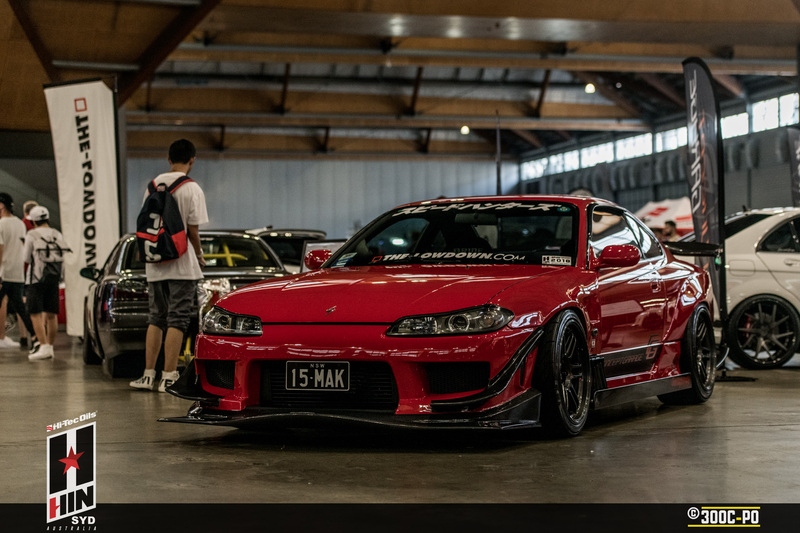 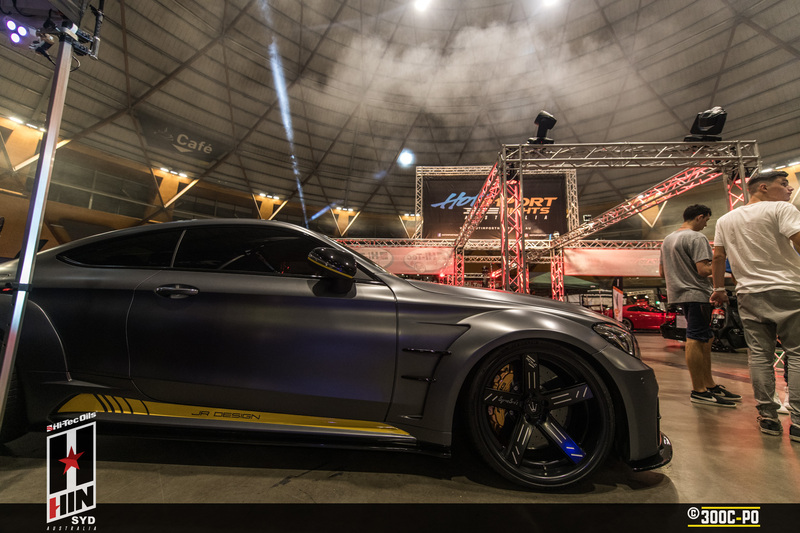 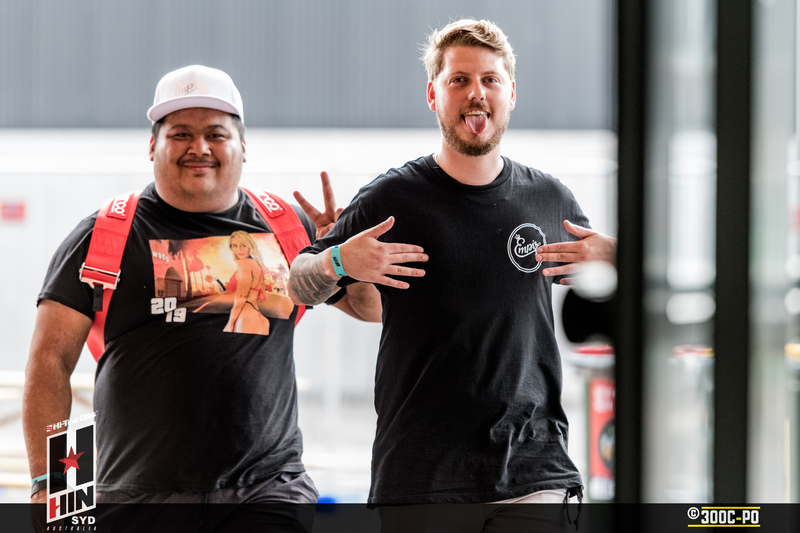 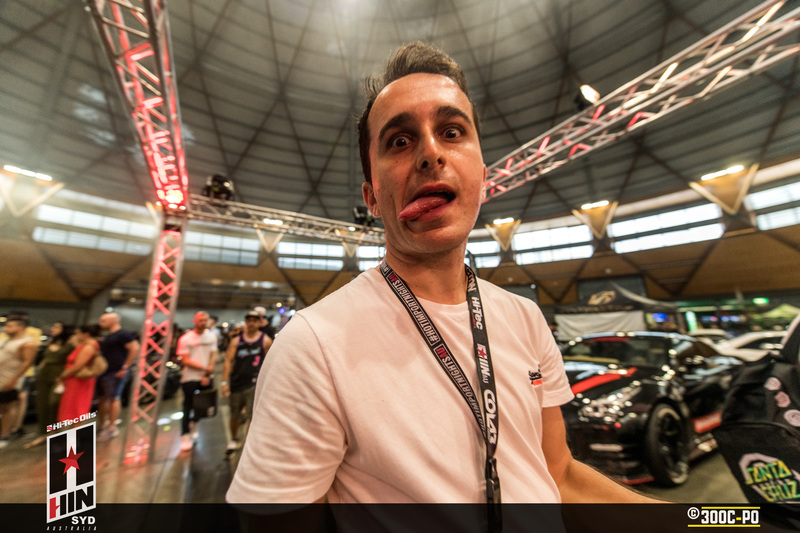 With one show in Sydney under their belt, the team from Hot Import Nights Australia backed it up with an even bigger event, moving from halls 5 & 6 over to The Dome. 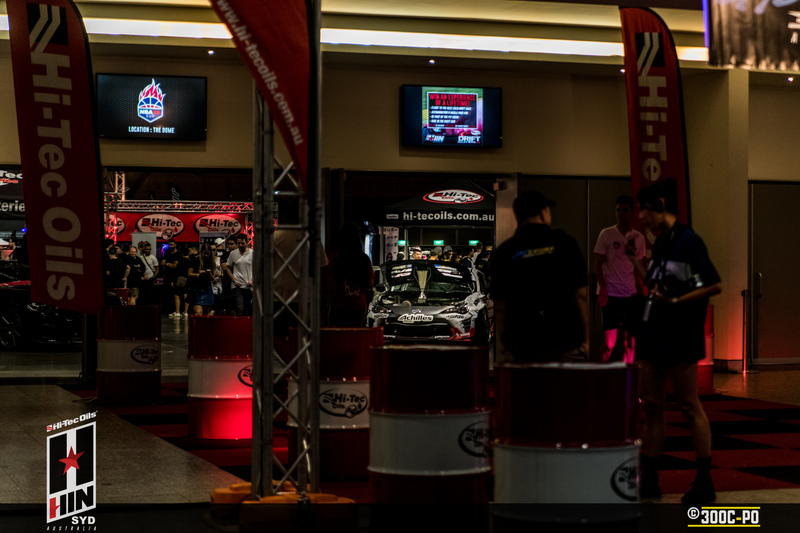 Headline sponsors Hi-Tec Oils were front and centre with Beau Yates’ championship winning GT86 as you entered The Dome. 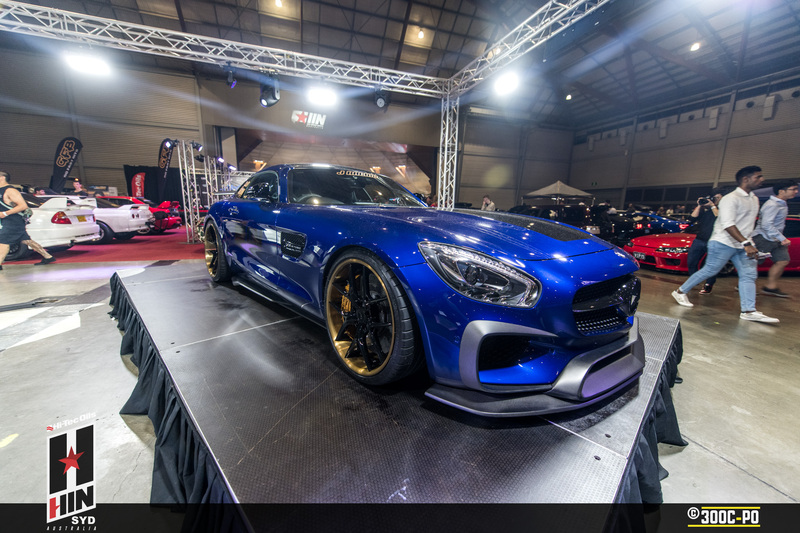 The HIN project car for 2018 would already turn heads without being customised; an AMG GTS. 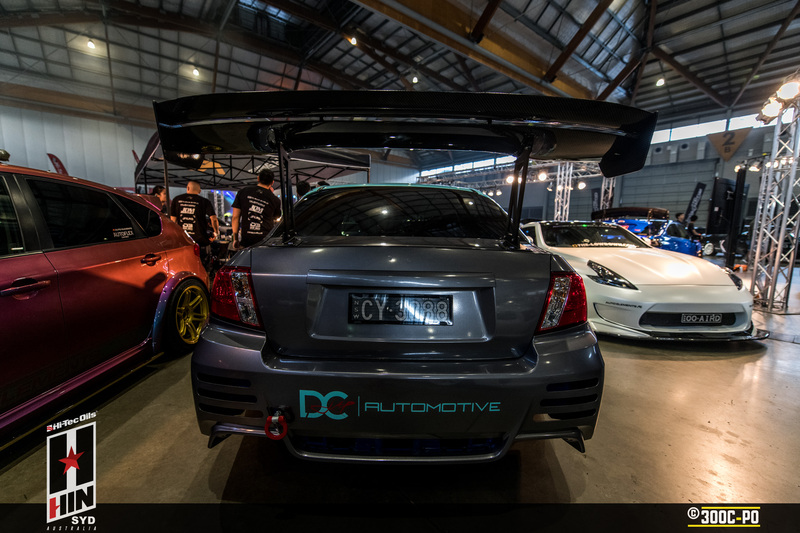 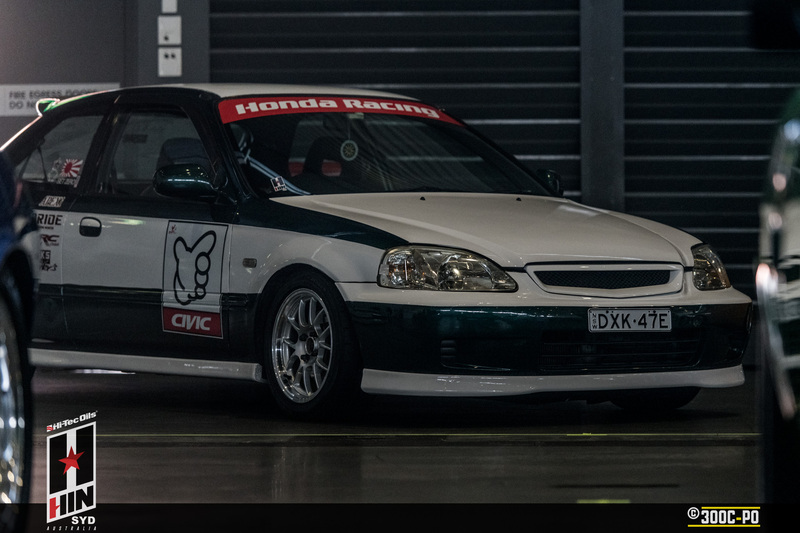 J Racing accentuated the cars top & tail with a tidy bodykit with plenty of carbon fibre pieces, a rear wing, some fresh paint & some custom Koya wheels. 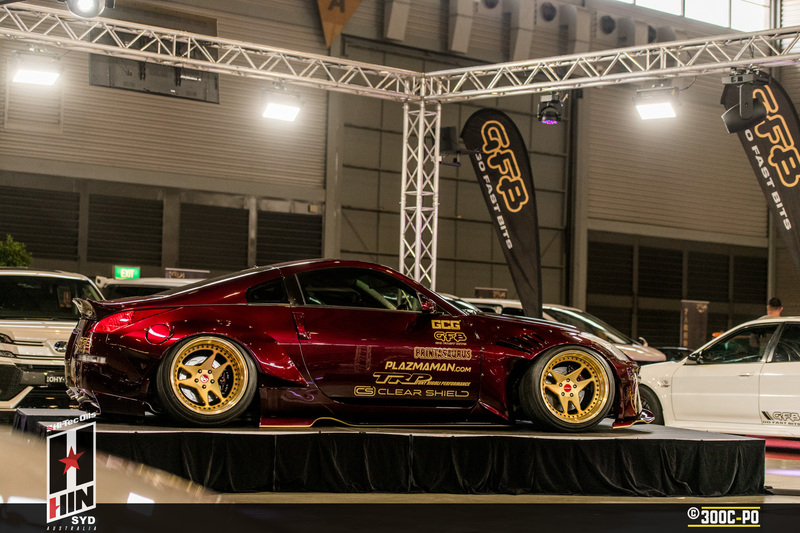 The gold, black & purple scheme definitely looks the business. 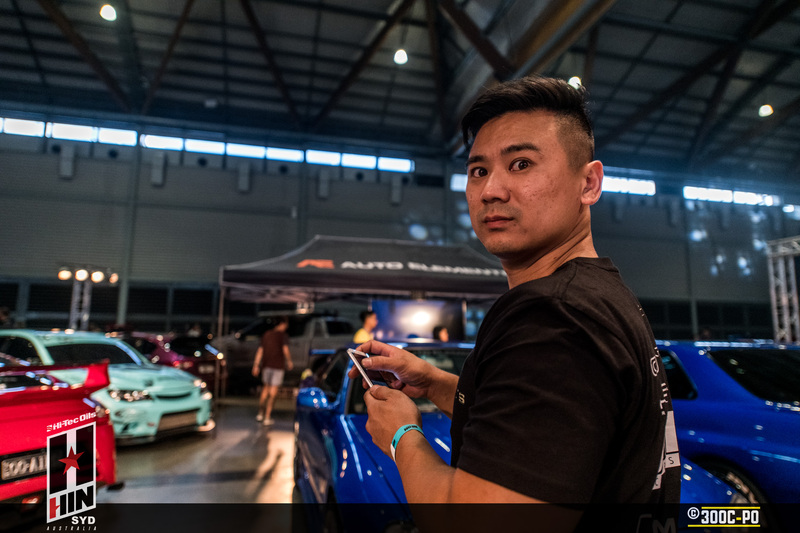 Not to be surpassed with the latest & greatest, Chook went and changed up the HIN project car from 2017; AKA HIN18 Iron Man 350Z, with some nice new mods. 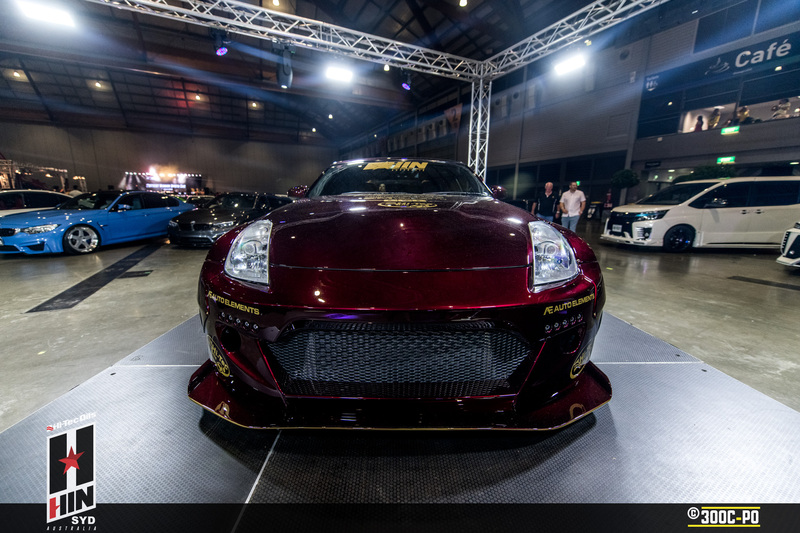 It’s been coated with House of Kolor’s Brandywine and received a custom rear mount twin turbo setup sporting a pair of Garret GTX3071Rs, complete with waste gates & blow off valves from GFB, and a a big front mount intercooler from Plazmaman. 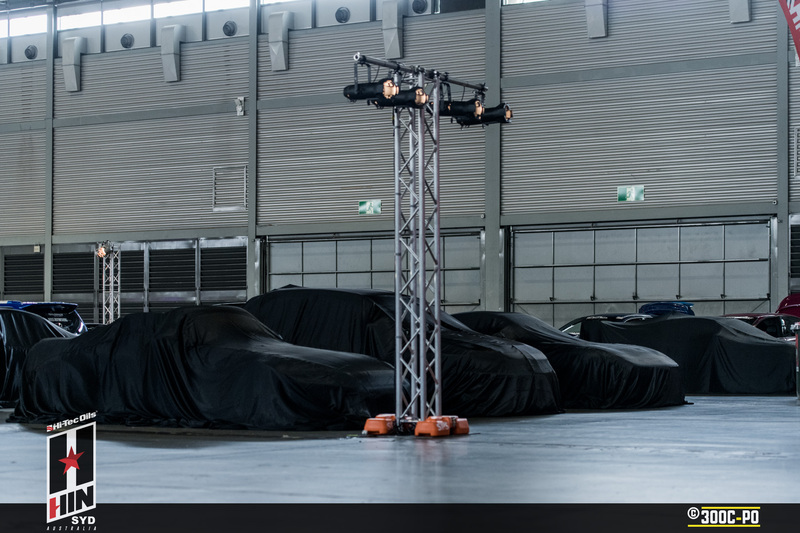 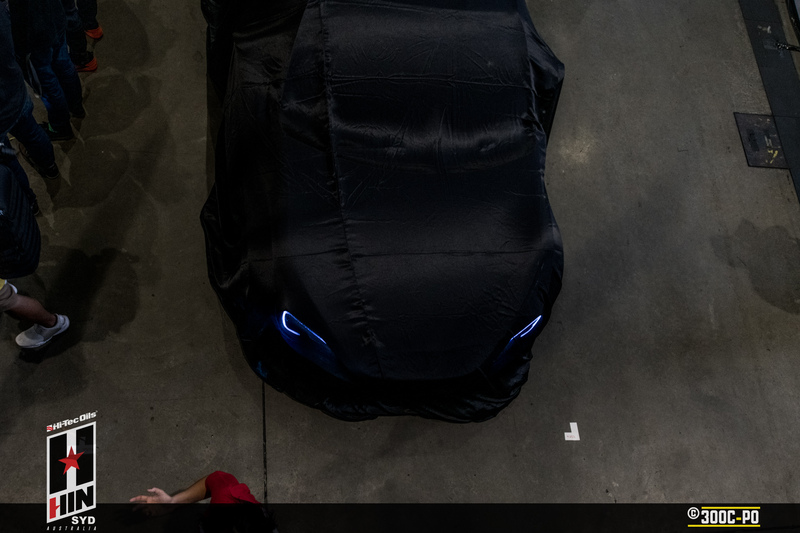 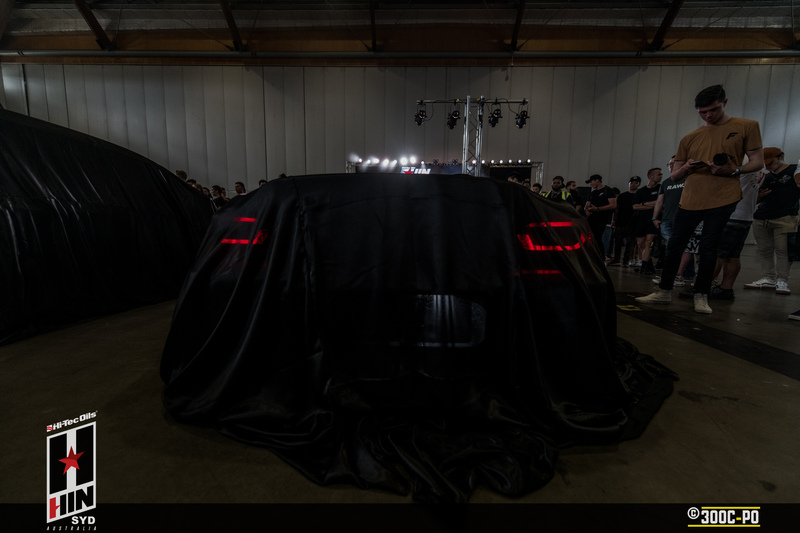 There were plenty of cars that had a freshen up before the show, but there was a special place for major works done to several cars – the unveil cars. 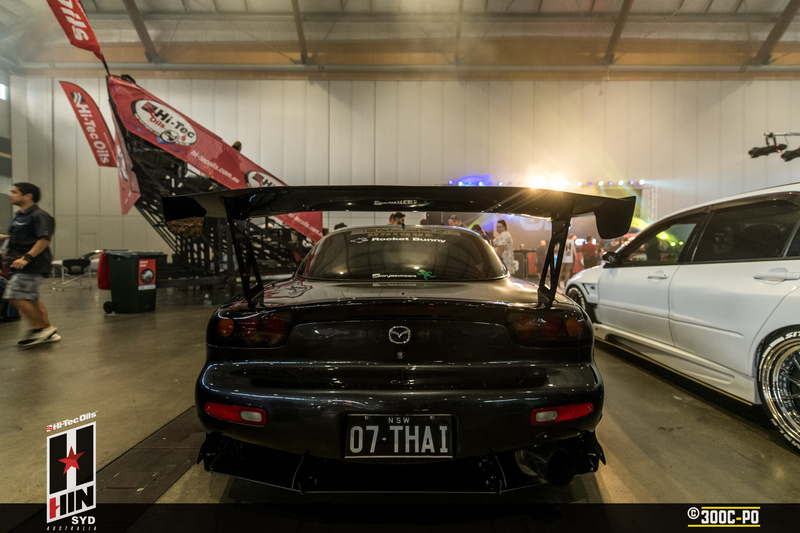 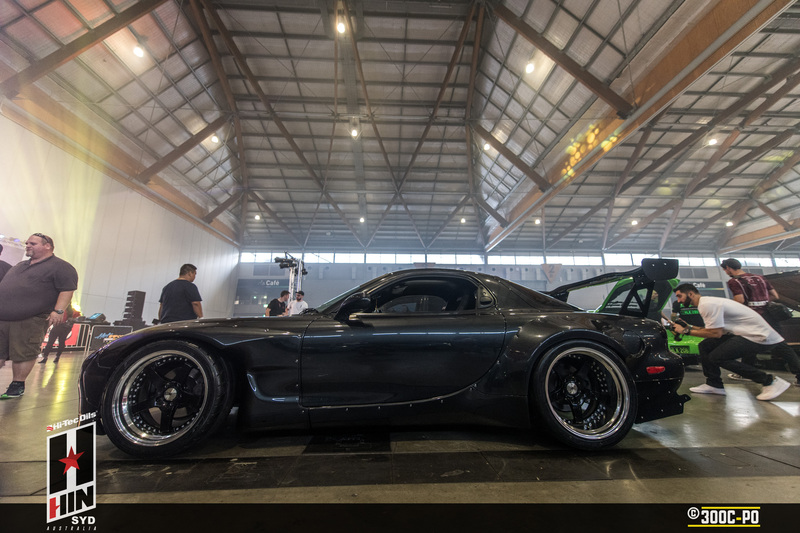 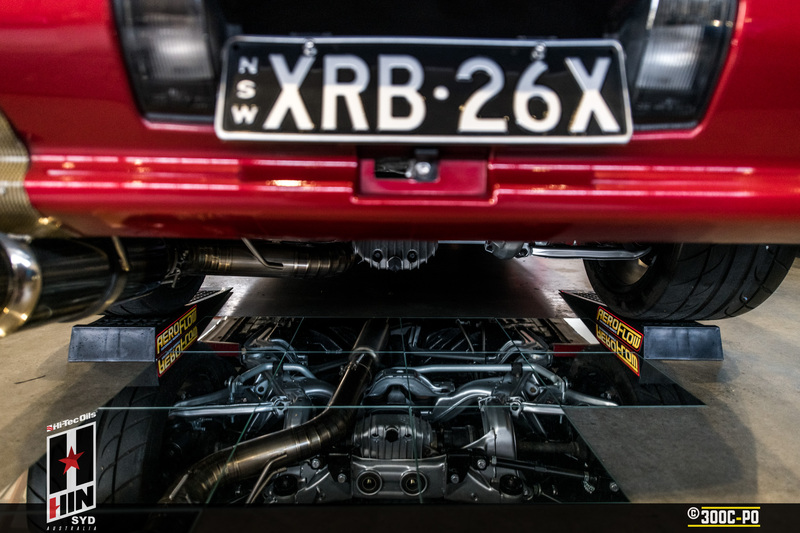 Out of the 8 cars unveiled, this RX7 impressed the judges enough to take ‘Hottest Overall‘. 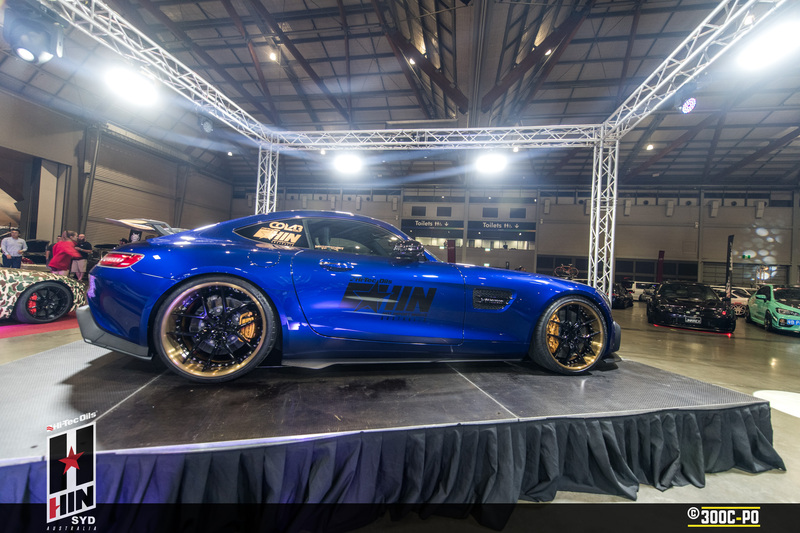 Several of the other unveiled cars were also good enough to win trophies including Bruce Wayne’s C63 which has been in the build for a very long time, glad to see it finished!! 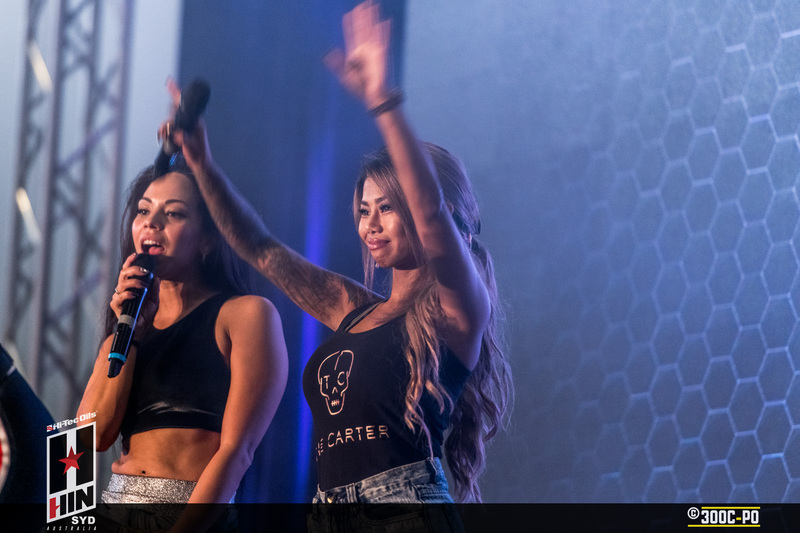 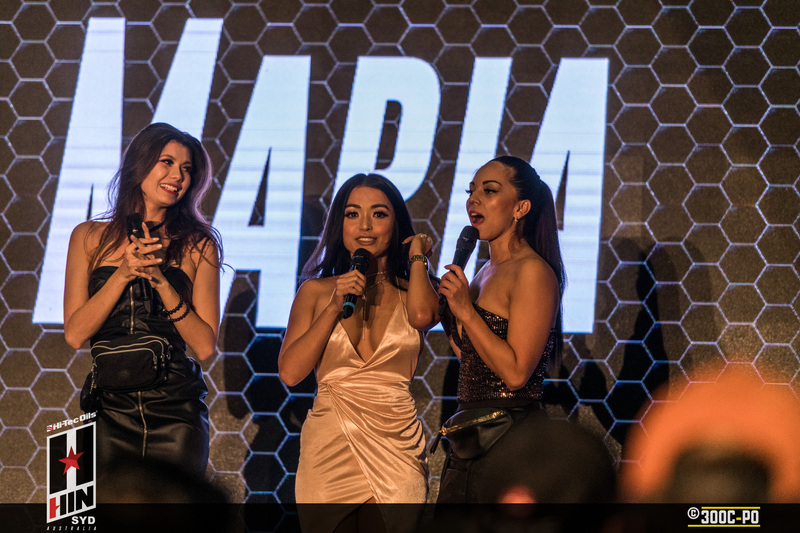 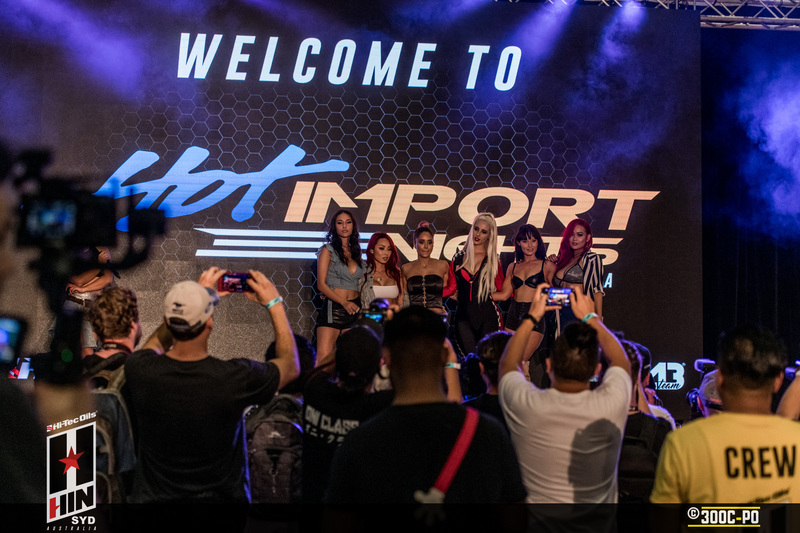 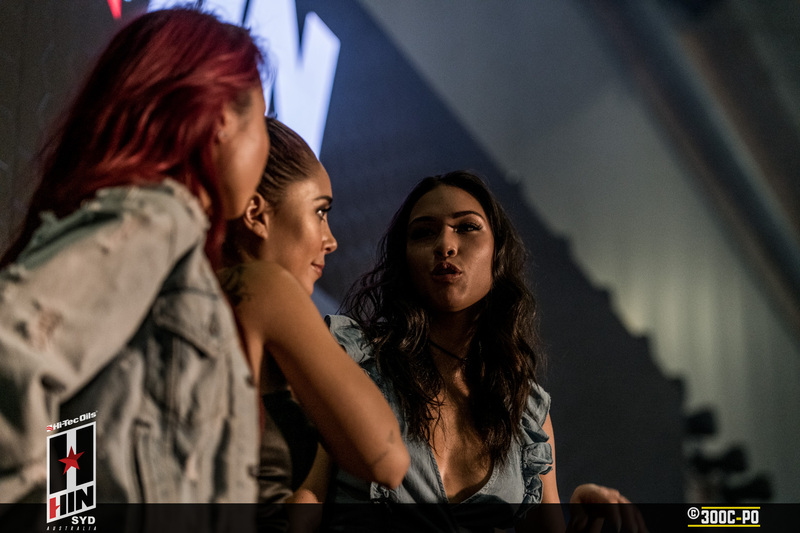 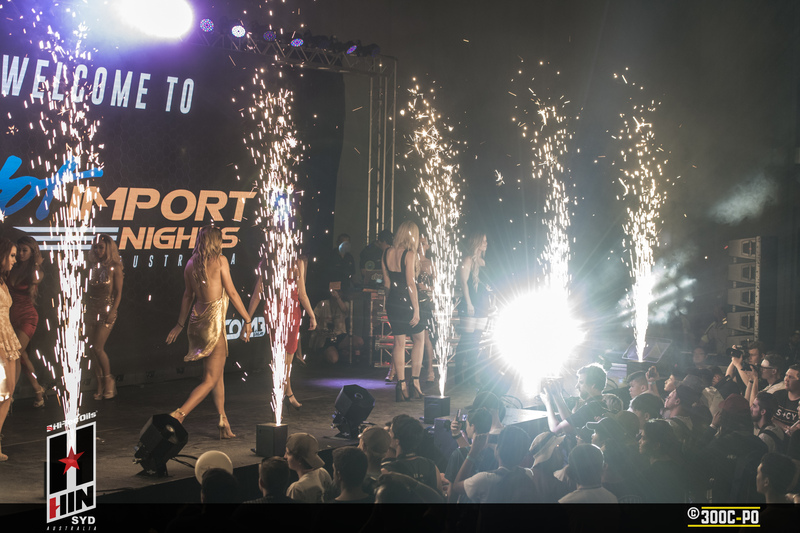 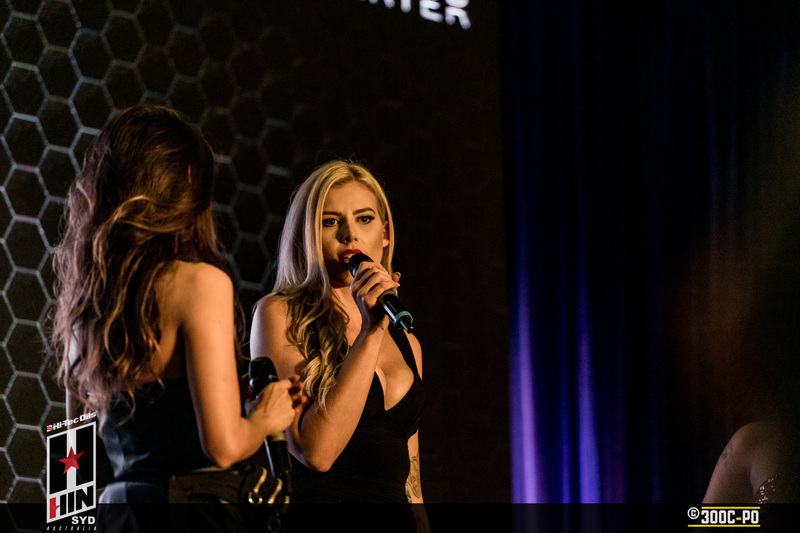 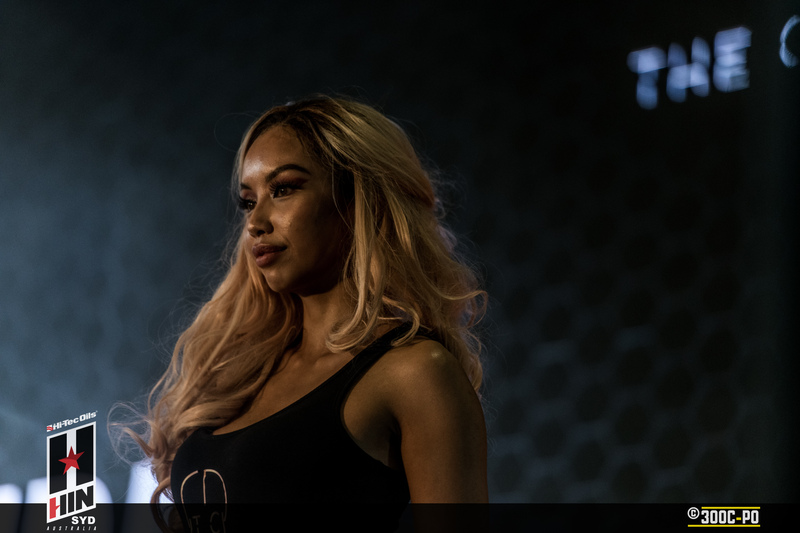 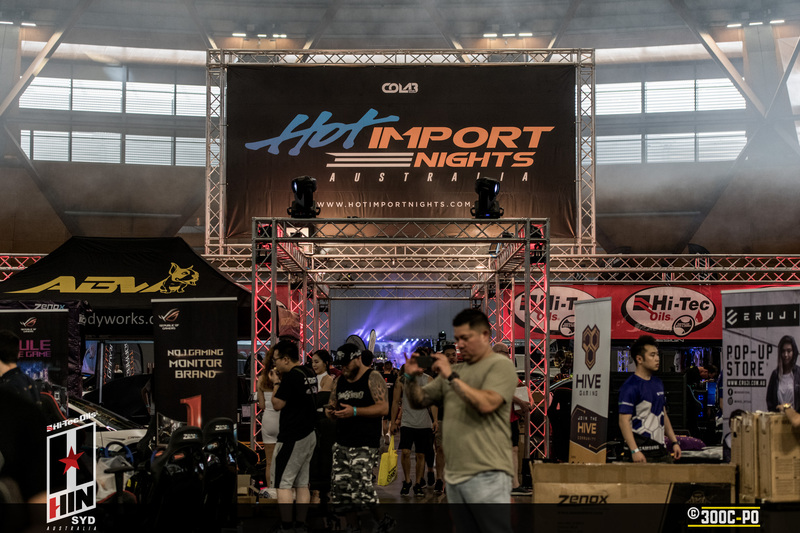 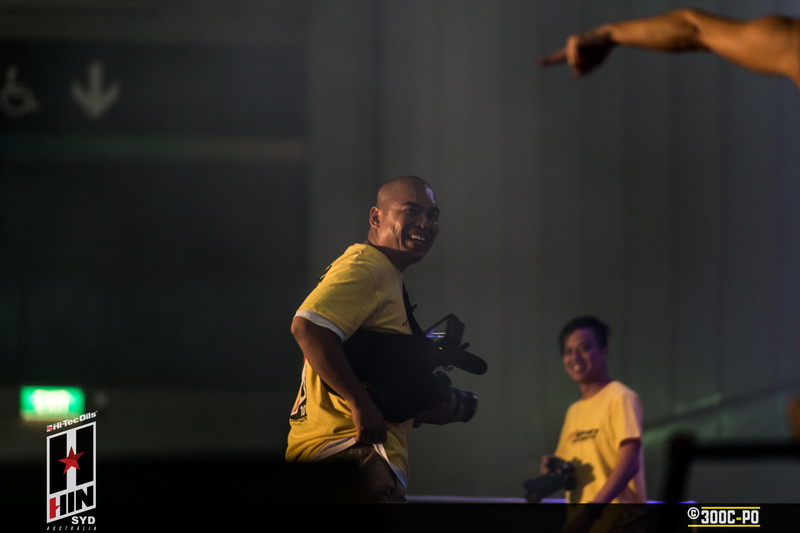 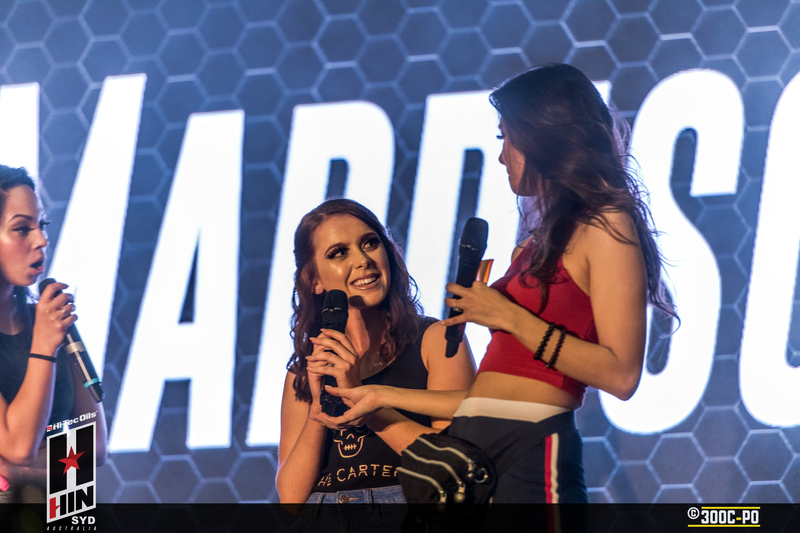 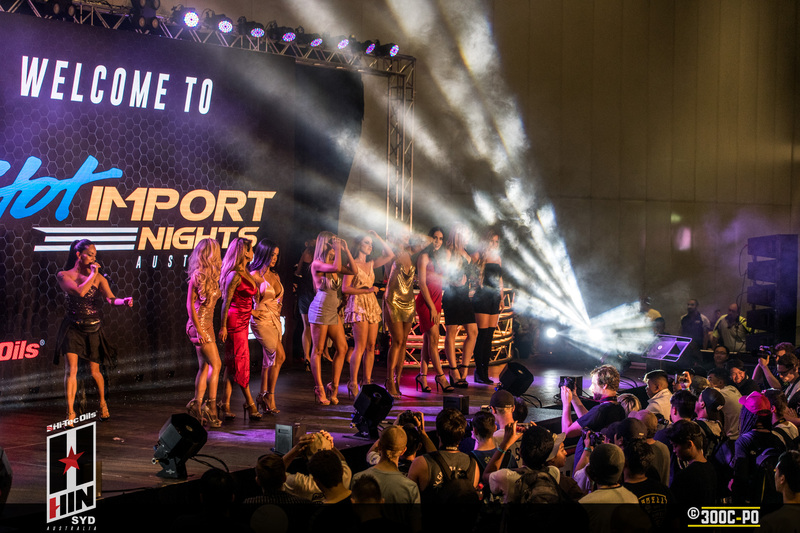 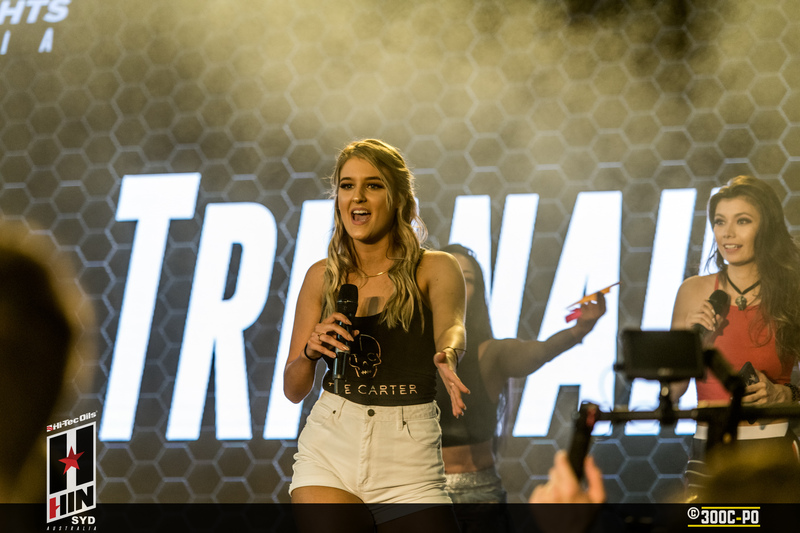 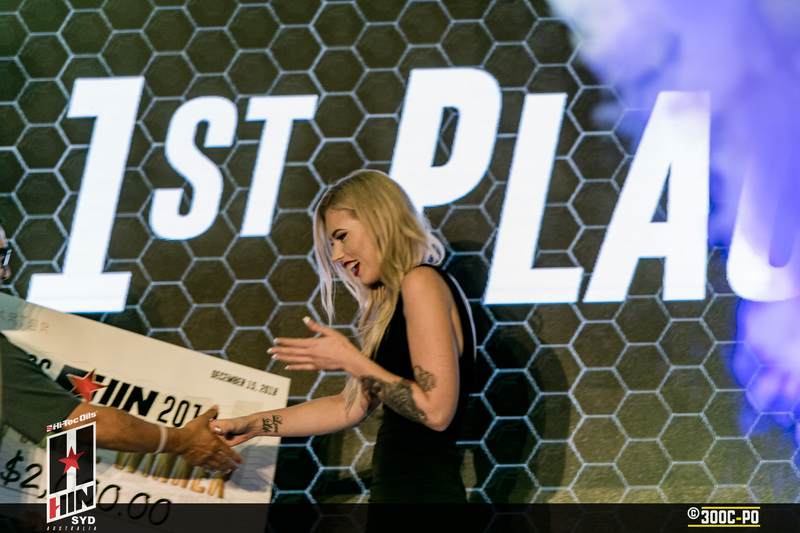 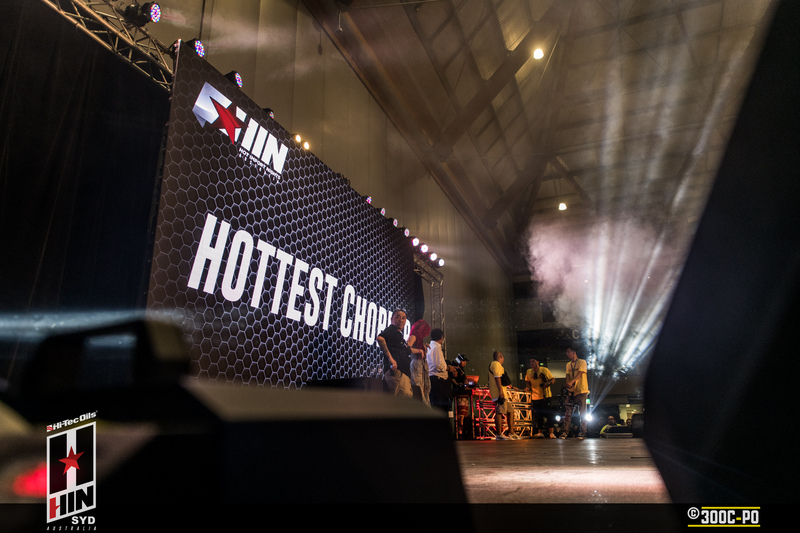 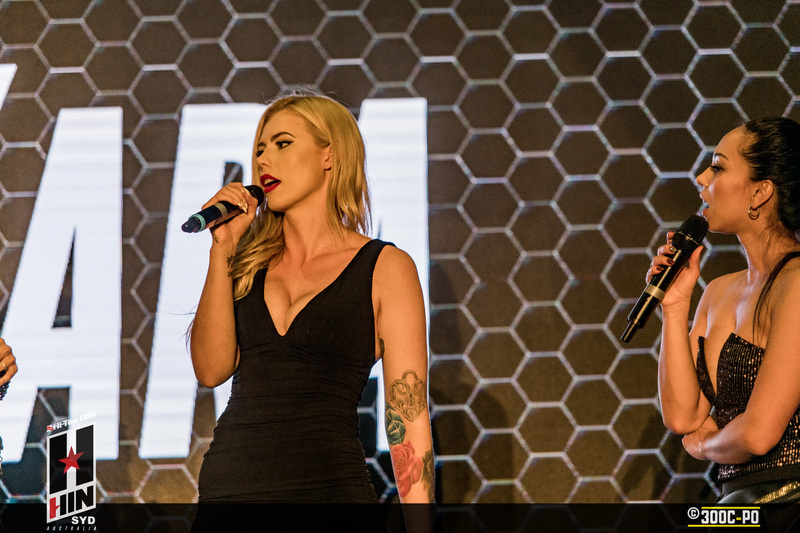 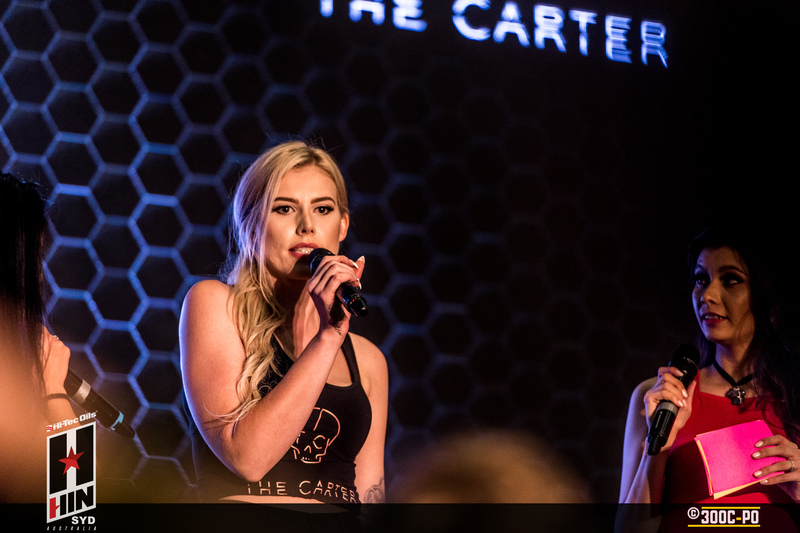 The other big drawcard for Hot Import Nights is the girls – both the influencers, podium dancers and Miss HIN competition. 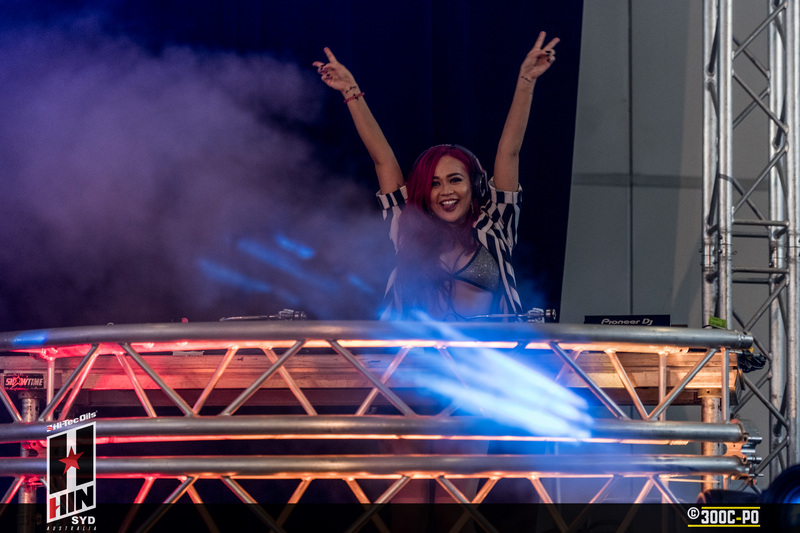 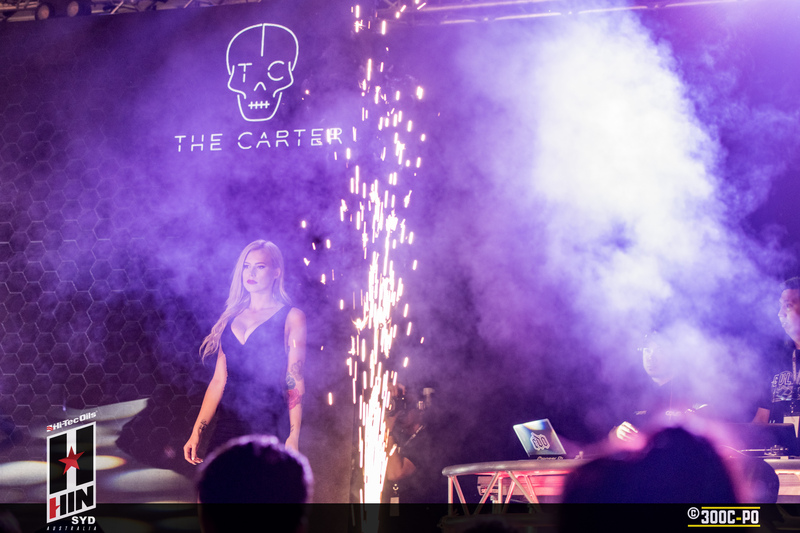 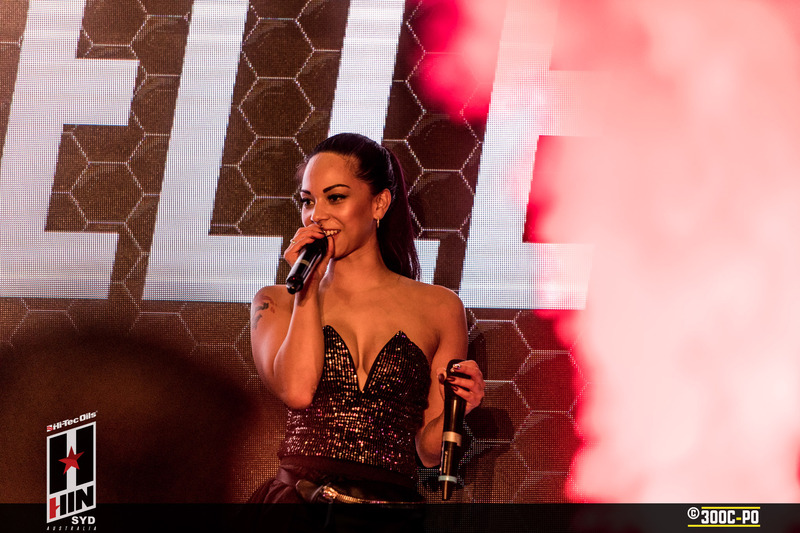 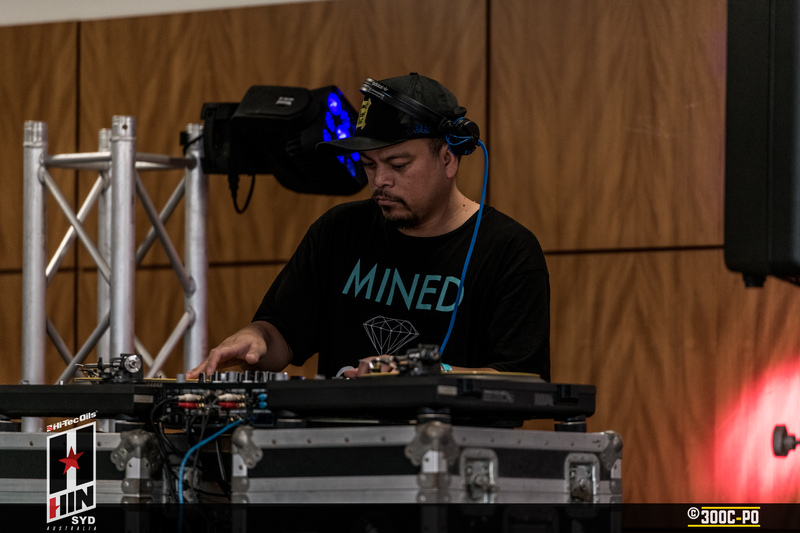 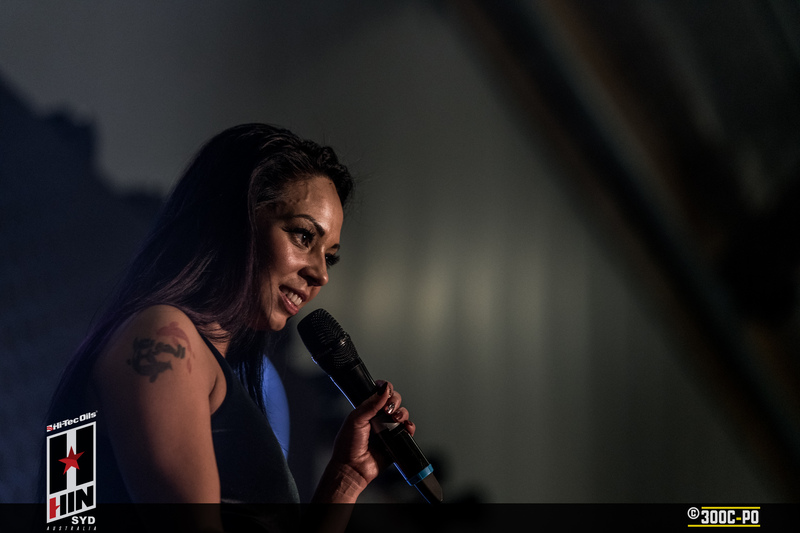 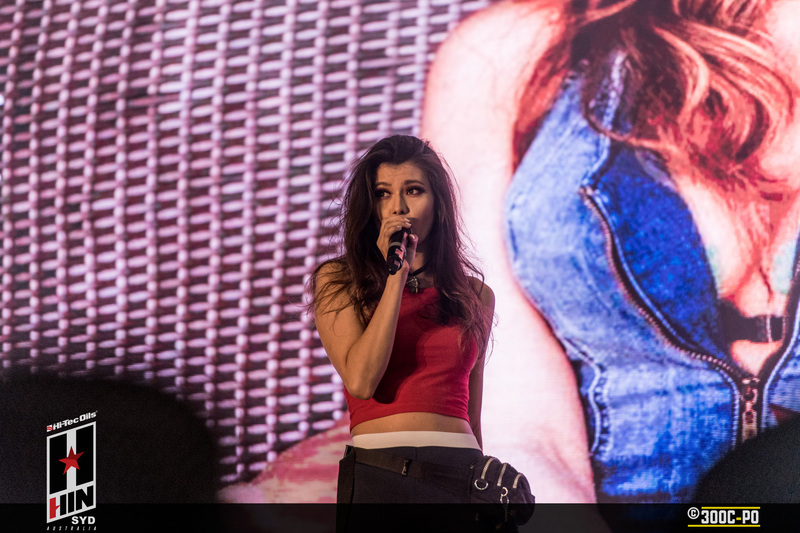 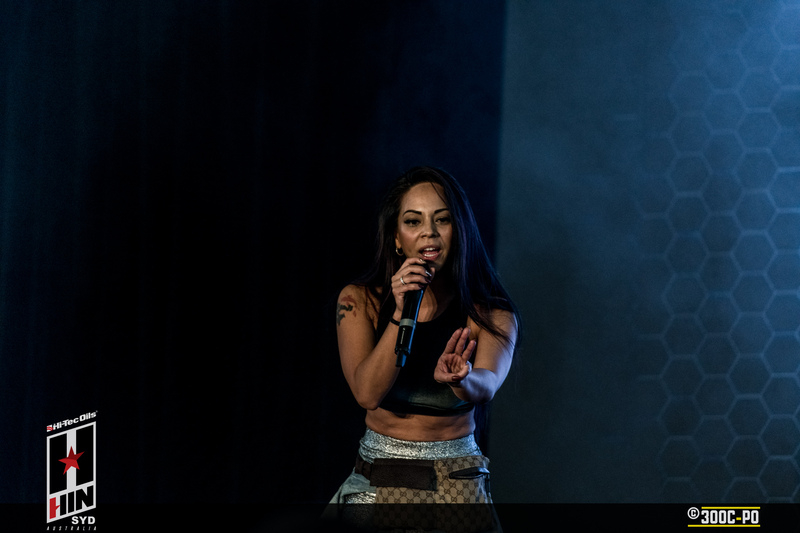 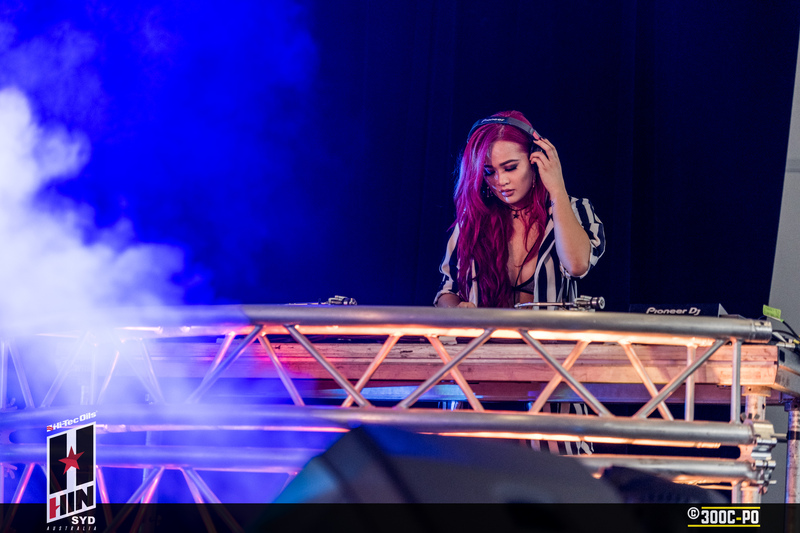 Fresh off of her winning Miss HIN Australia 2017, Melissa Grace started out the event with a DJ set under her alias Crimson Rose, pumping out some party vibes. 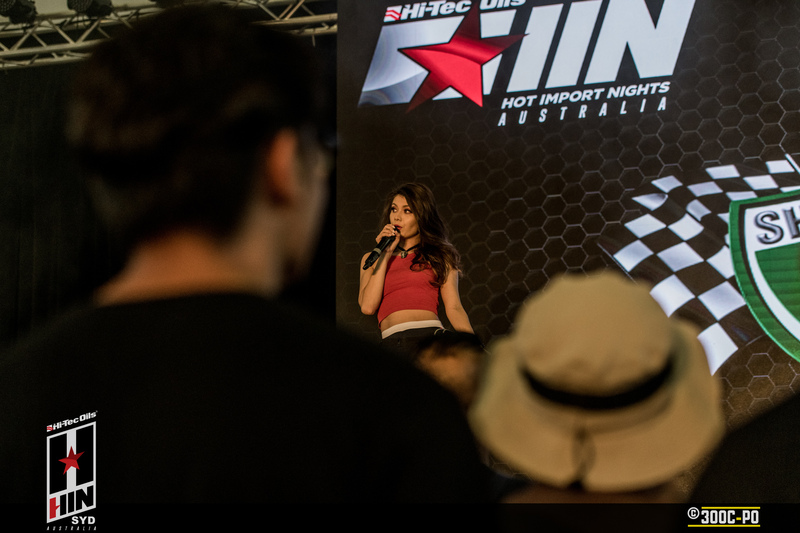 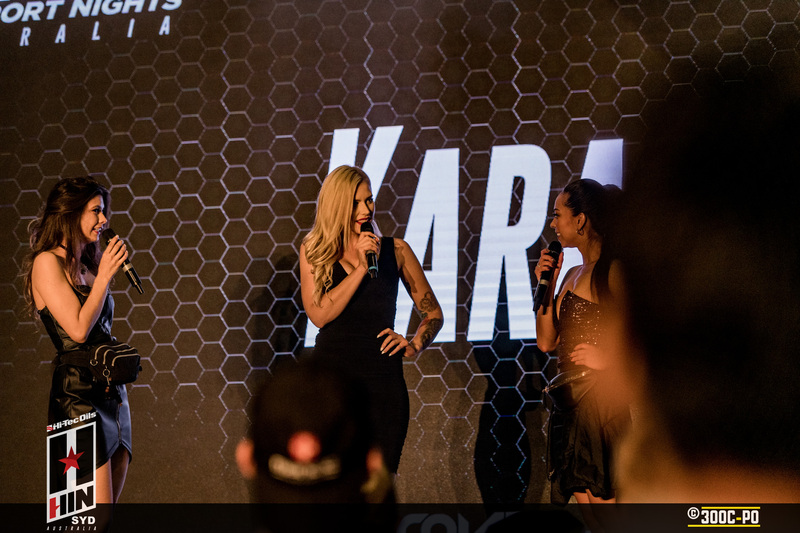 Her win last year saw her travel to a couple of HIN shows overseas. 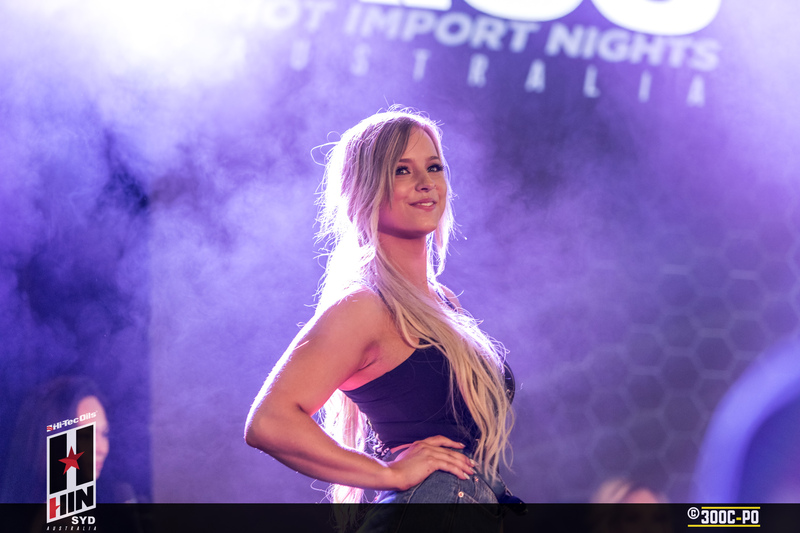 Runner up from last year, Katherine Lameree, also made her way back with her cute booty. 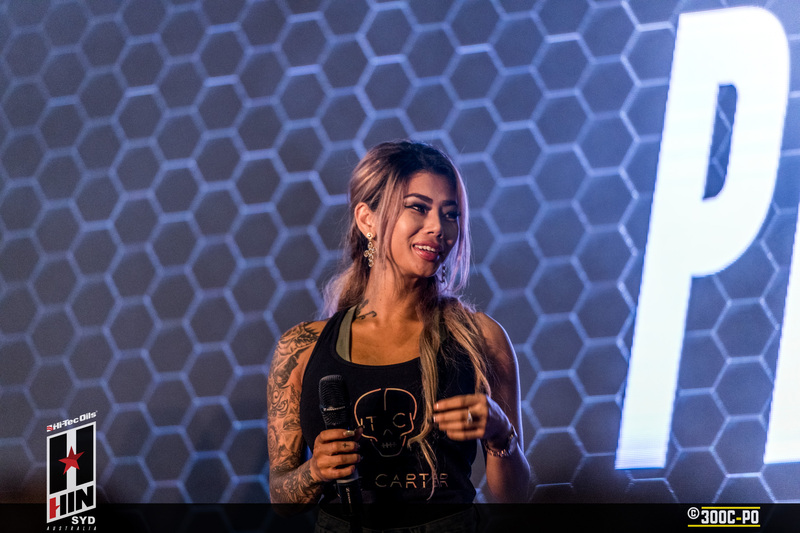 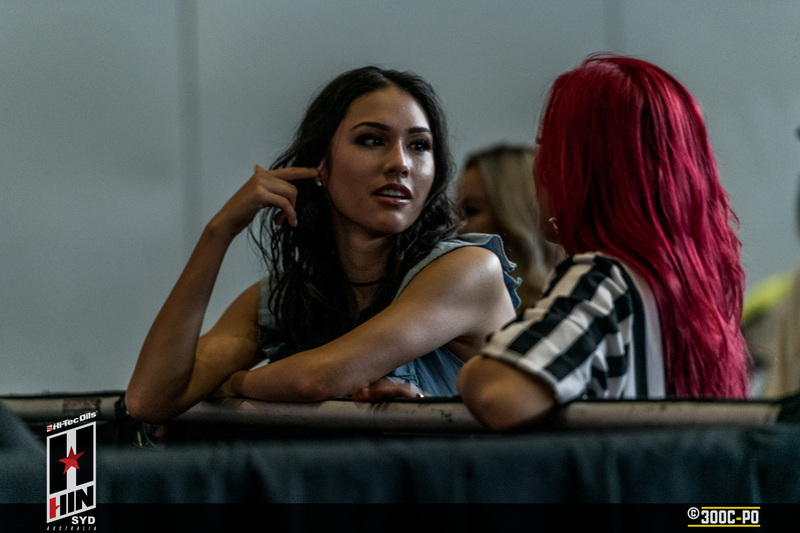 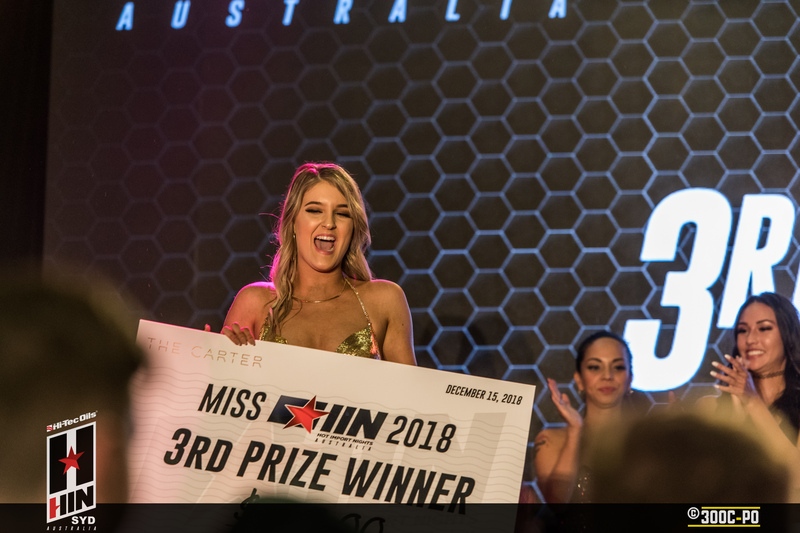 The gorgeous Sarah Decker, who recently won Miss HIN Portland 2018 in October, made her maiden voyage to Australia, and judging by our response, she will be a frequent visitor. 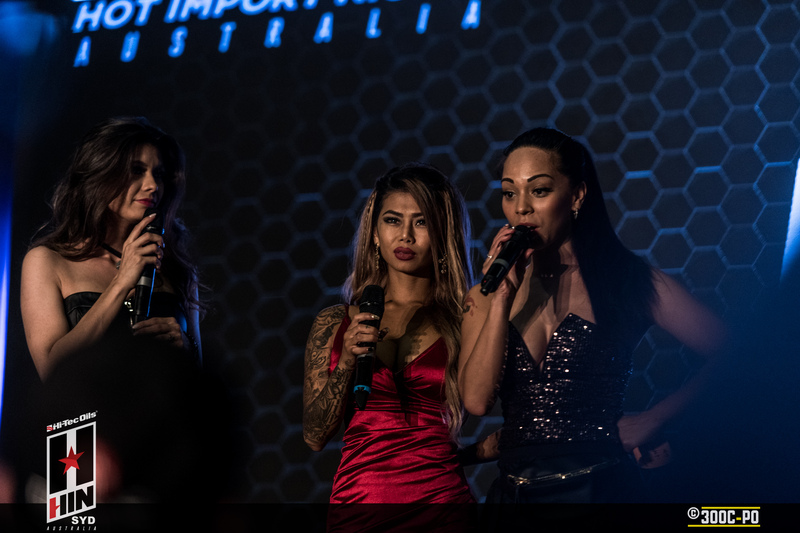 And HIN feature models Jenn Q and Tianna G with special guest YouTuber Dannie Riel. 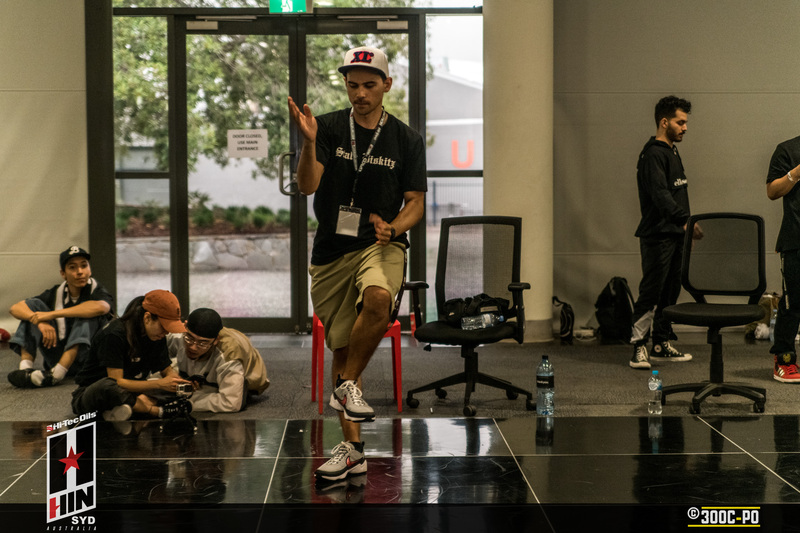 I always love seeing these podium dancers, but they’re not for everybody. 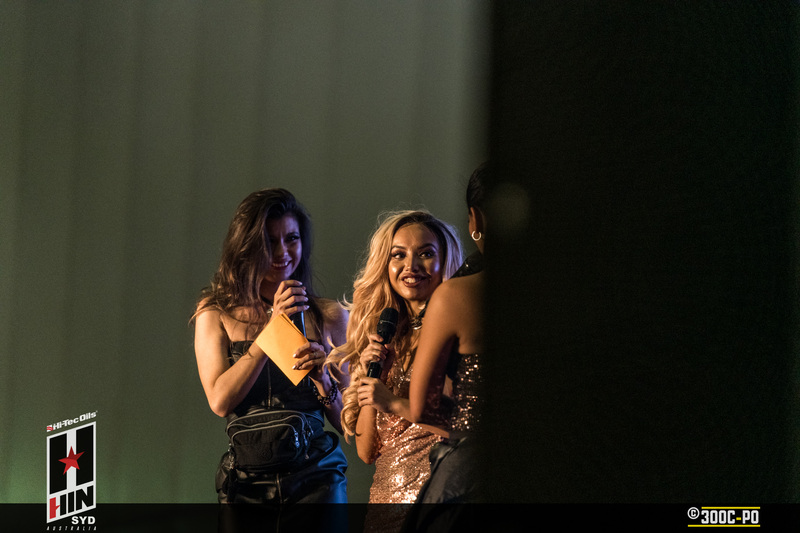 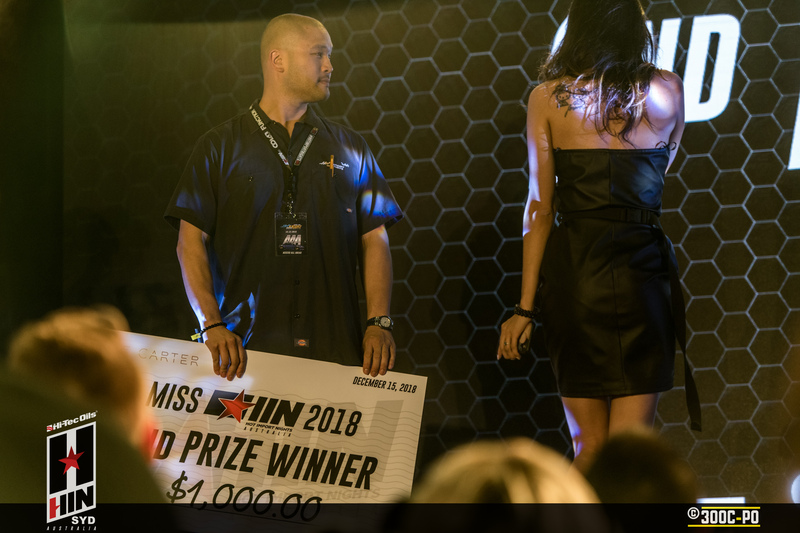 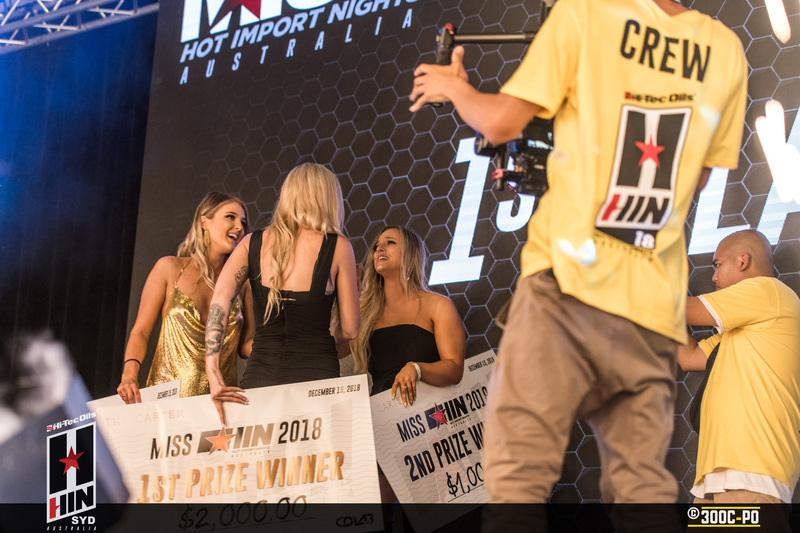 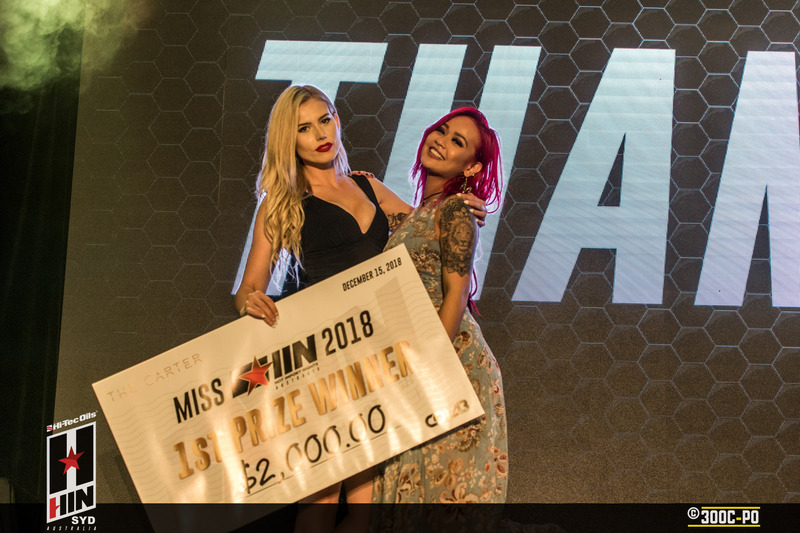 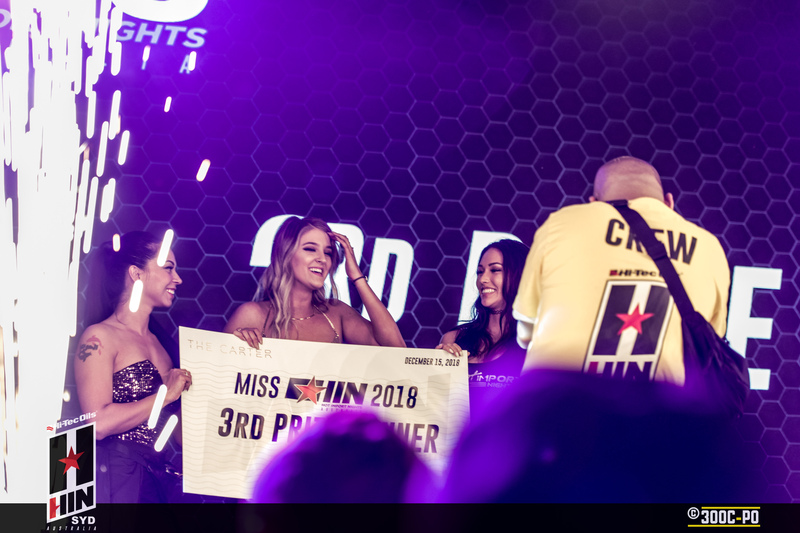 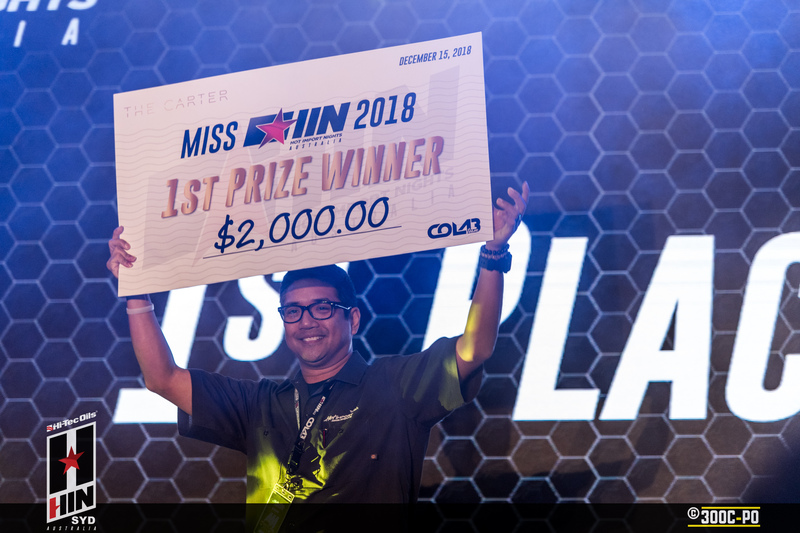 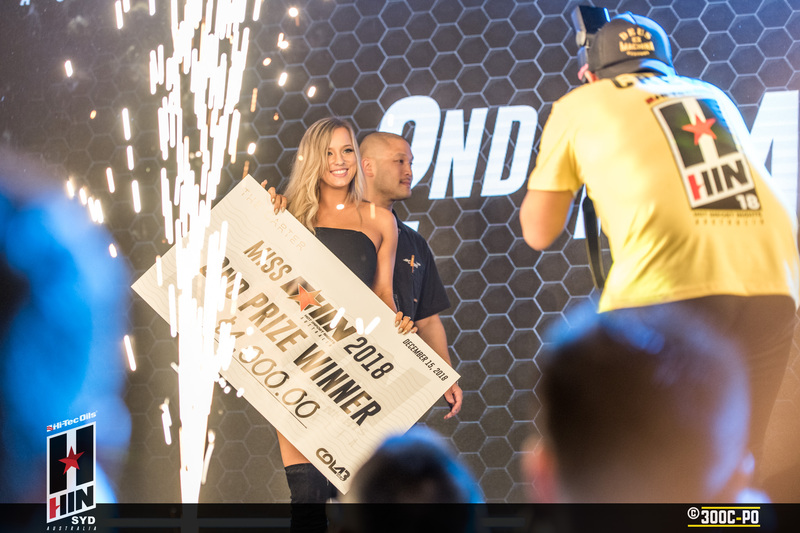 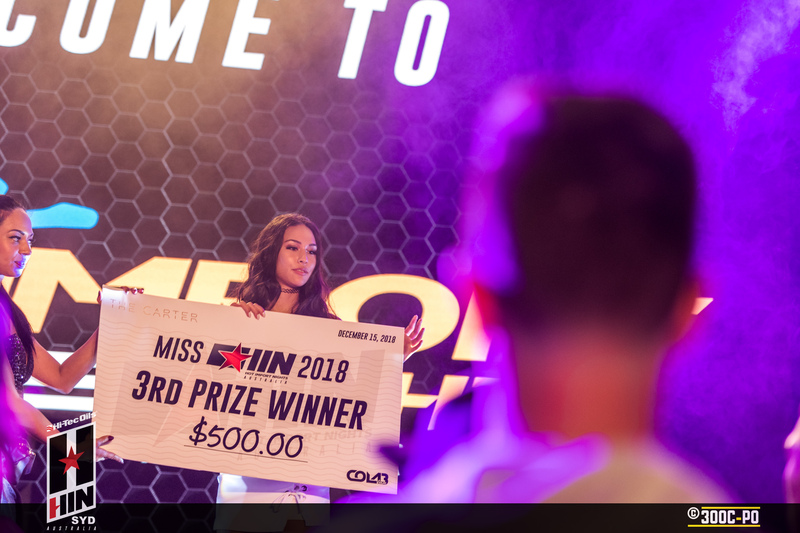 There was definitely some hot competition for the title of Miss HIN Australia 2018 with 9 beauties strutting their stuff on stage. 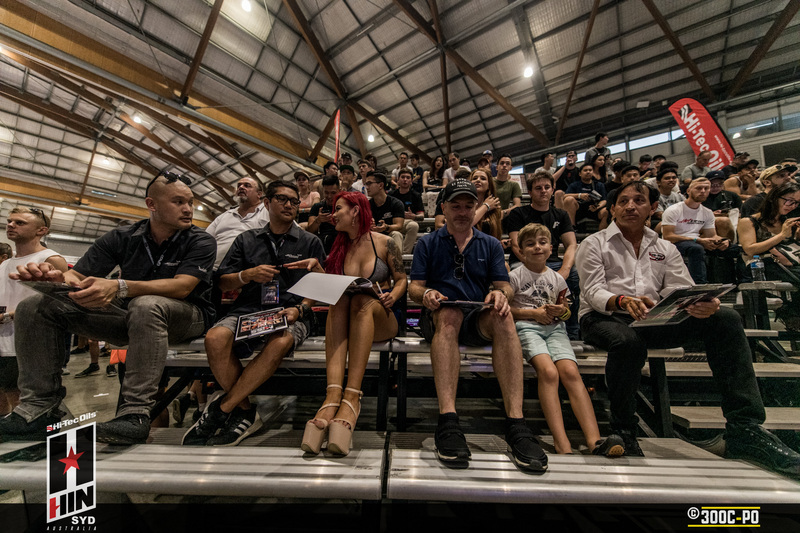 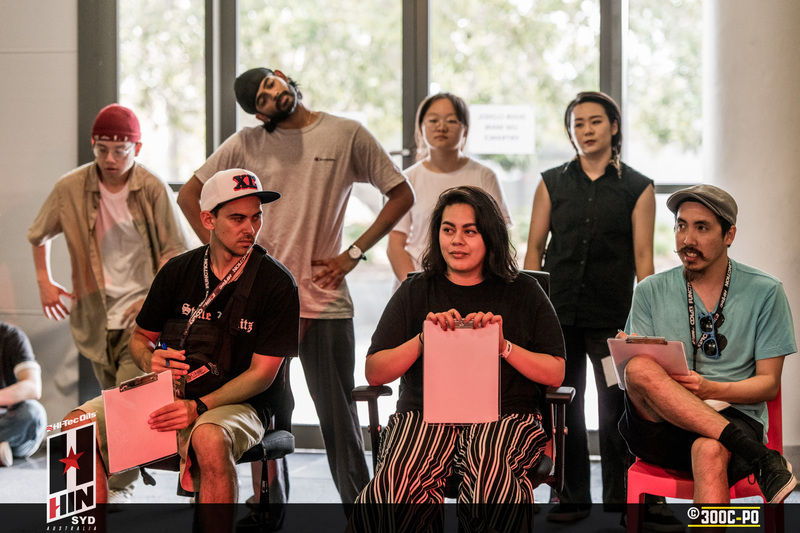 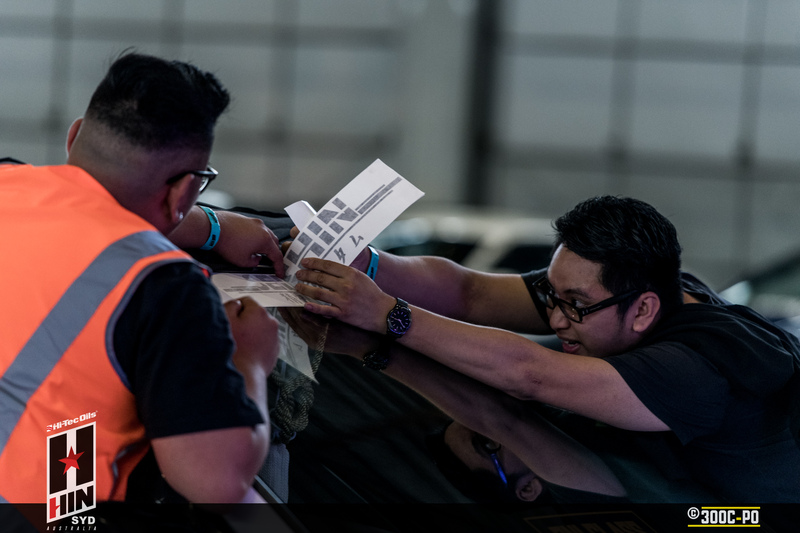 It was certainly a hard task for the judging panel which included Michael & Richard from Hot Import Nights, one of the guys from Maxim Australia, Melissa Grace, Rodney O & George Gambino from Hi-Tec Oils. 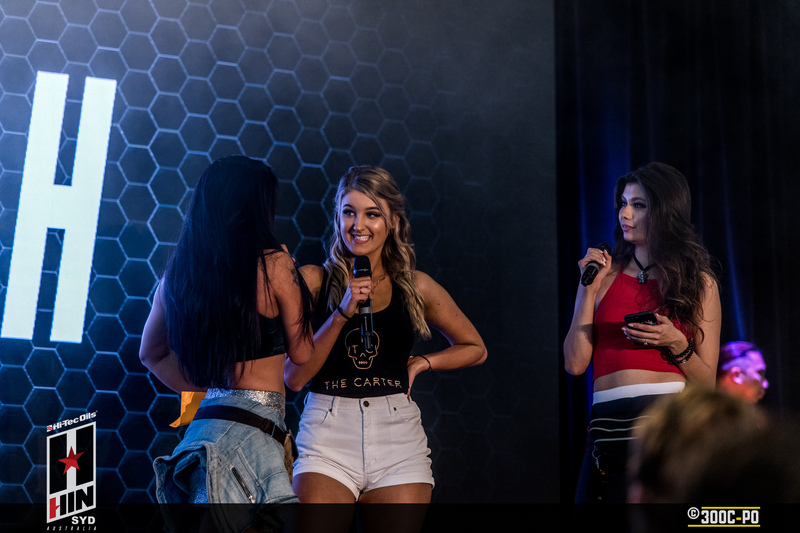 My top three picks were Pia, Zofia & Kara. 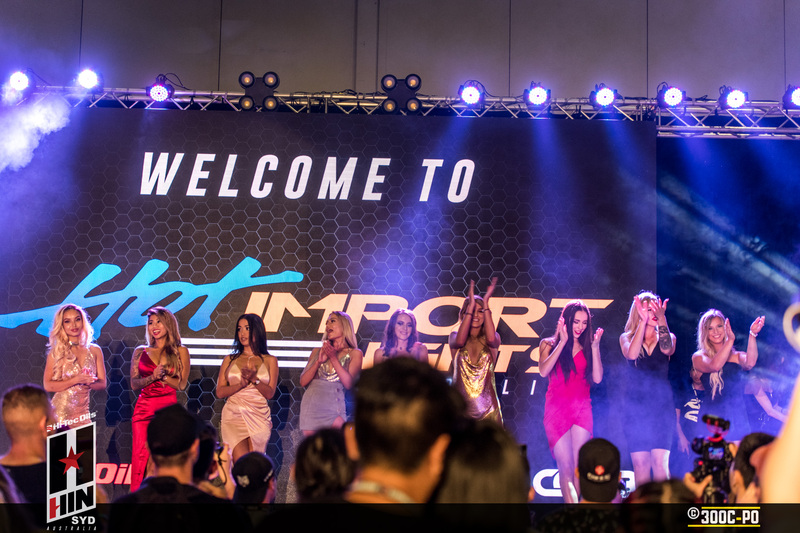 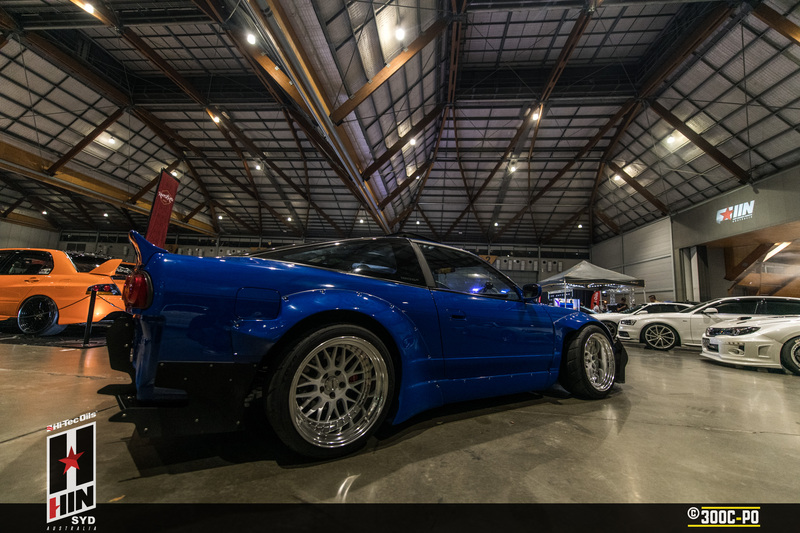 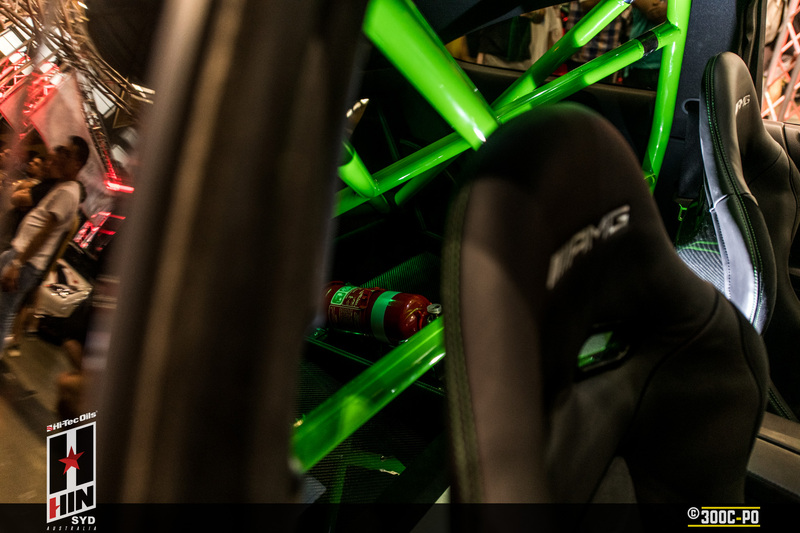 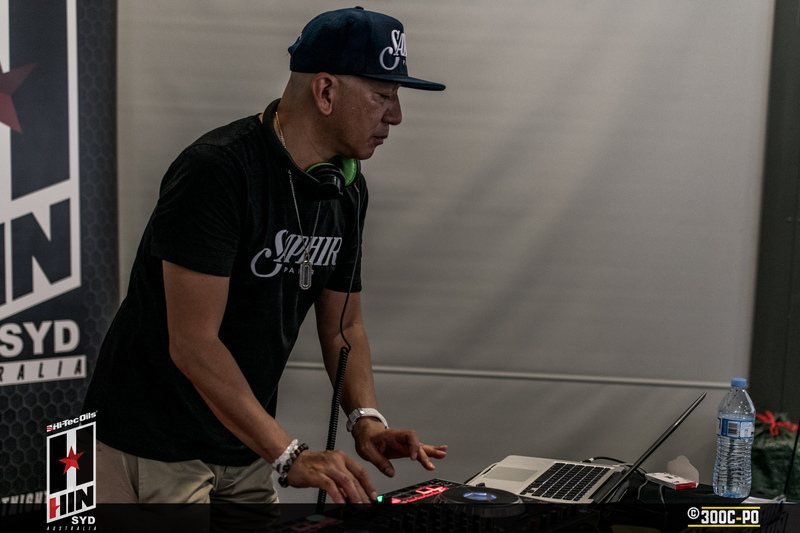 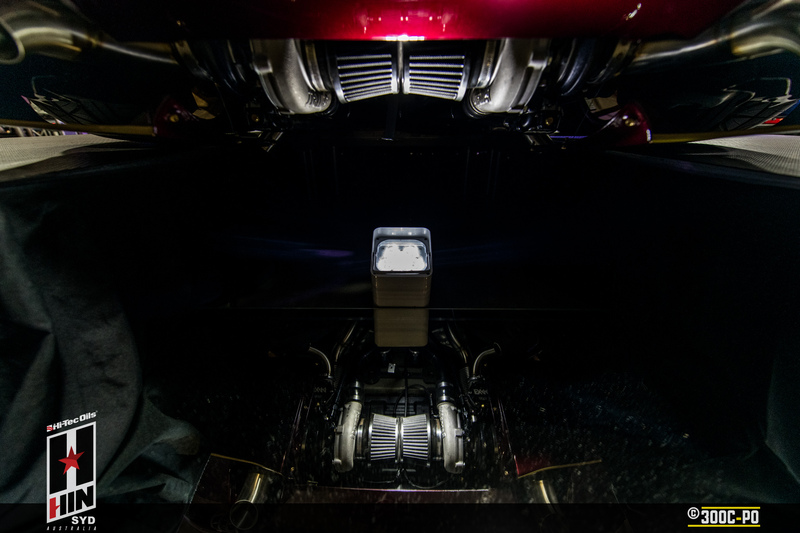 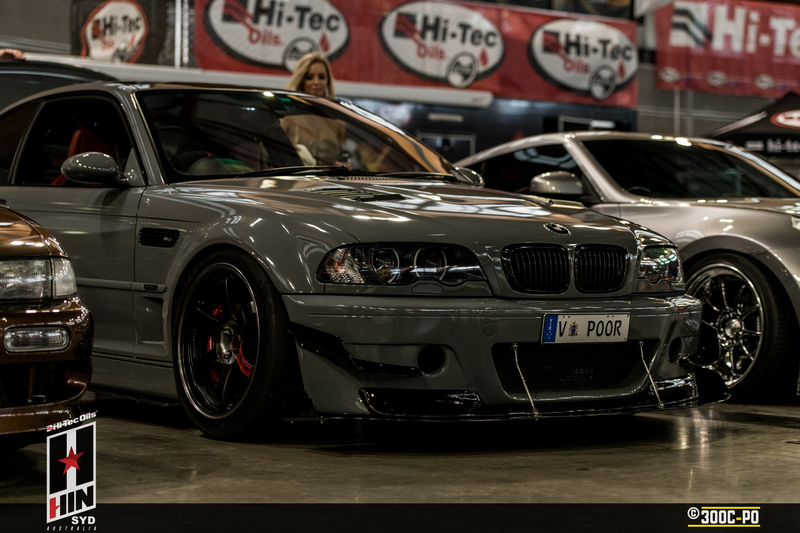 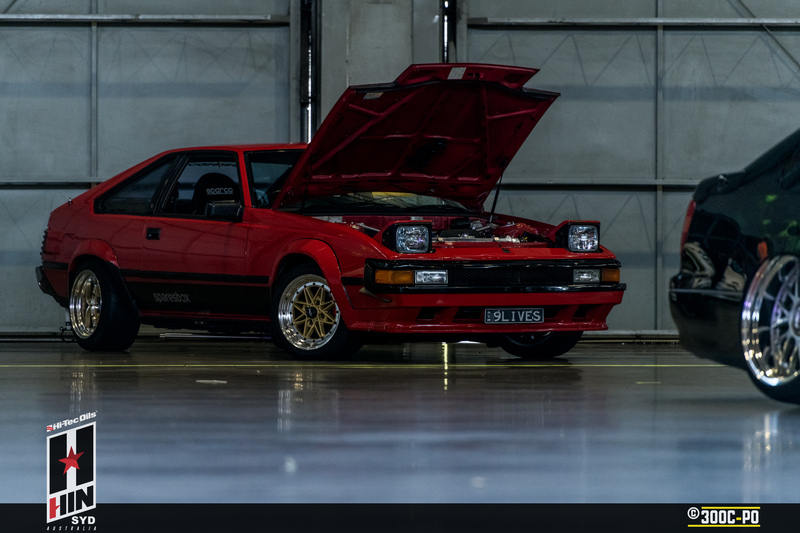 One aspect of Hot Import Nights that sets it apart from car meets or shows, and pushes it into it’s own class of Automotive Lifestyle is the variety of extra things happening. 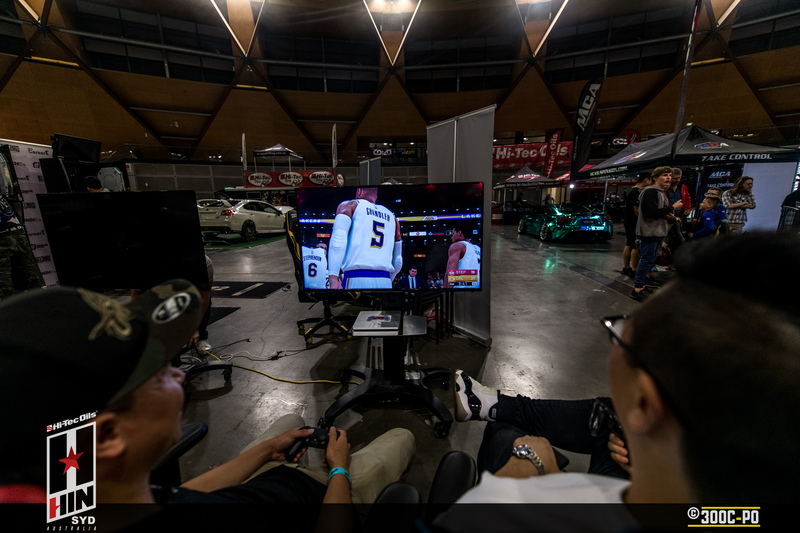 There were gaming setups for people to jump on. 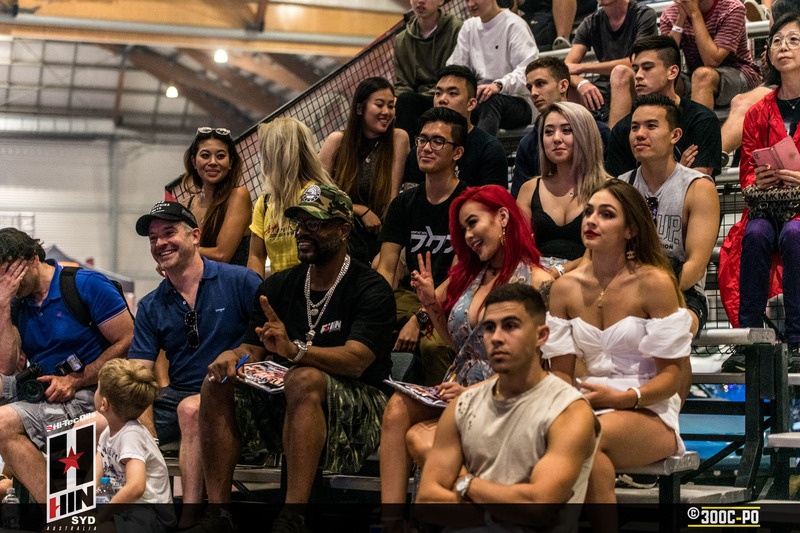 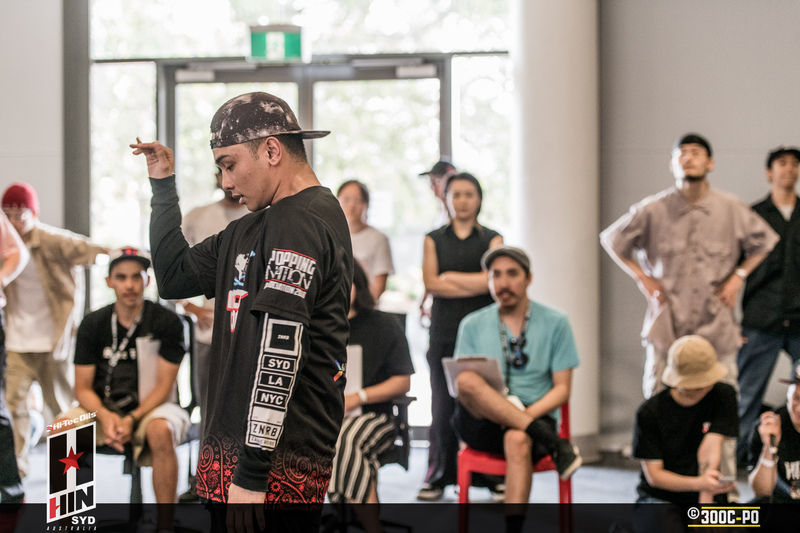 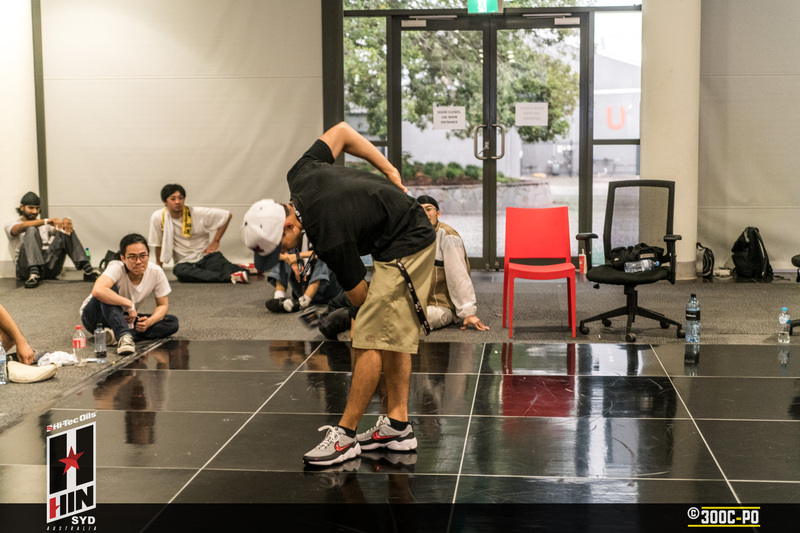 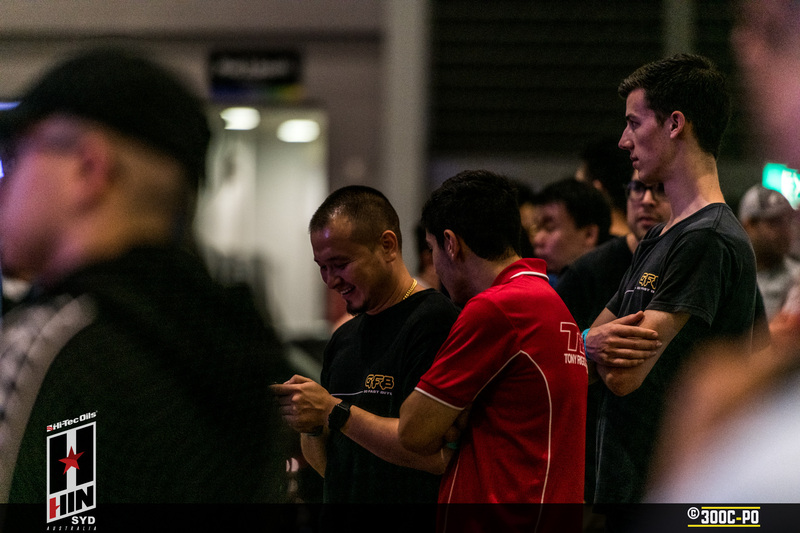 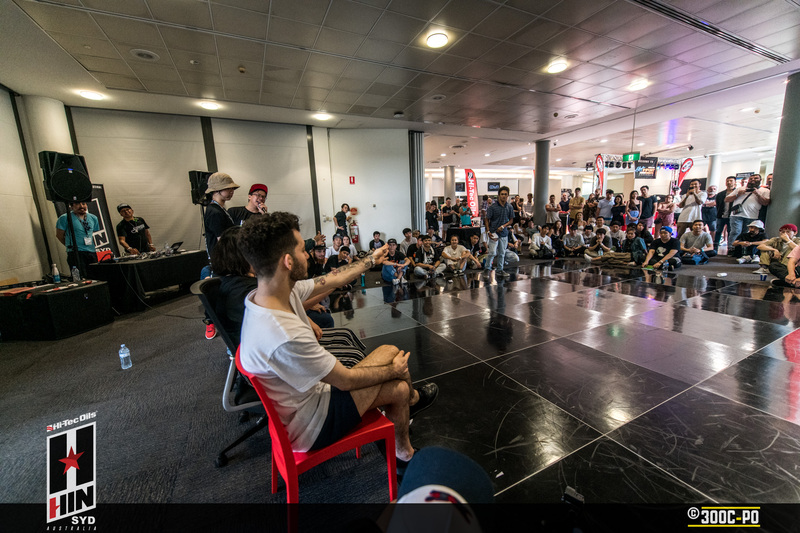 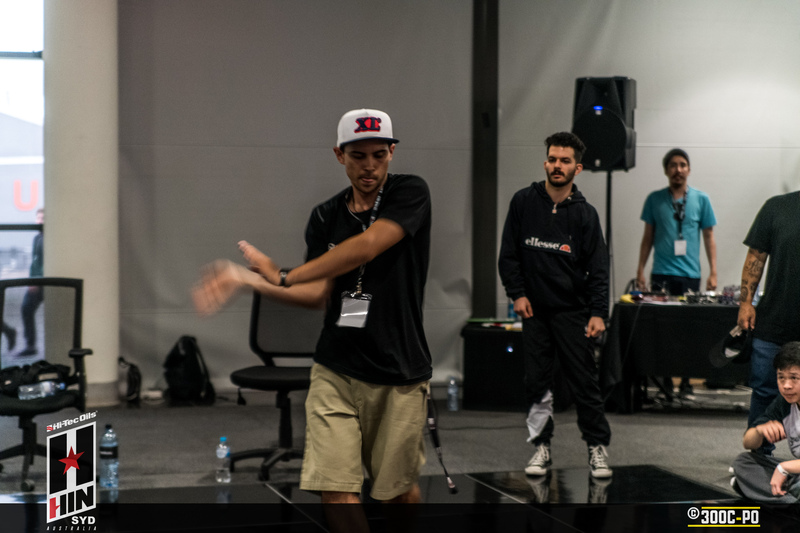 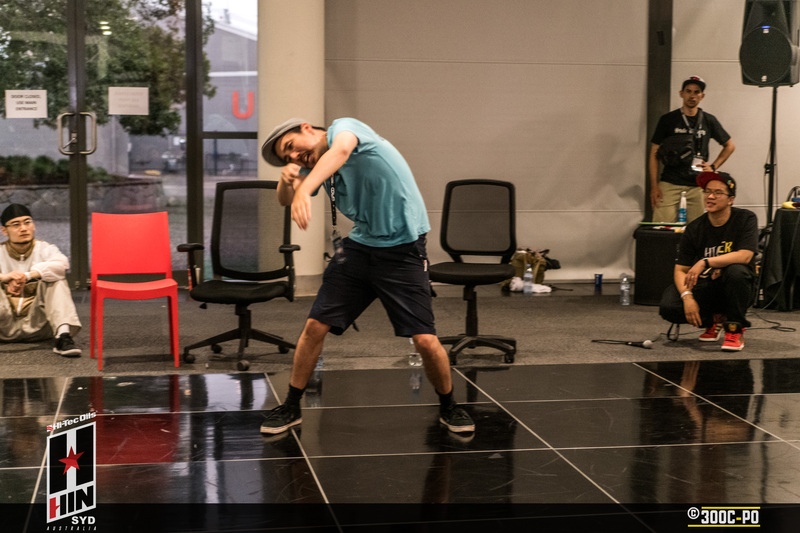 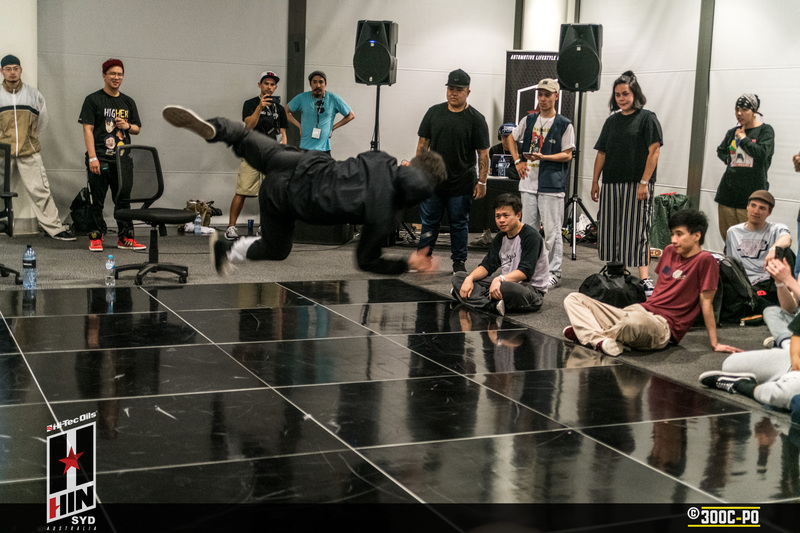 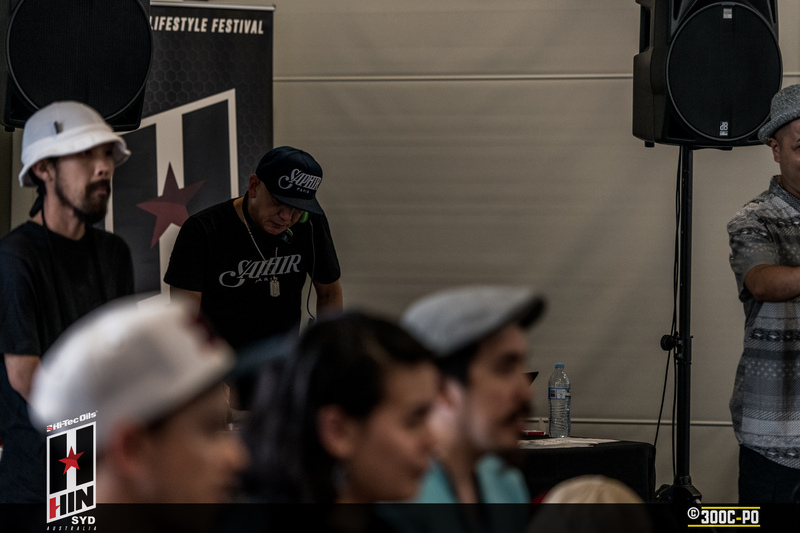 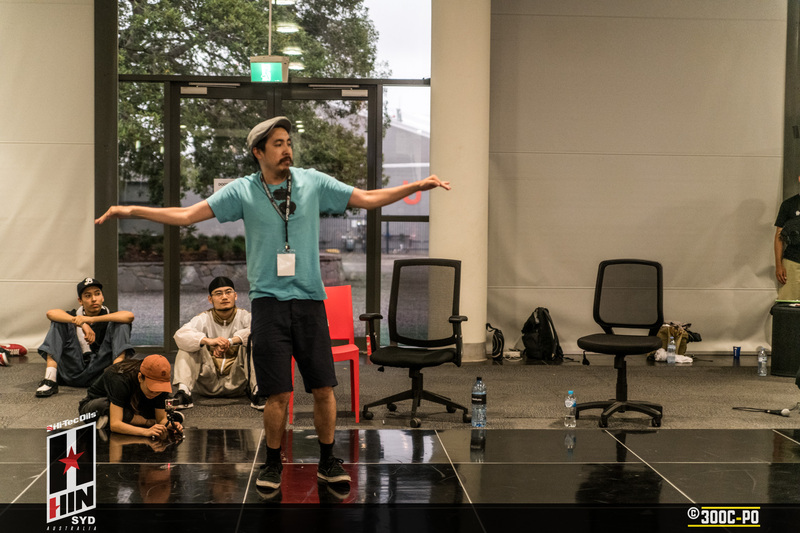 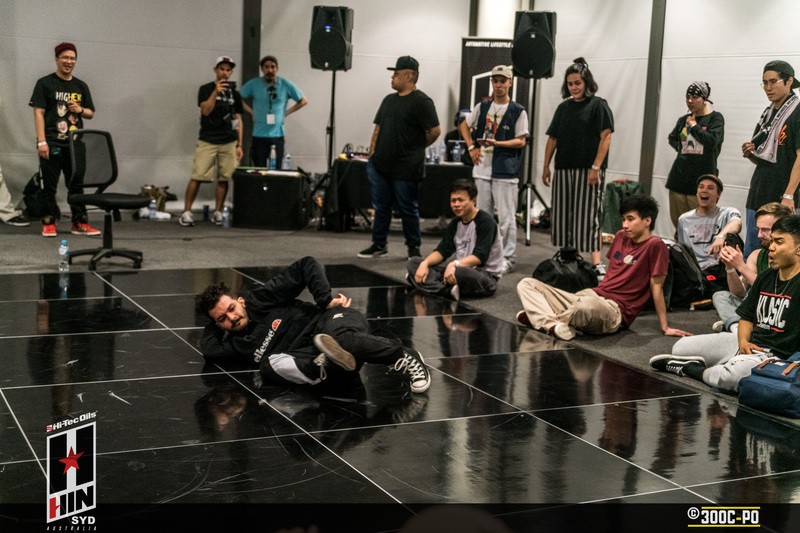 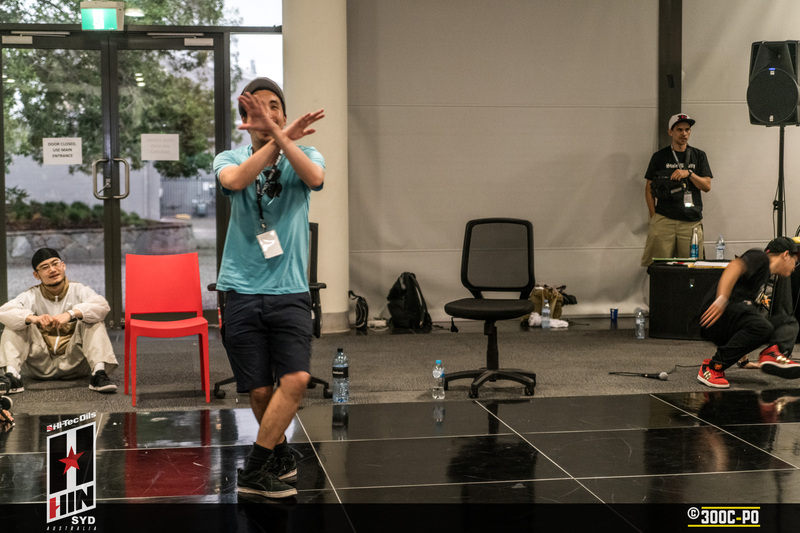 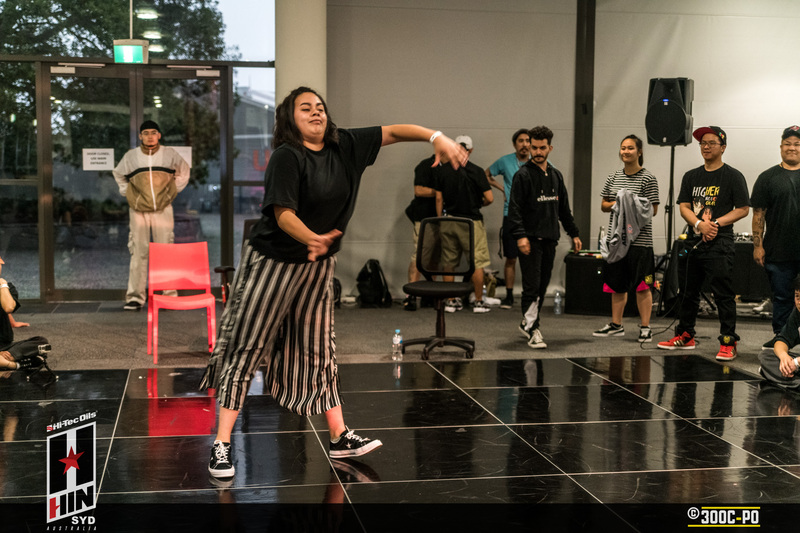 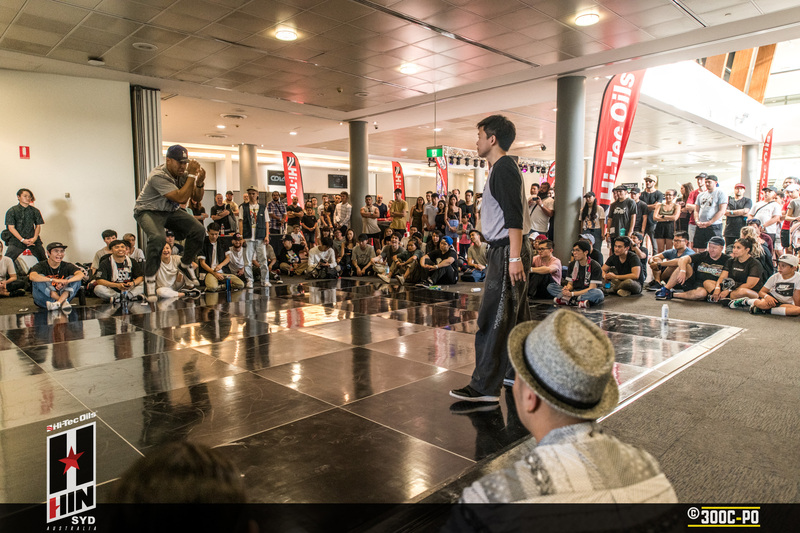 A dance comp with some very well respected judges from the scene. 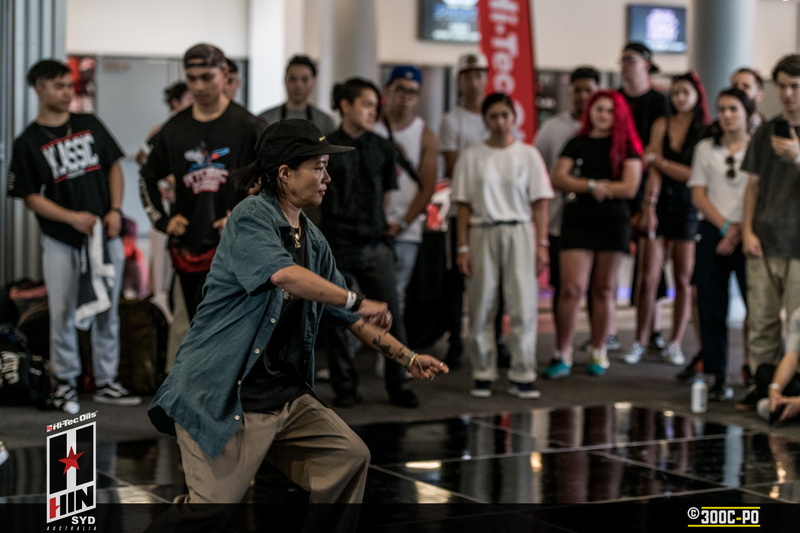 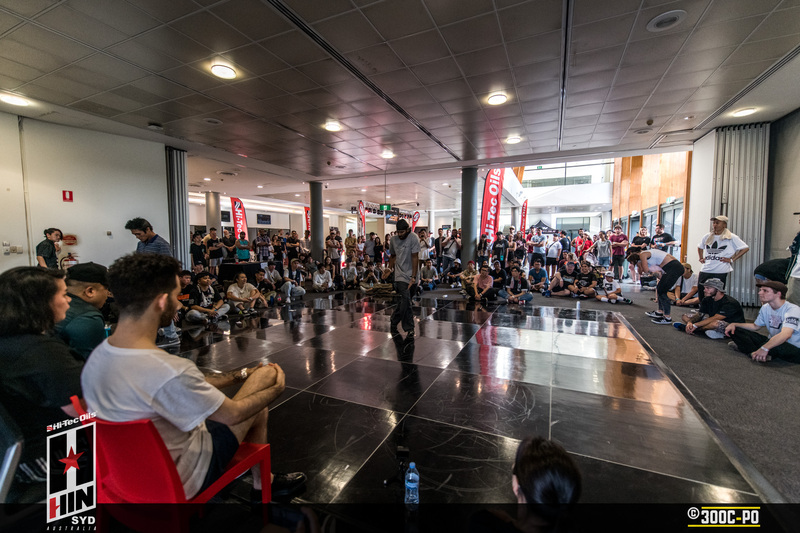 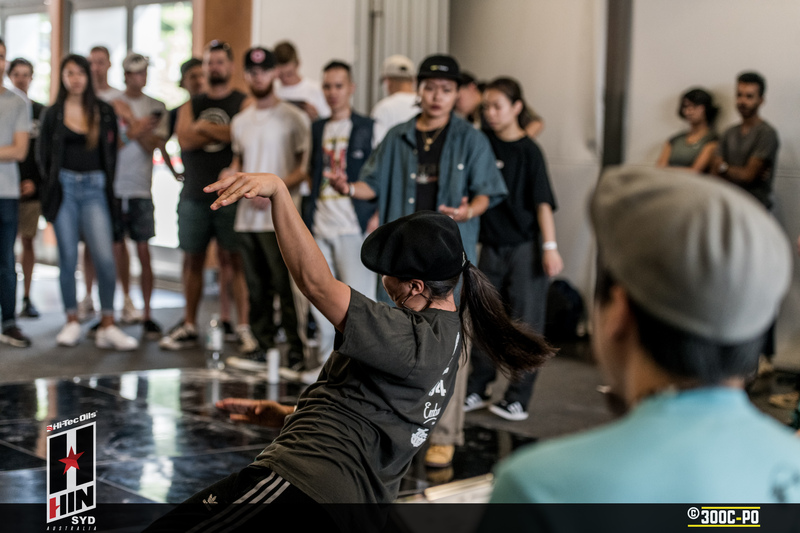 Judges traditionally have showcase sets to ensure that the dancers and crowd know that they’re legitimate enough to judge the comp. 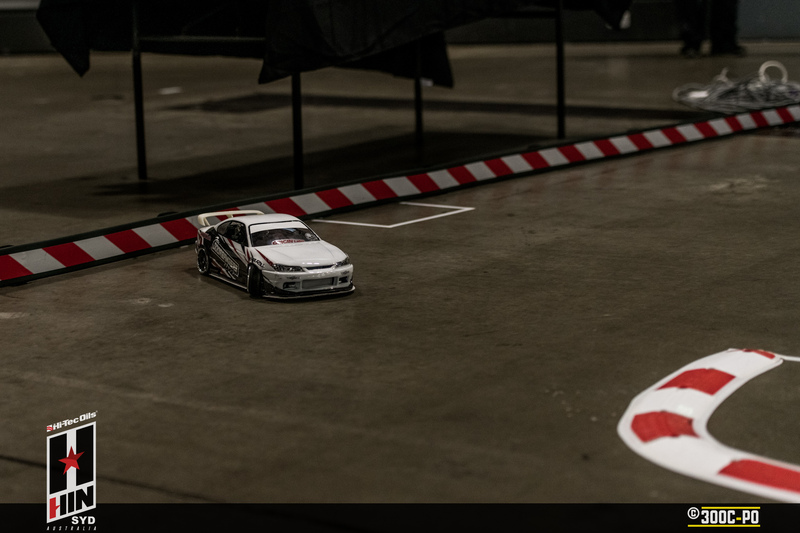 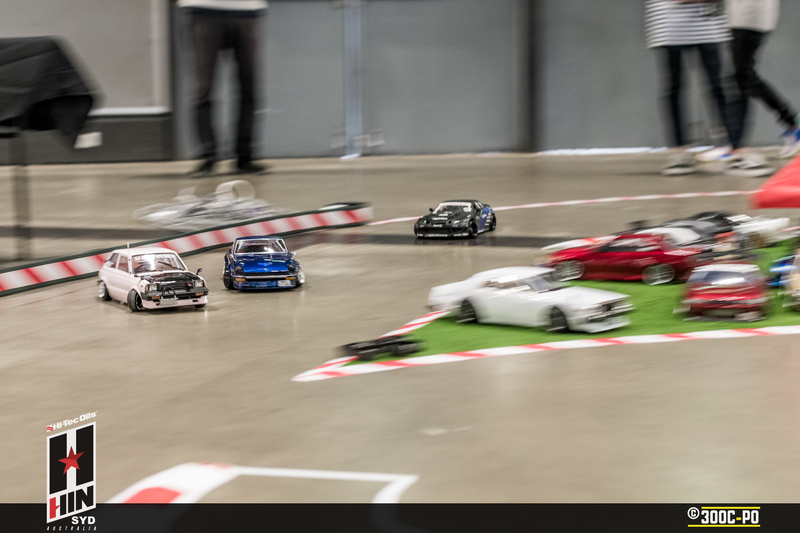 These RC Drift cars are amazingly well done, with details that match up to, and often surpass real life cars. 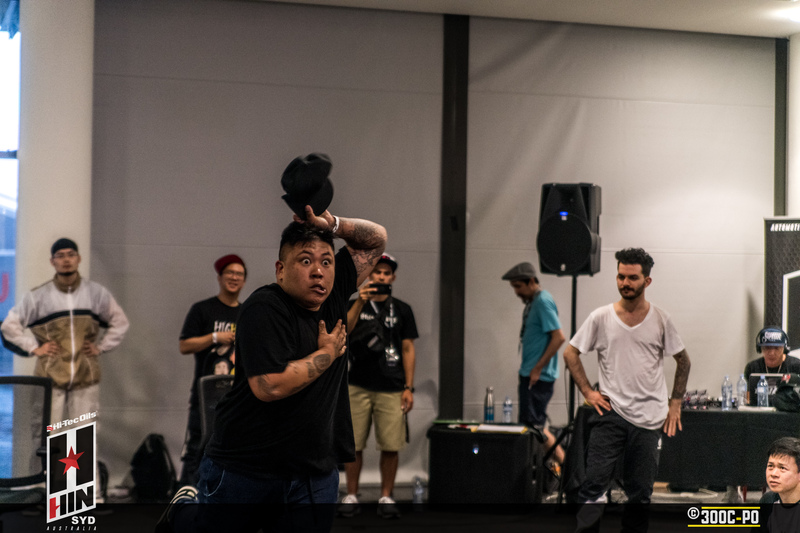 And I didn’t even make it over to the sneaker meet or 3on3 basketball comp. 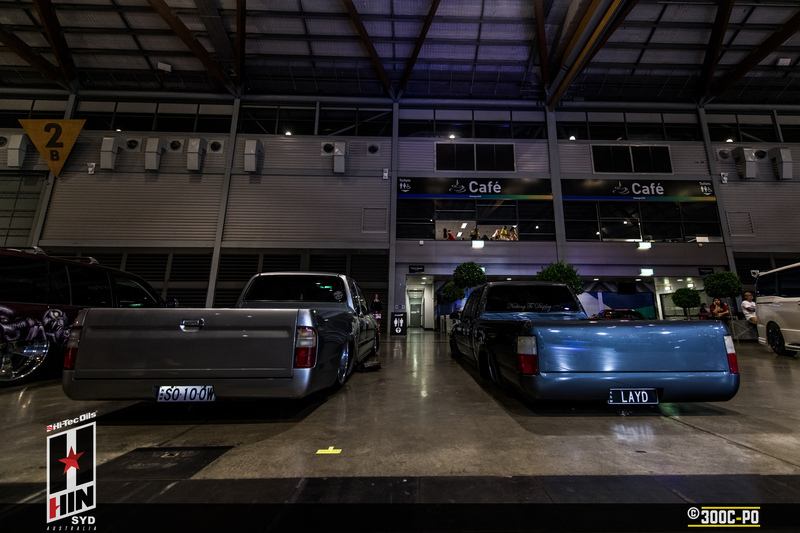 At the end of the day though, it’s the cars and the people that make up this community that we’re involved in; diverse as they are, so I’ll leave you with a decent selection of shots of them. 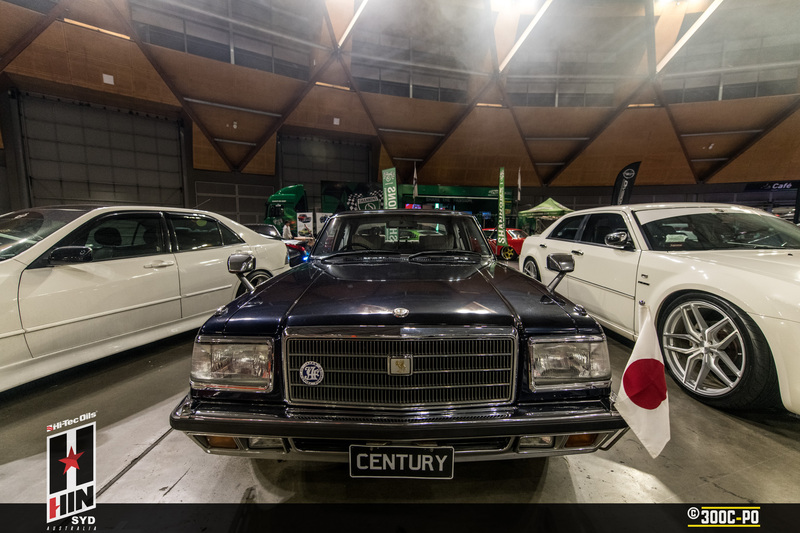 A more comprehensive album will be up on my 300C-PO facebook page.